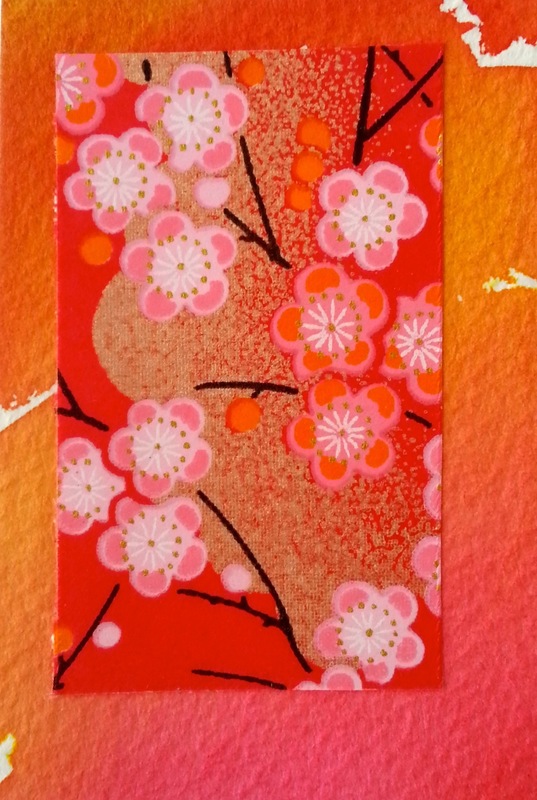 Based on a traditional Japanese Yuzen Chiyogami design. 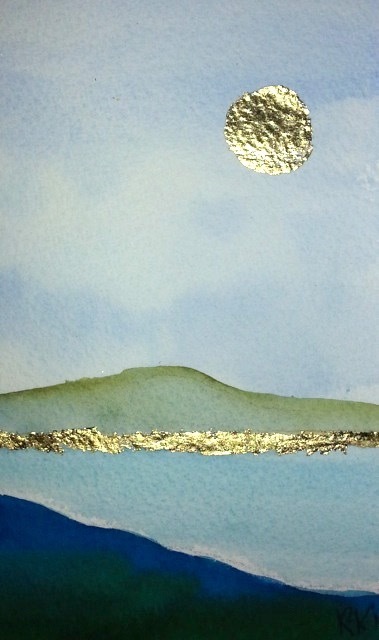 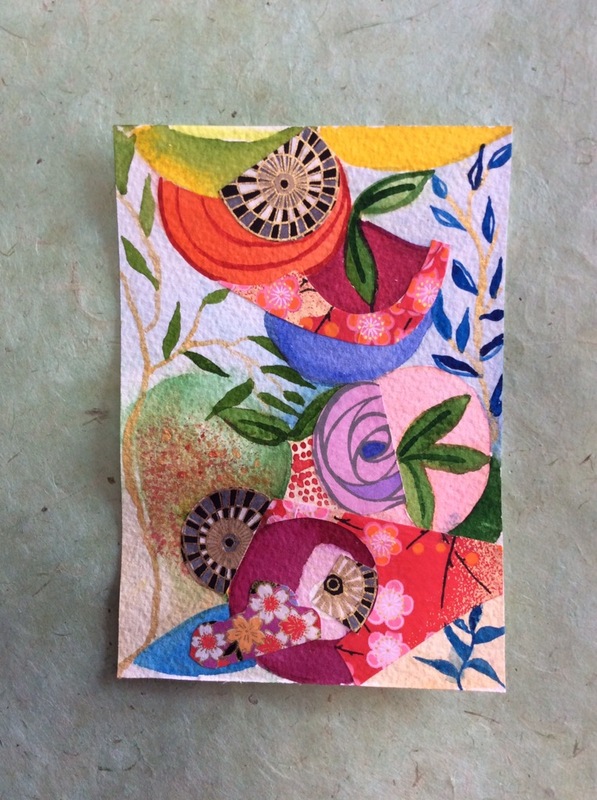 Collage of watercolour painting and Japanese paper. 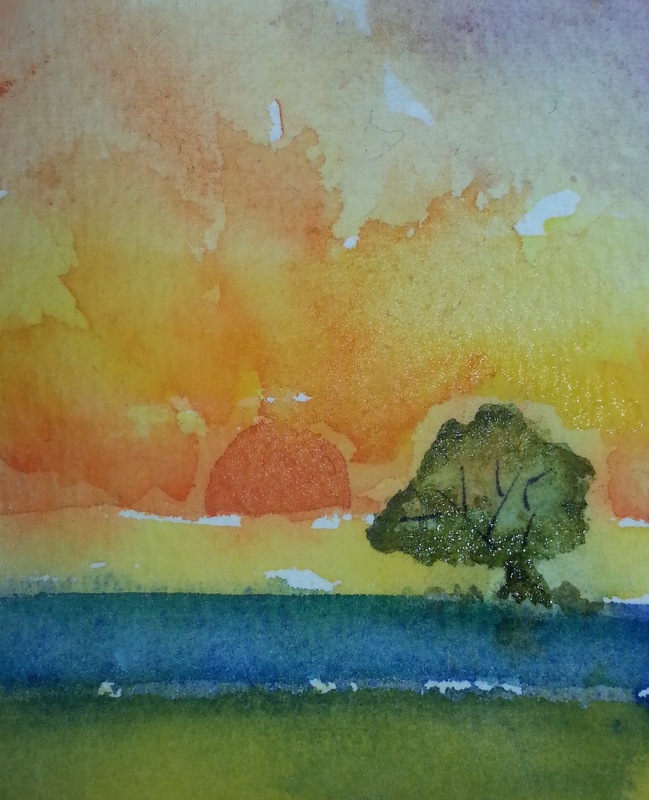 hand painted watercolour originals. 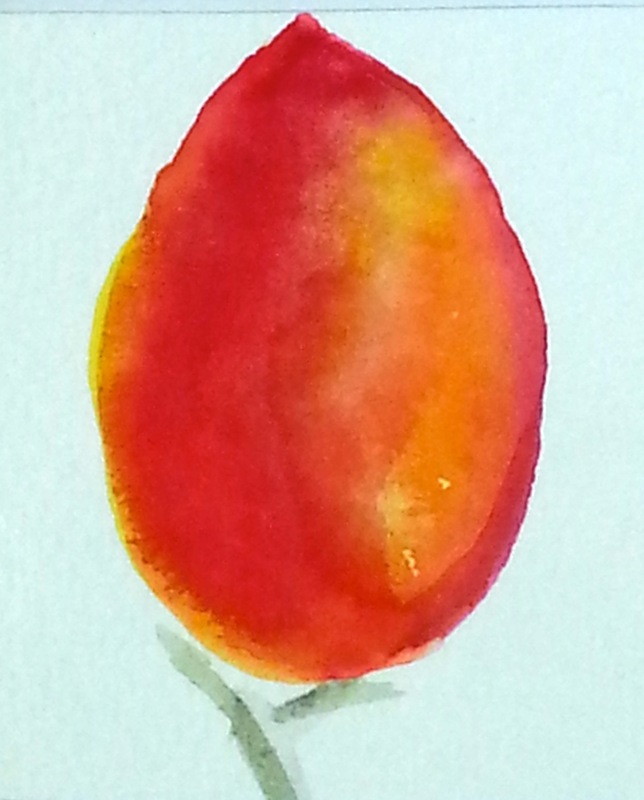 I have recently moved into a house with a huge tropical garden. 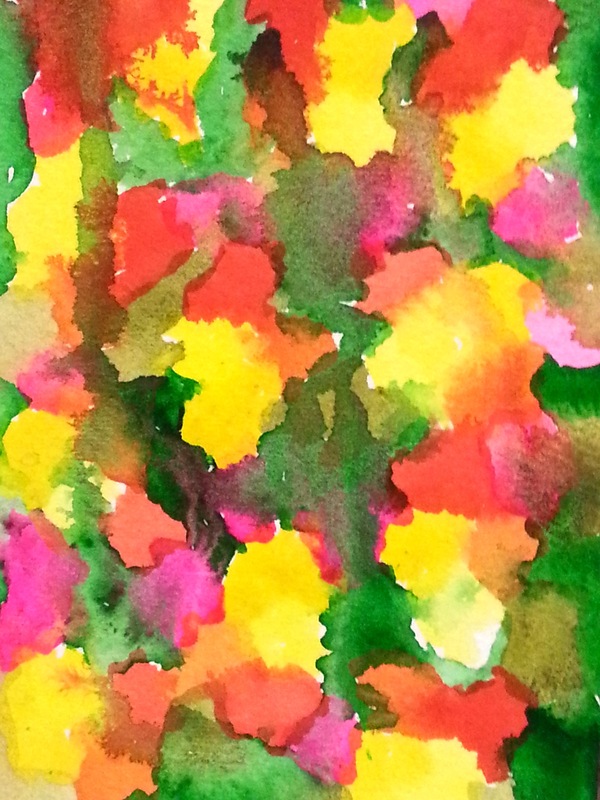 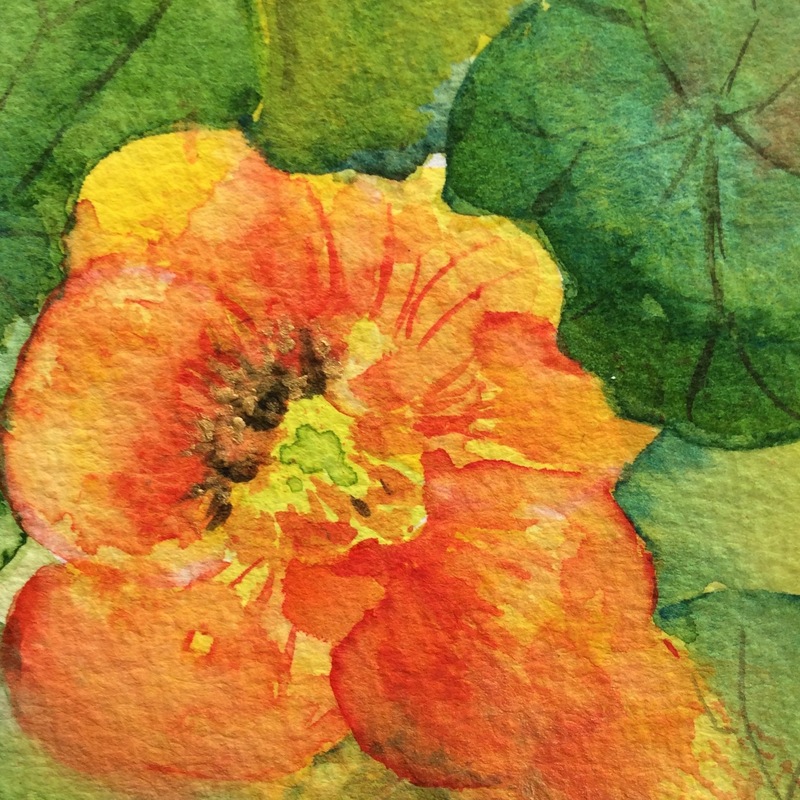 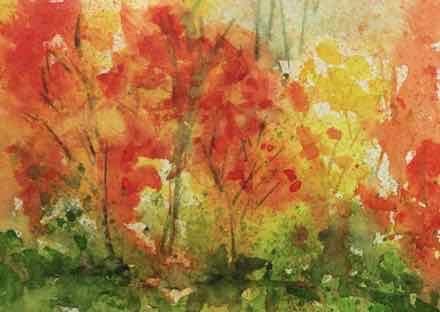 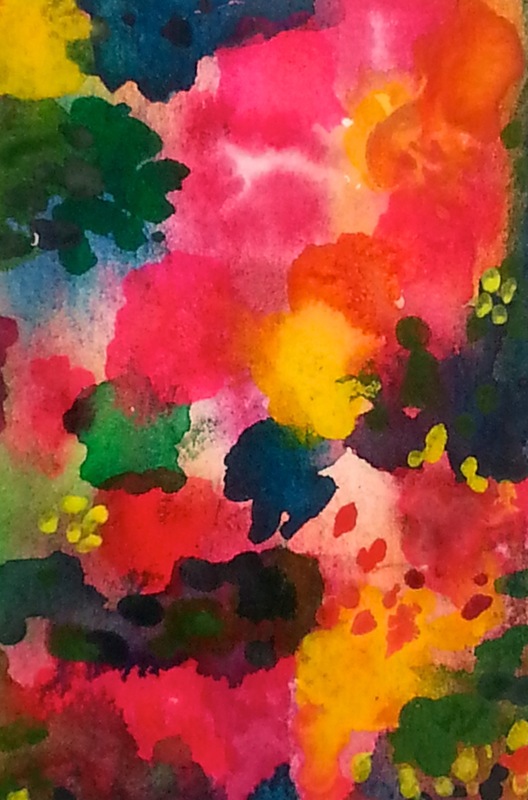 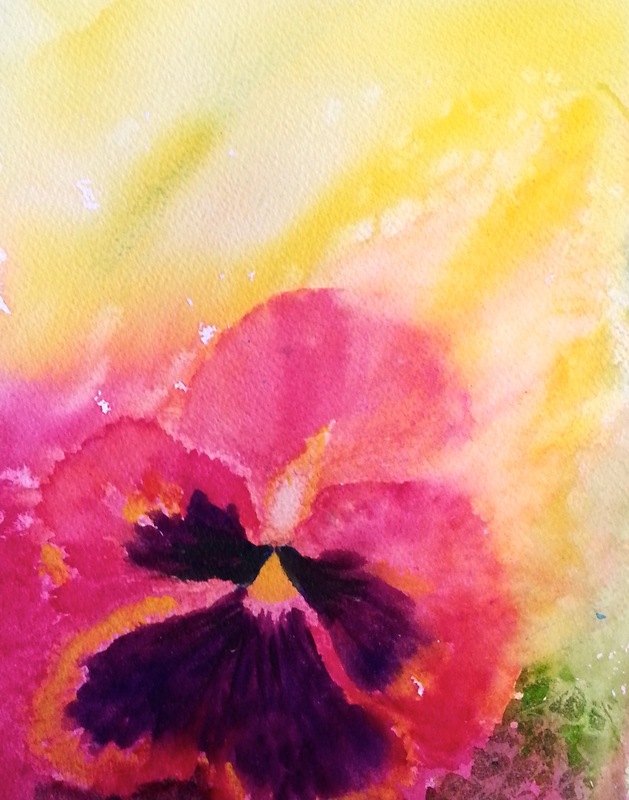 These paintings reflect the richness of the colour and fragrance of the garden. 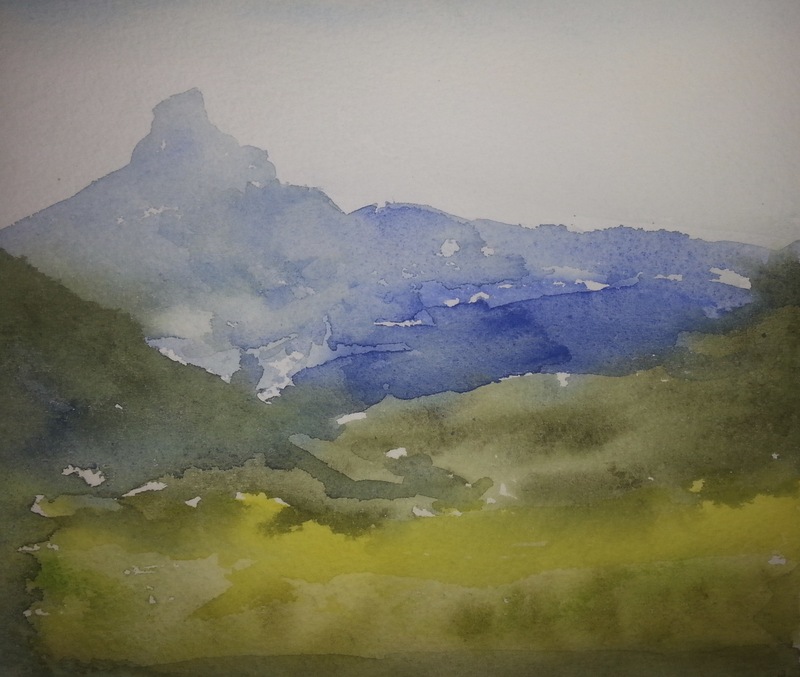 We recently camped for a few nights in the Border Ranges National Park NSW. 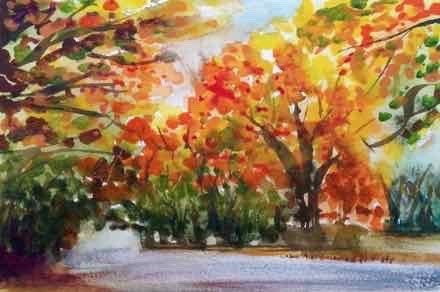 I collected a few leaves from our campsite and painted at the picnic table there. 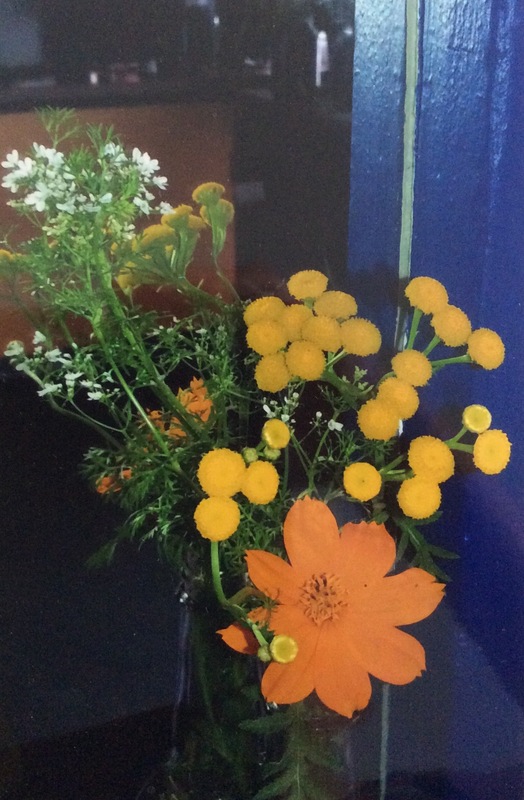 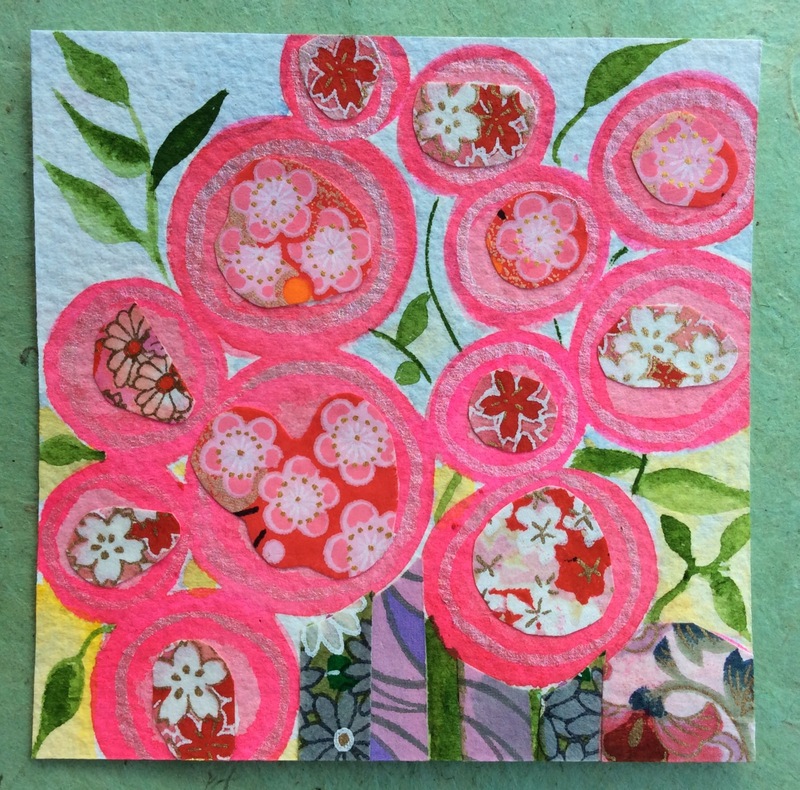 Inspired by my florist friend Jenny’s market stall. 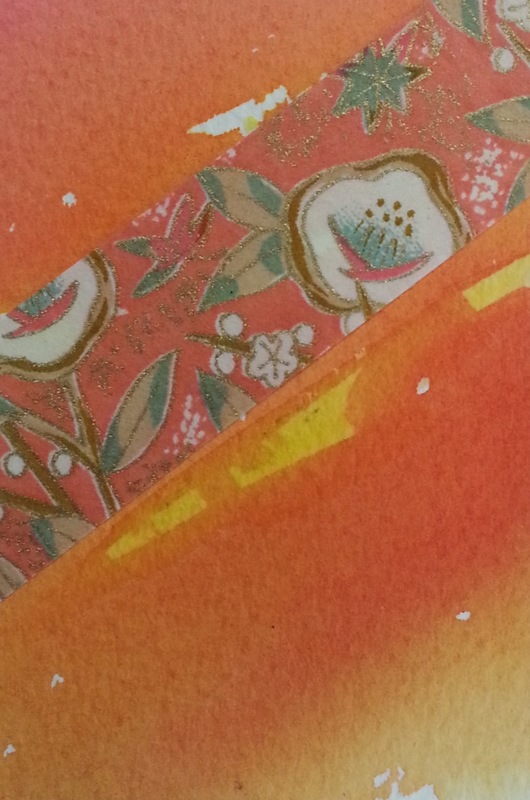 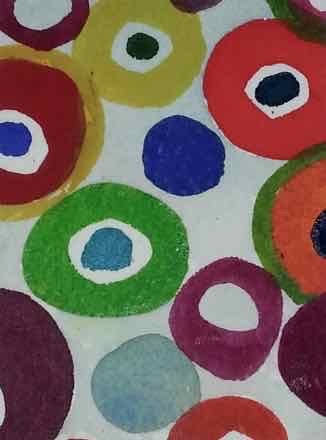 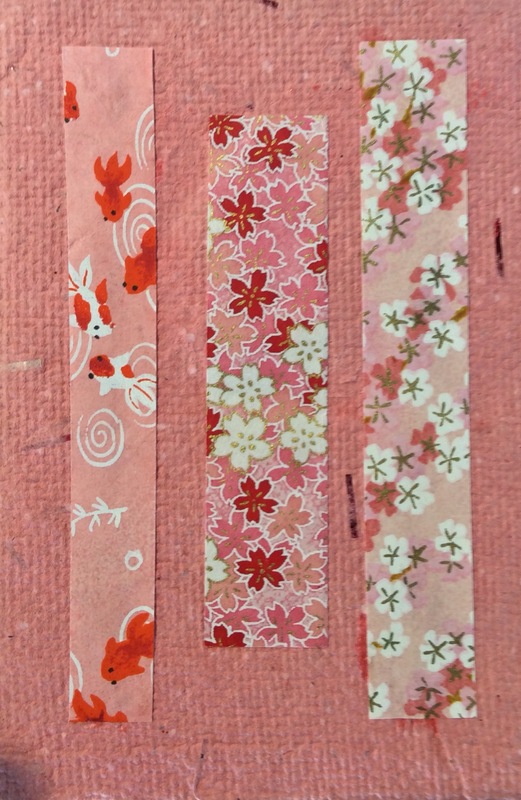 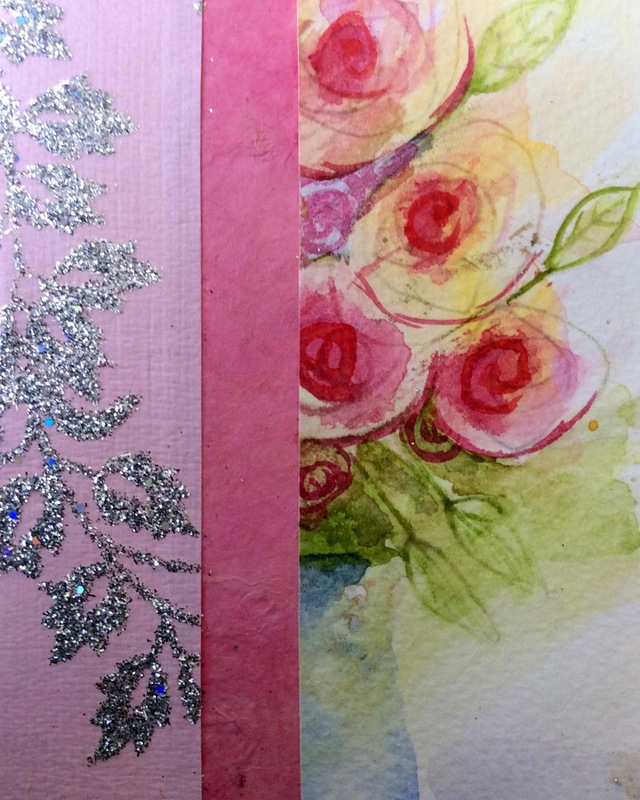 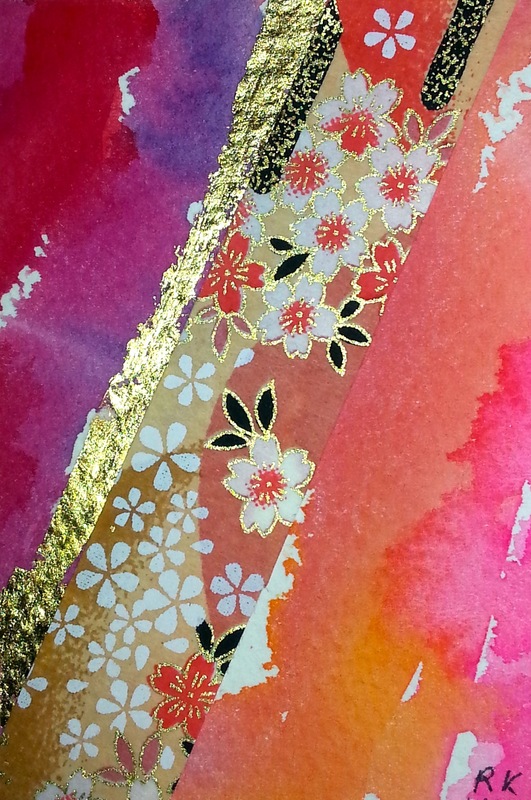 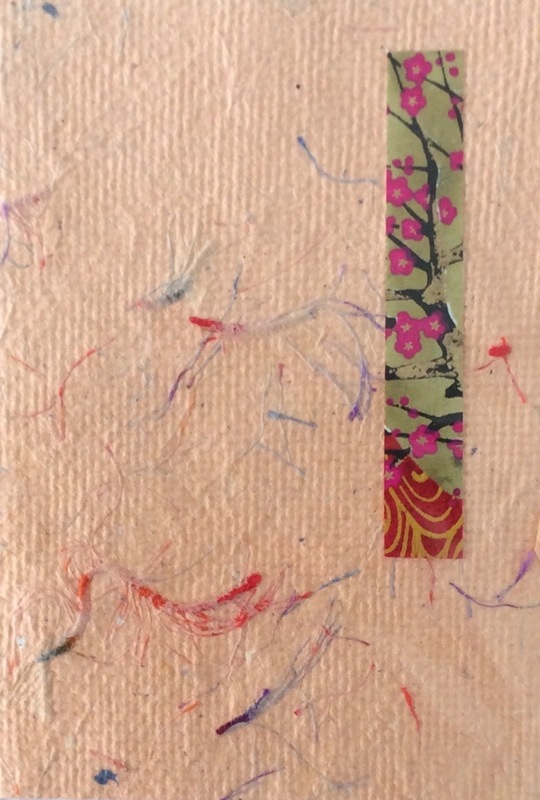 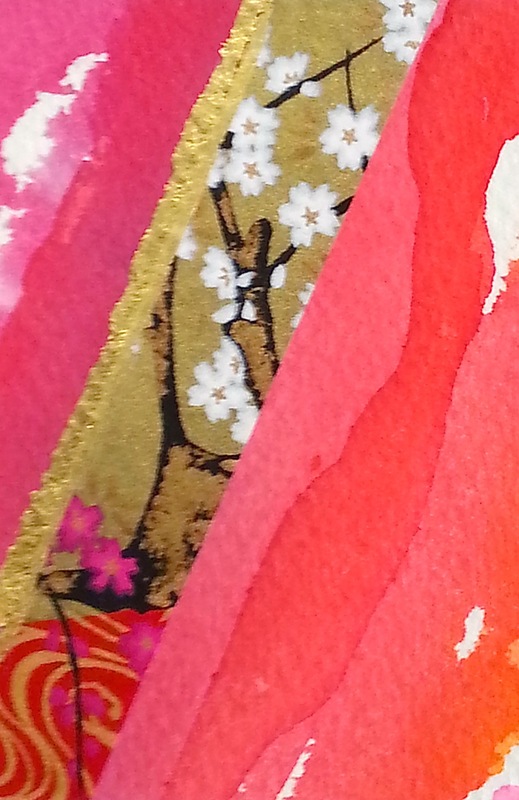 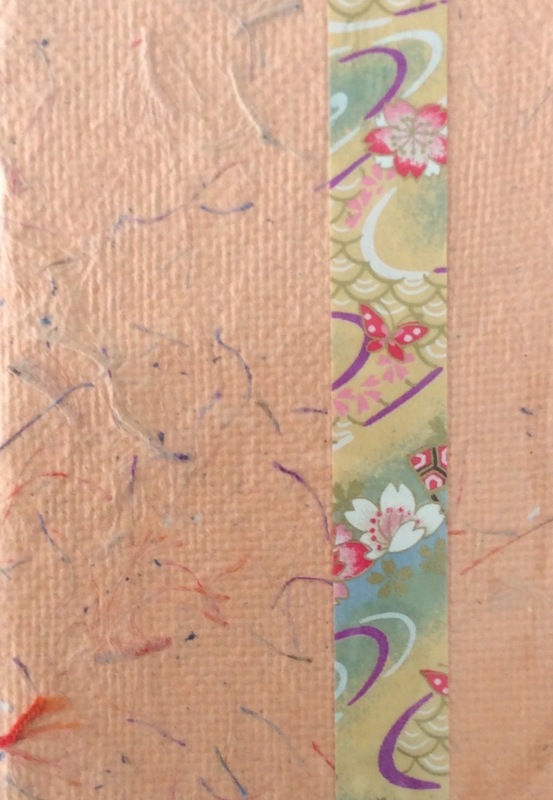 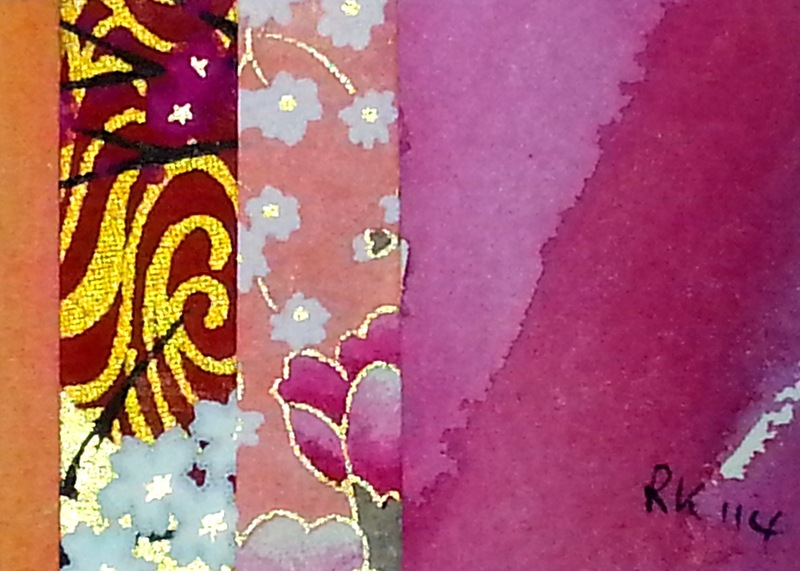 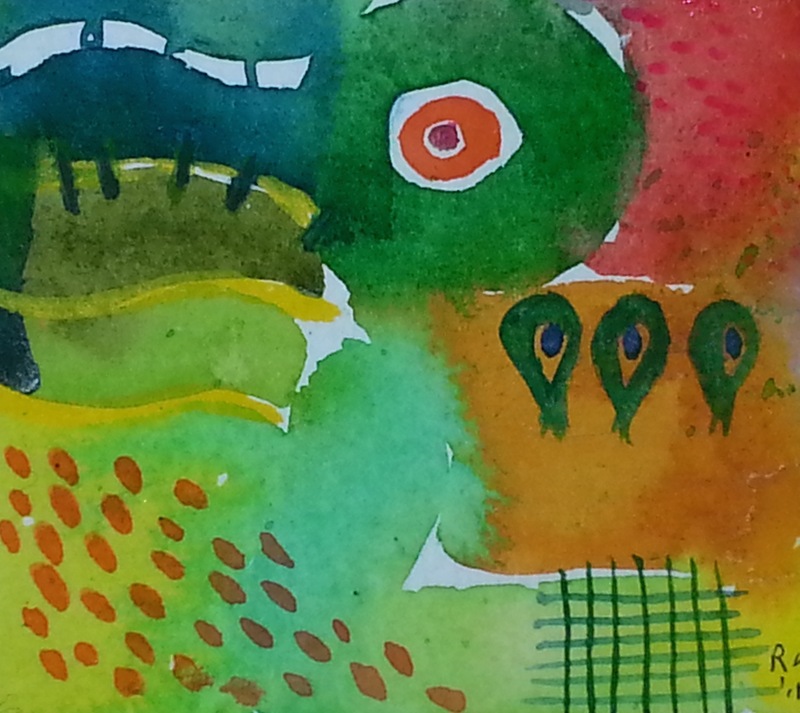 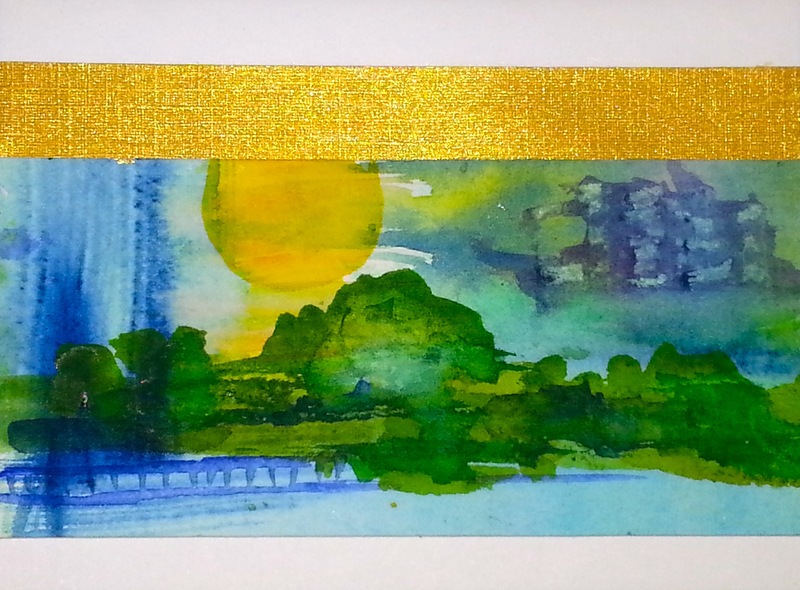 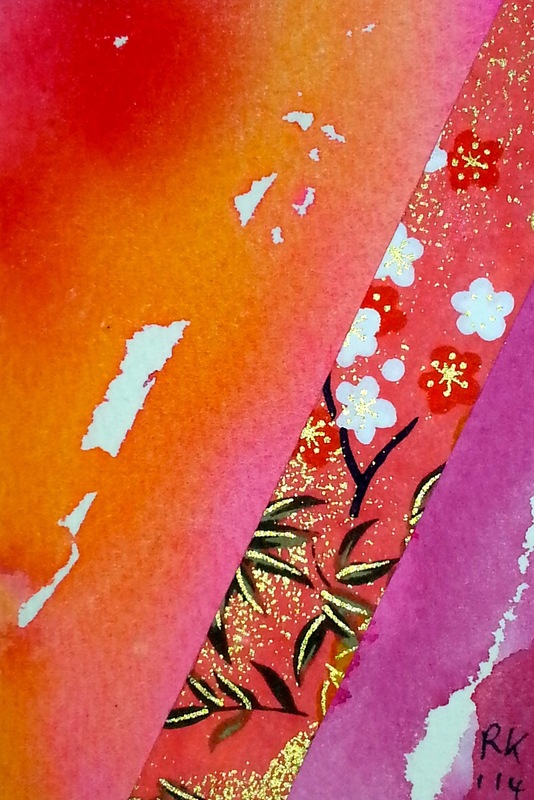 Collage of Japanese Washi paper and watercolour. 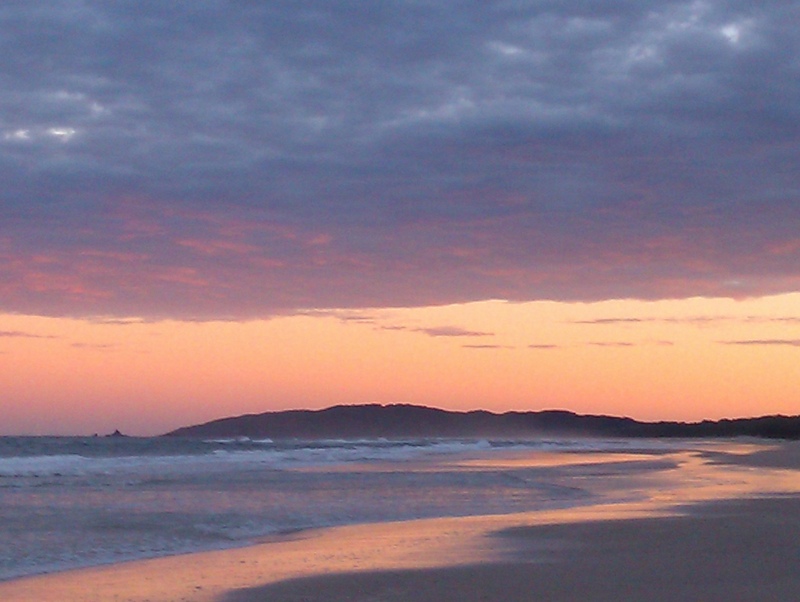 Friday night was the opening of Hammer and Hand Byron Bay exhibition “Melting Point”. 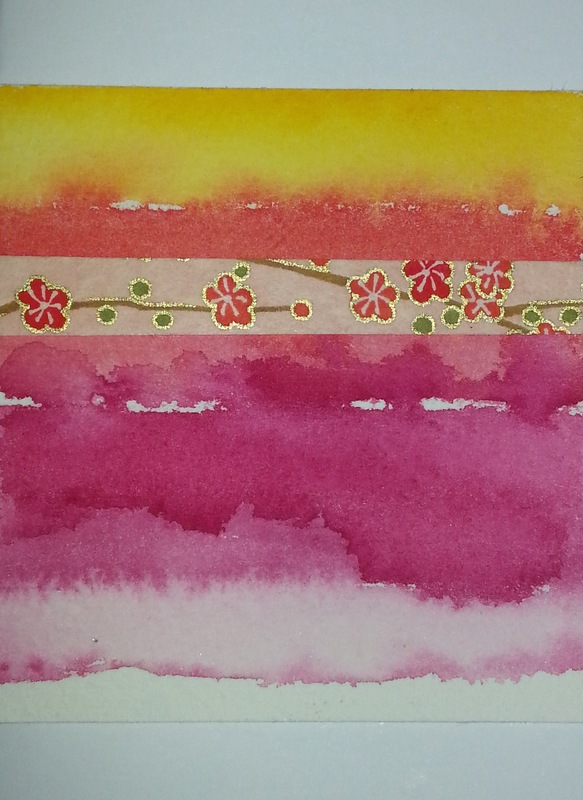 Watercolour painting and Japanese Washi paper collage. 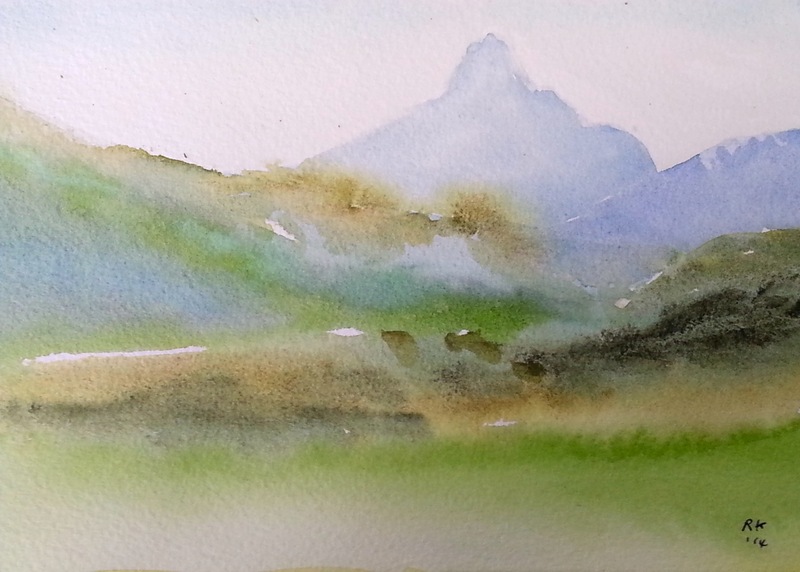 We spent three days camping at Wee Jasper. 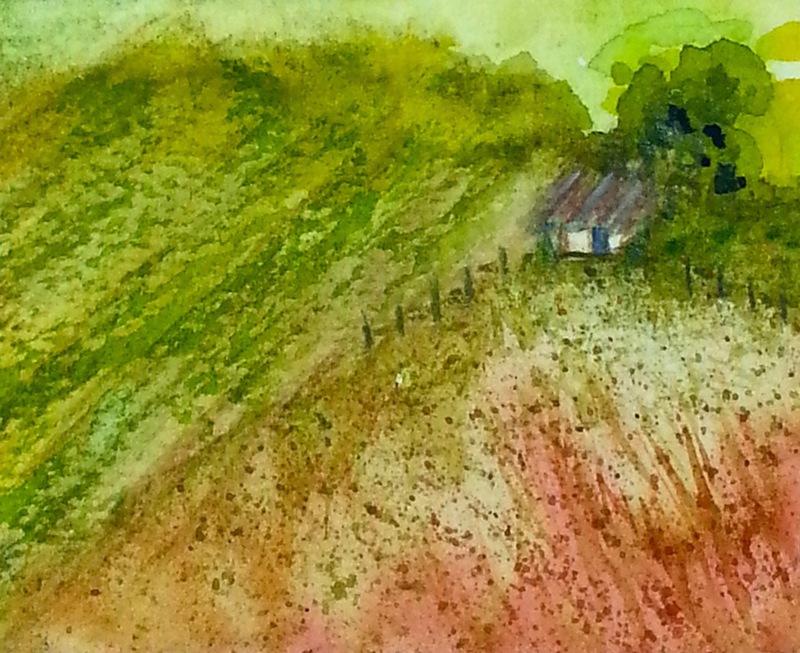 Several corrugated iron shacks provide holiday accommodation. 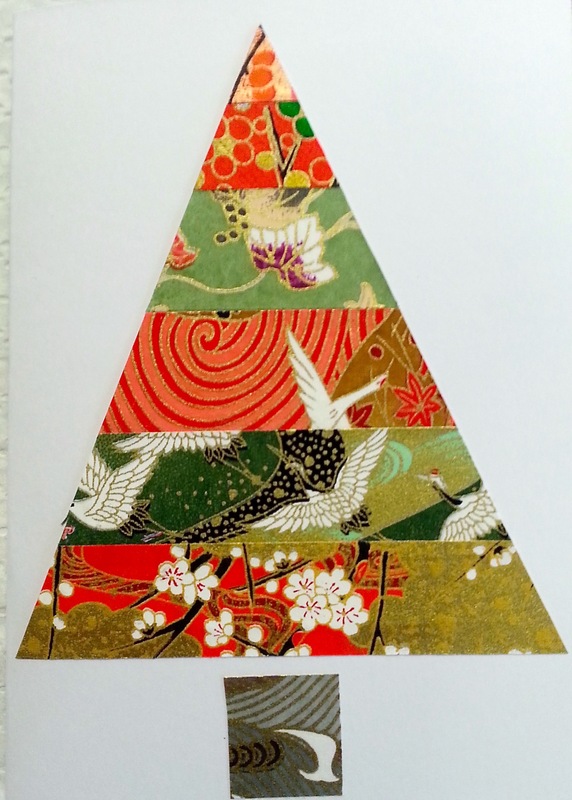 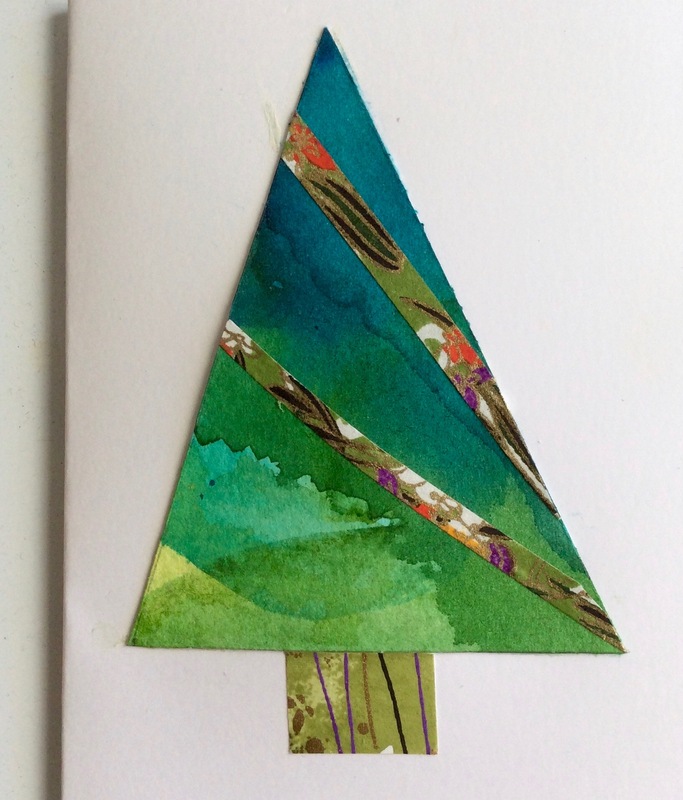 I have just finished making my first Christmas card for 2015. 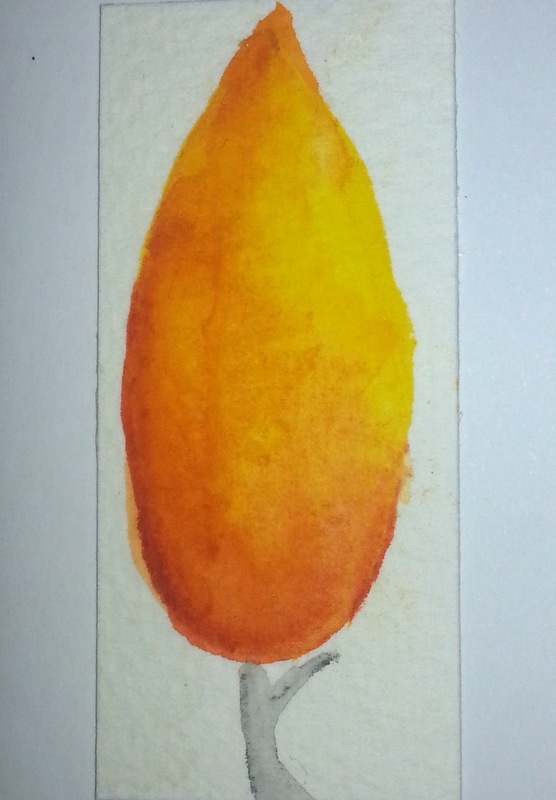 Only 20 to go. 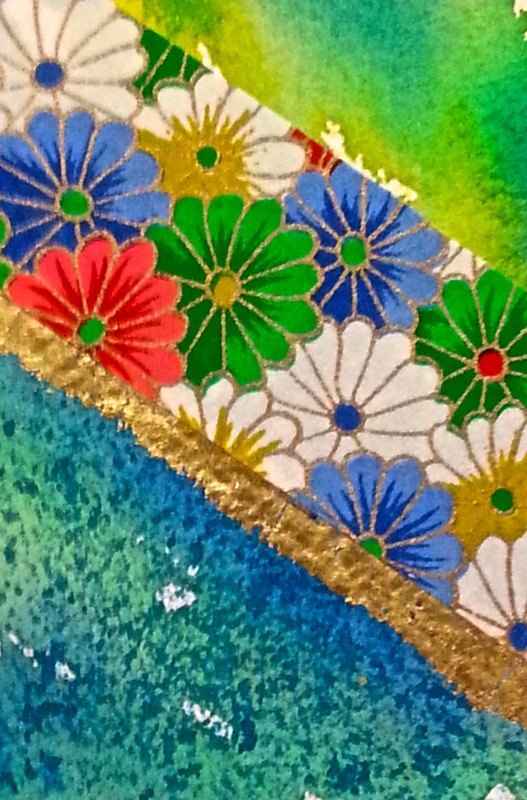 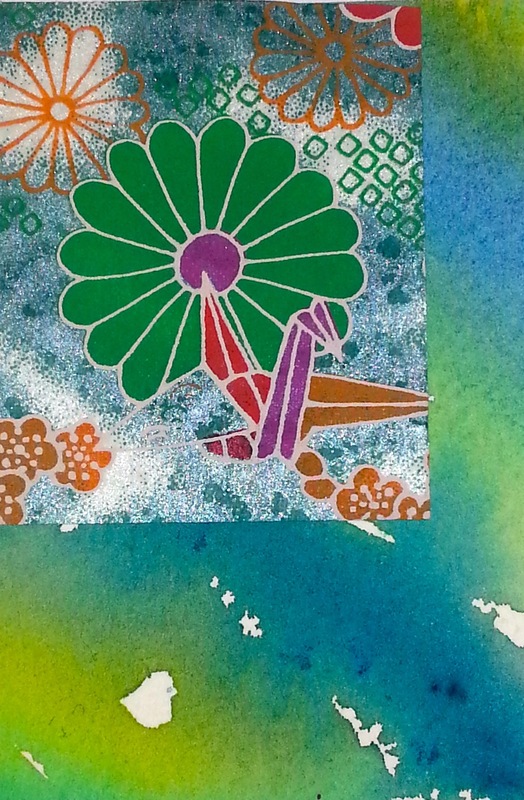 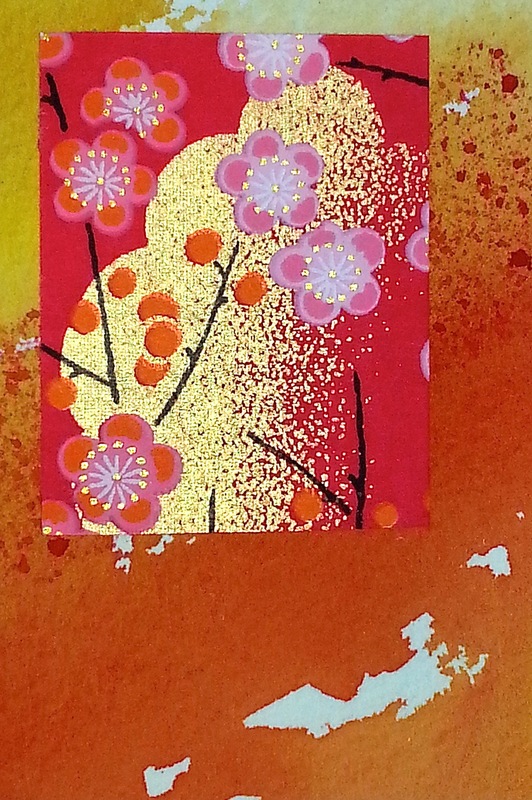 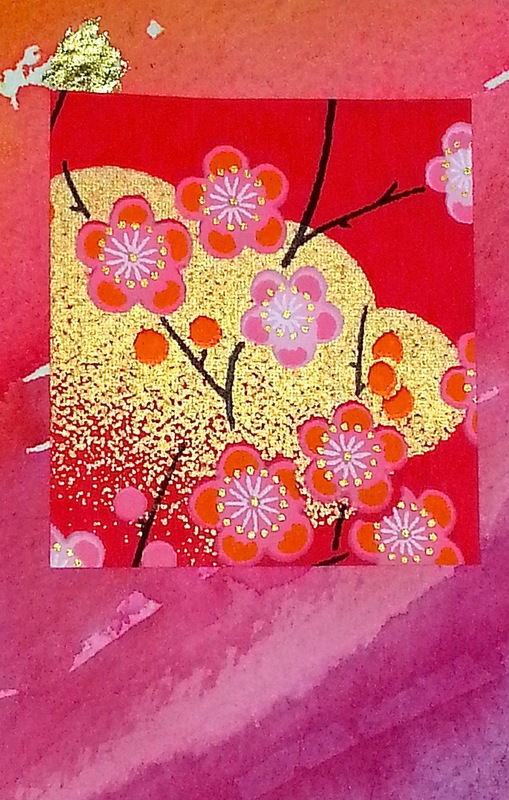 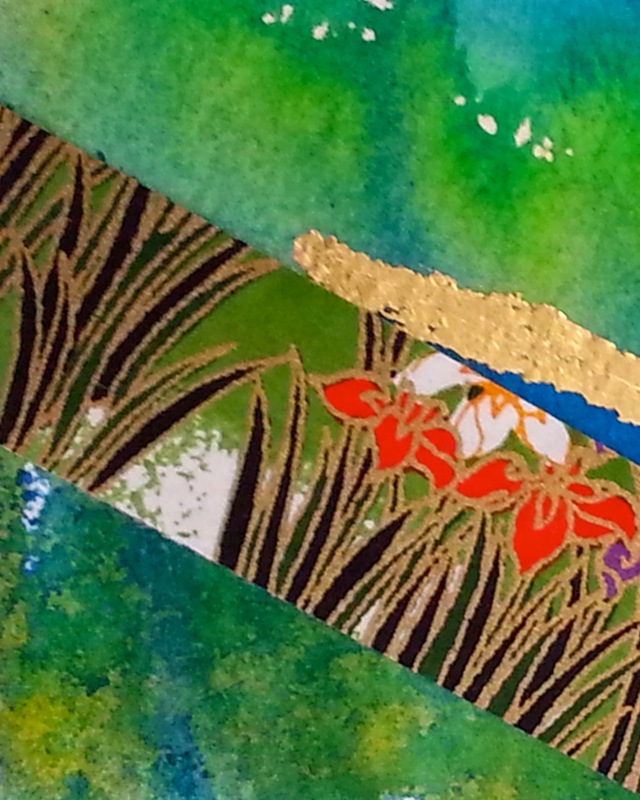 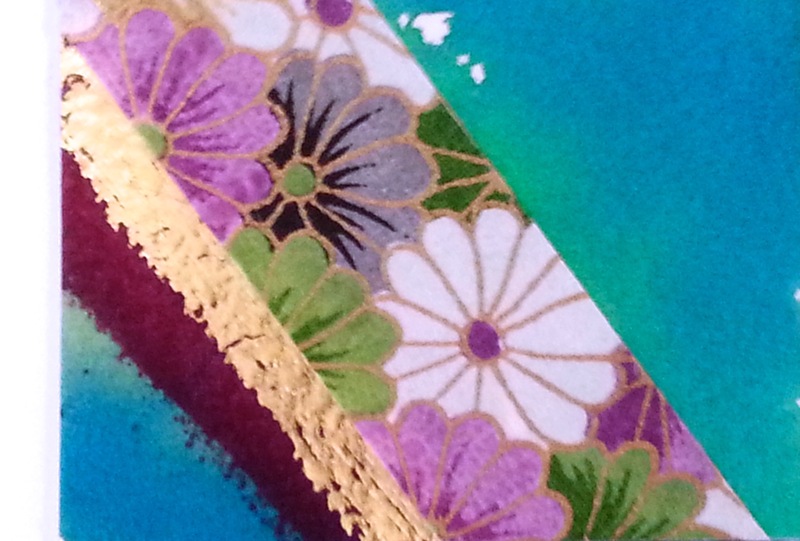 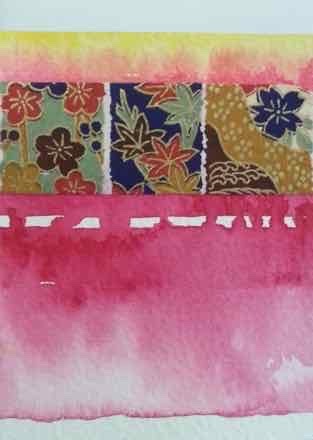 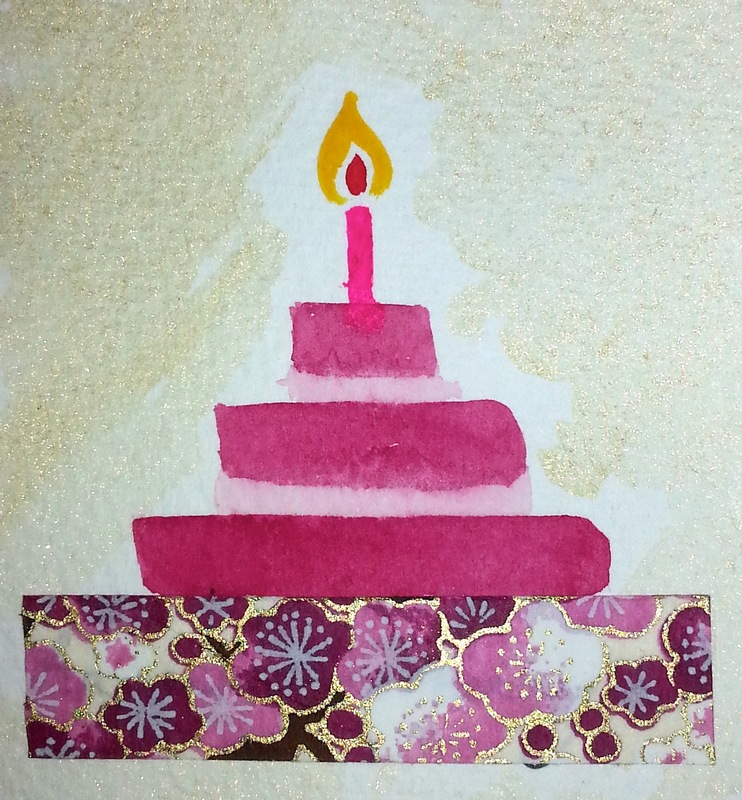 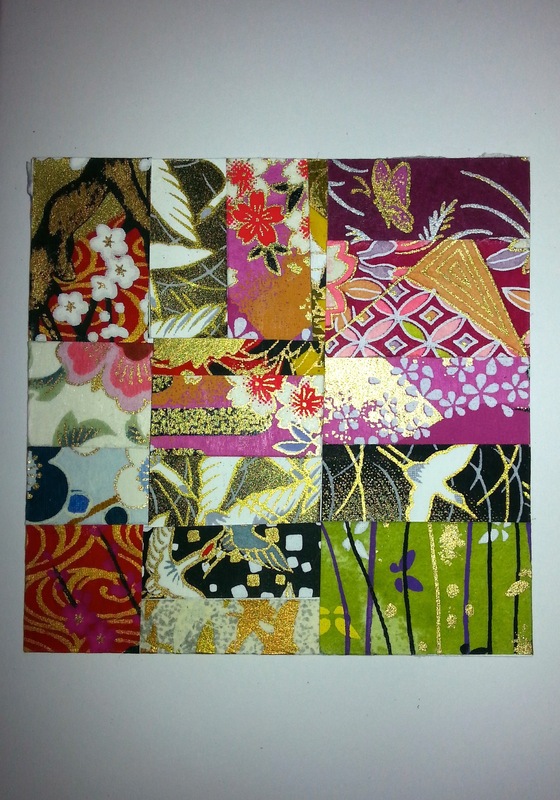 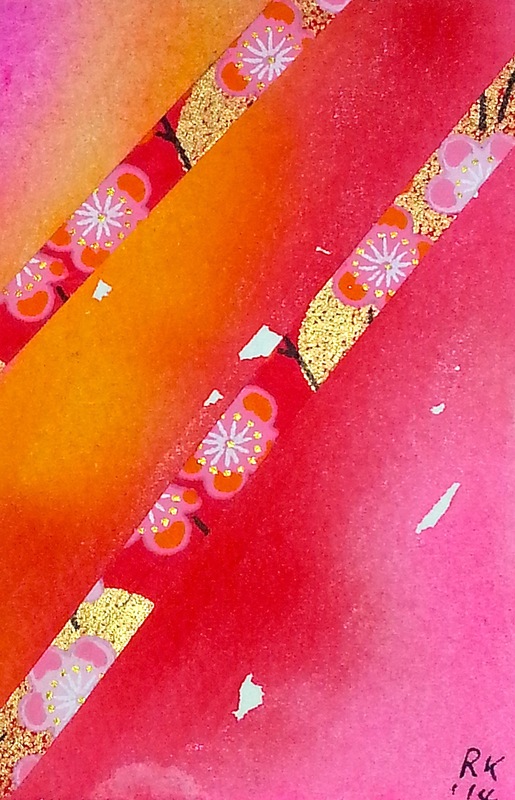 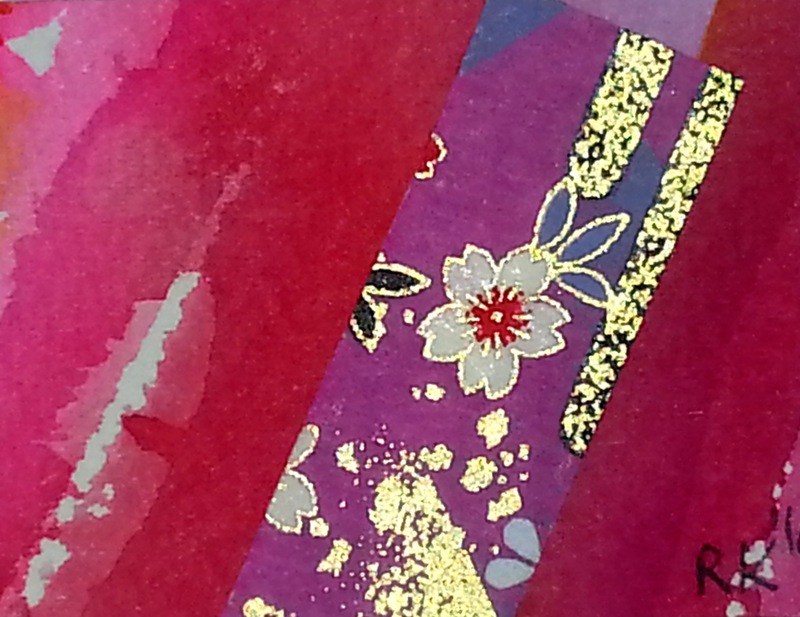 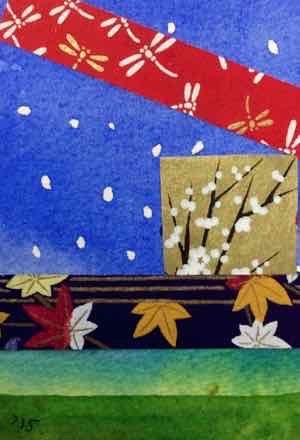 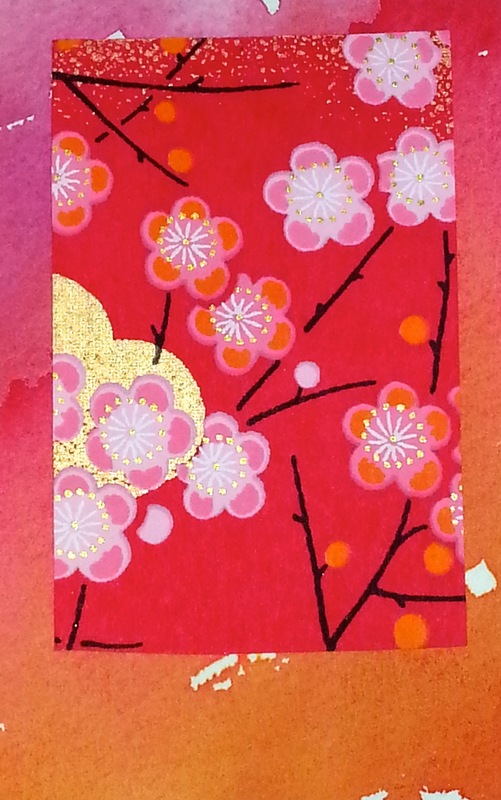 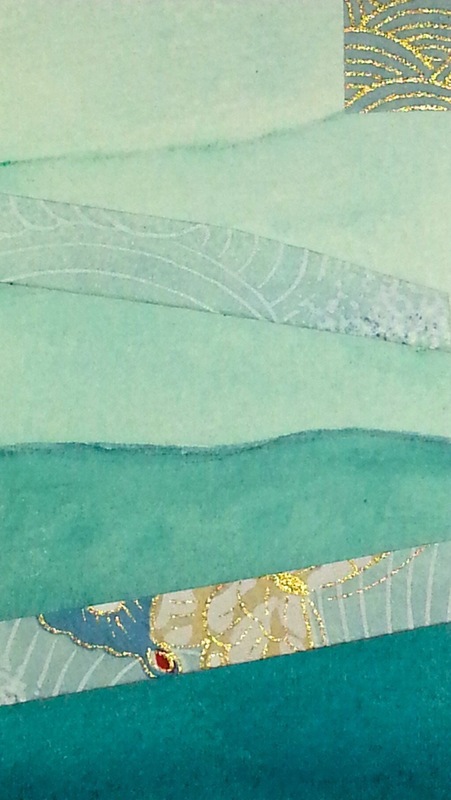 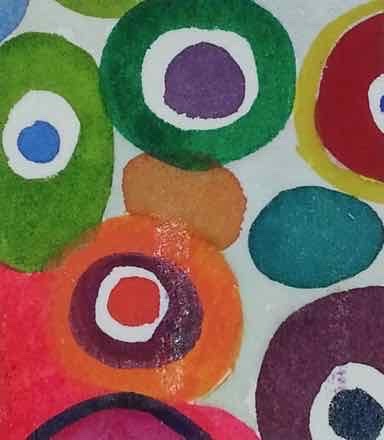 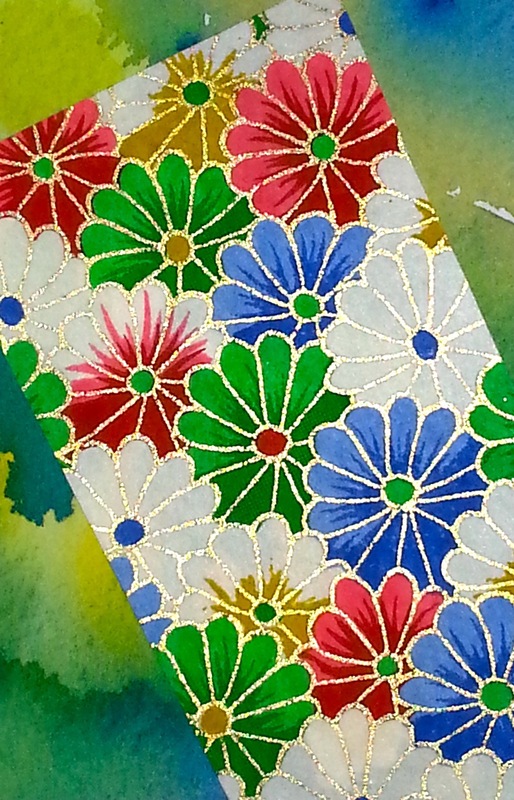 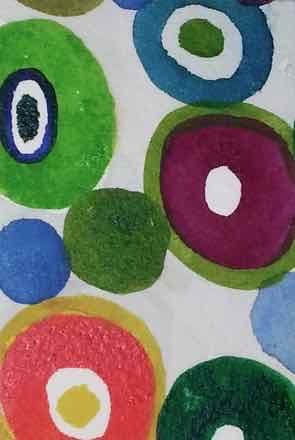 This design is a watercolour painting with Japanese washi paper collage. 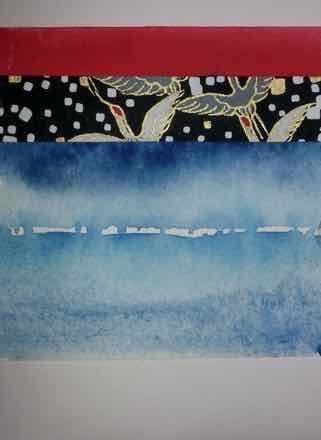 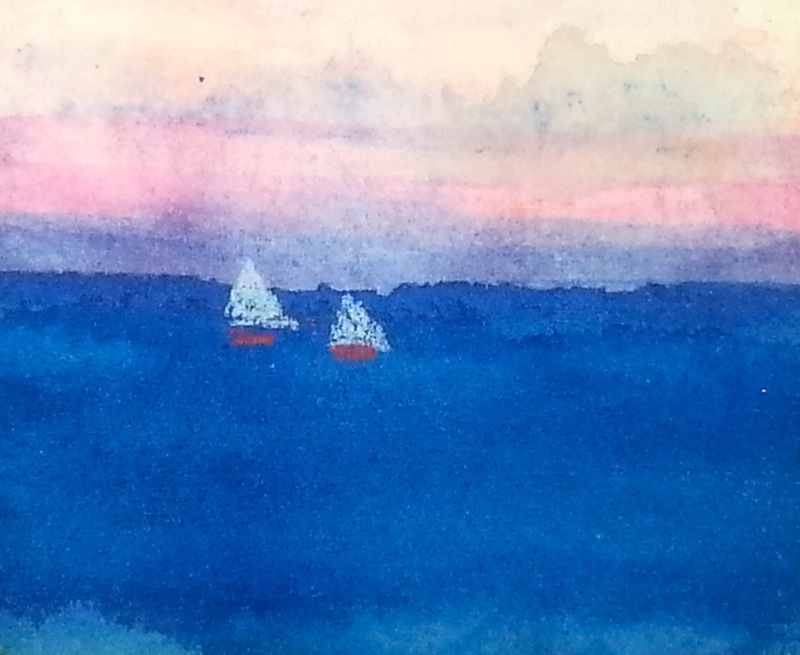 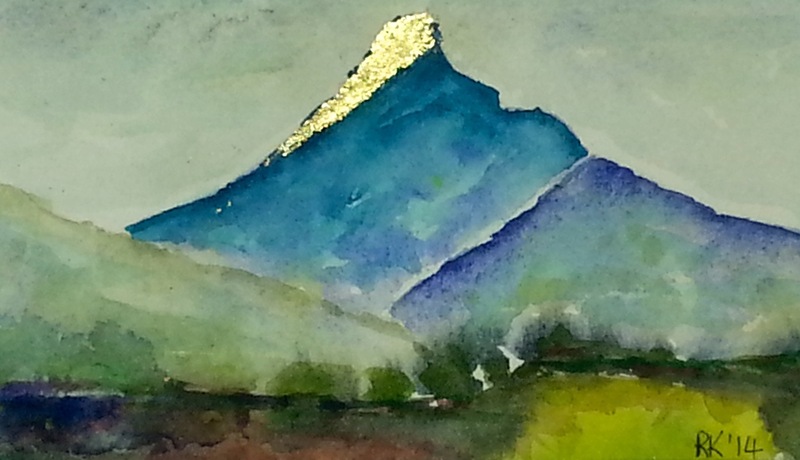 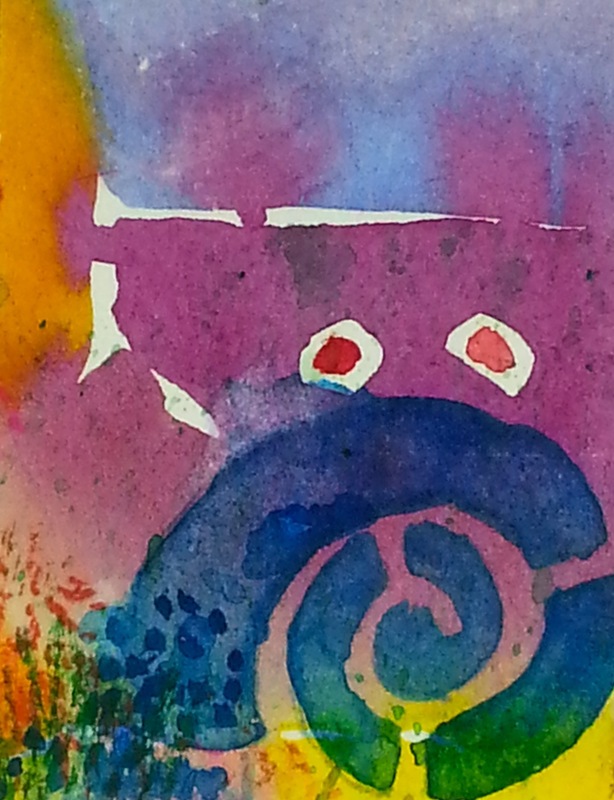 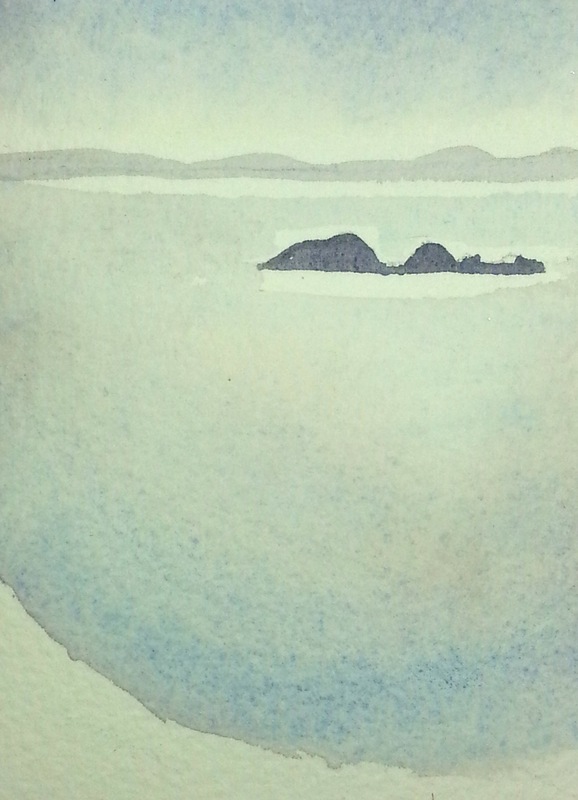 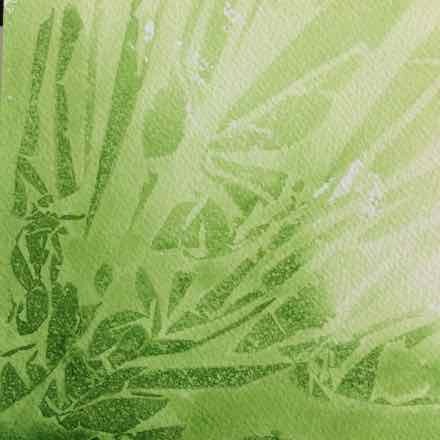 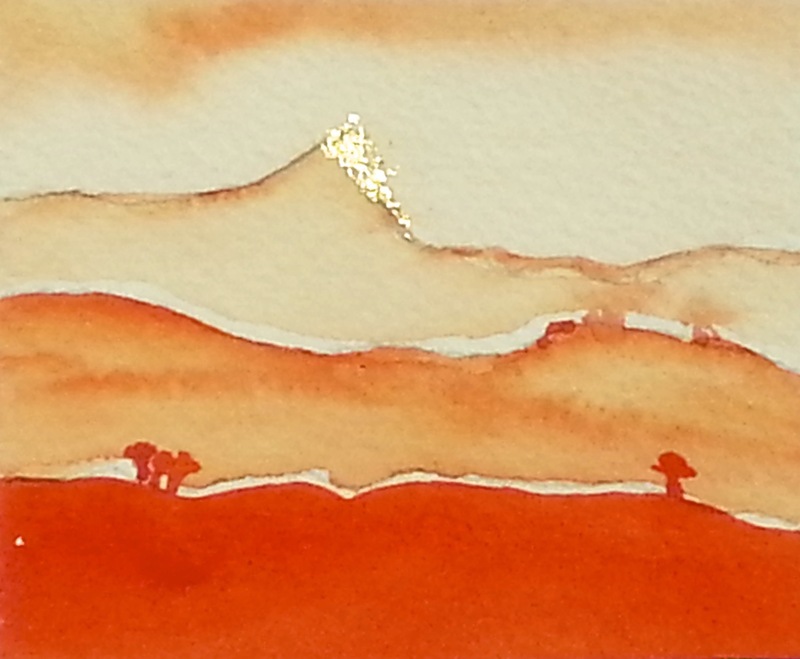 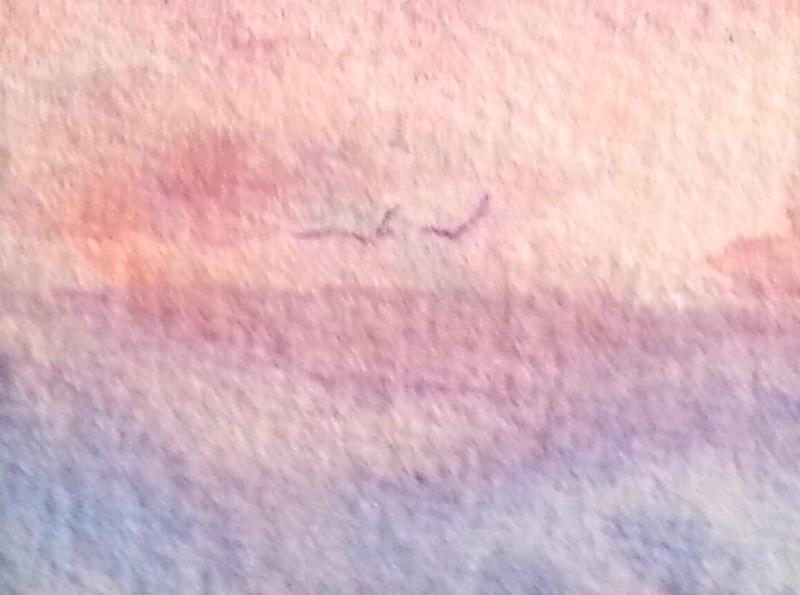 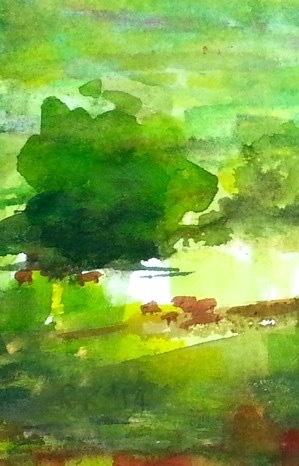 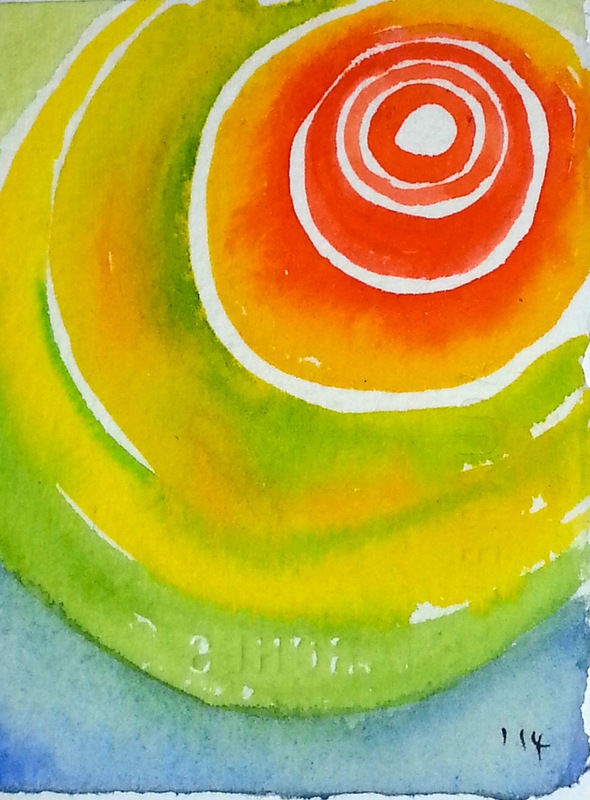 After 10 years selling beautiful Japanese Yuzen Chiyogami paper, I became a watercolour painter. 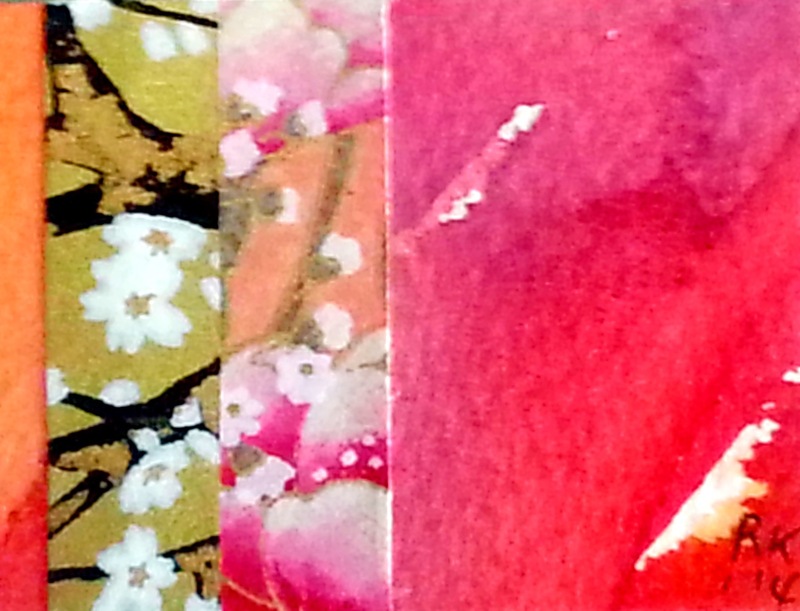 Here are some collage works which combine them. 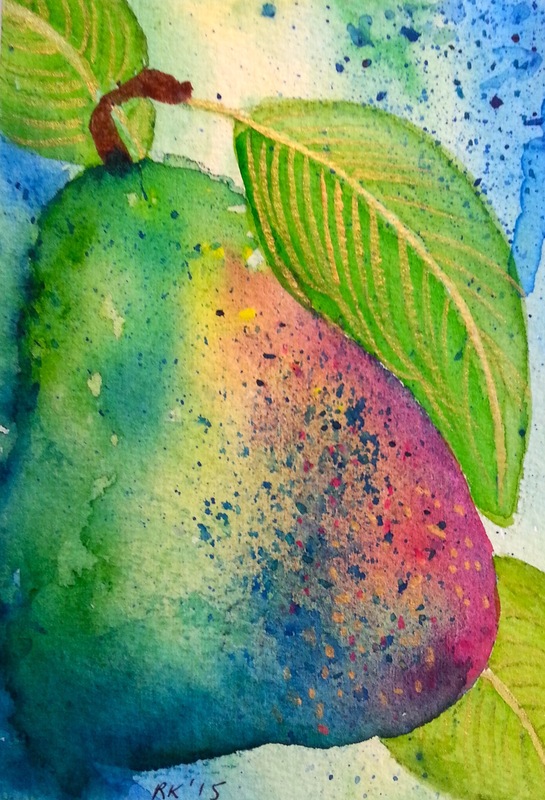 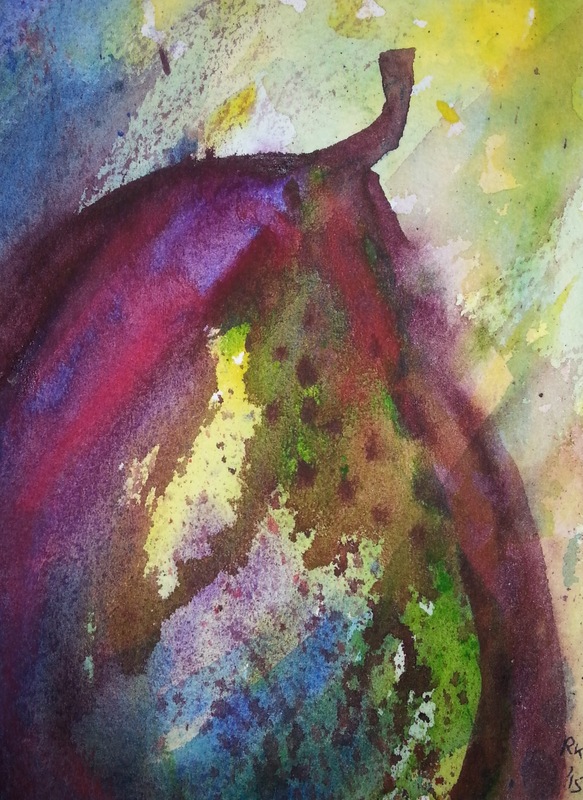 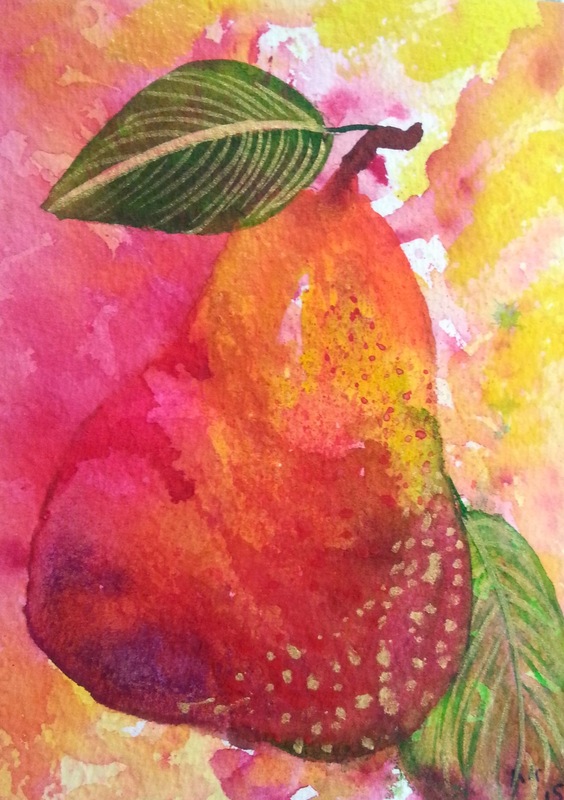 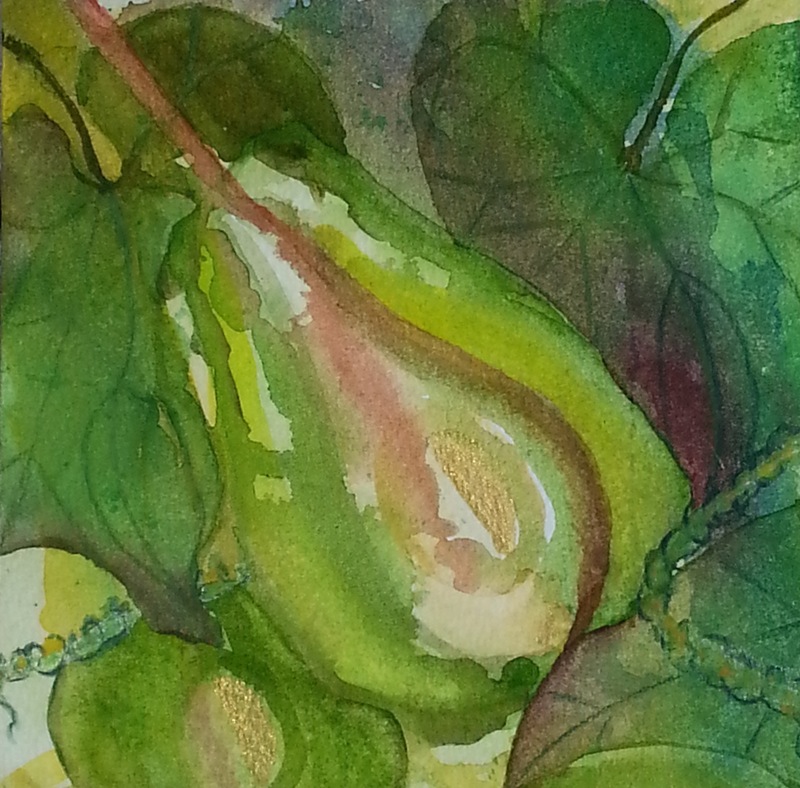 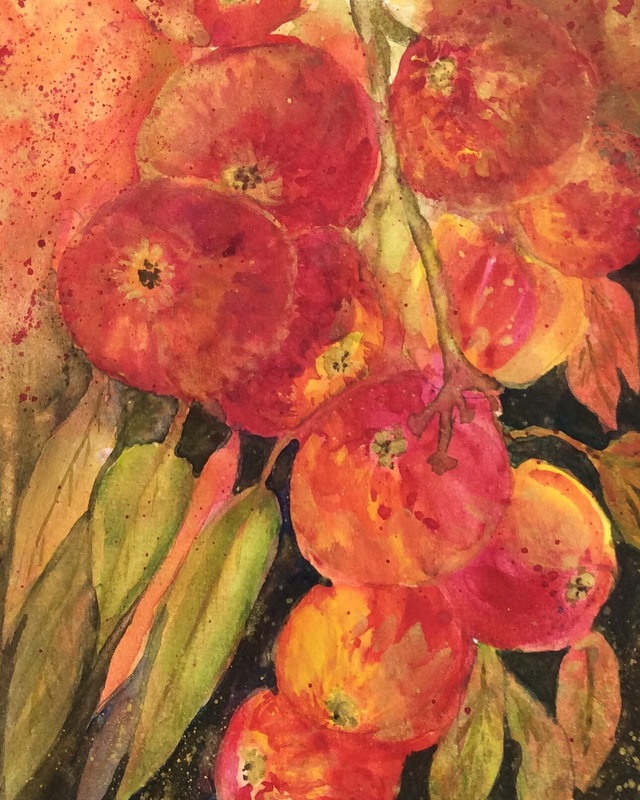 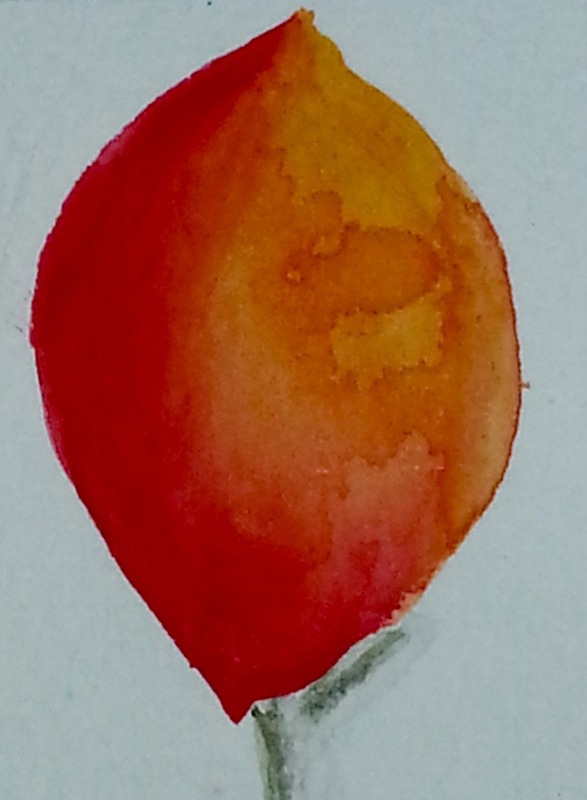 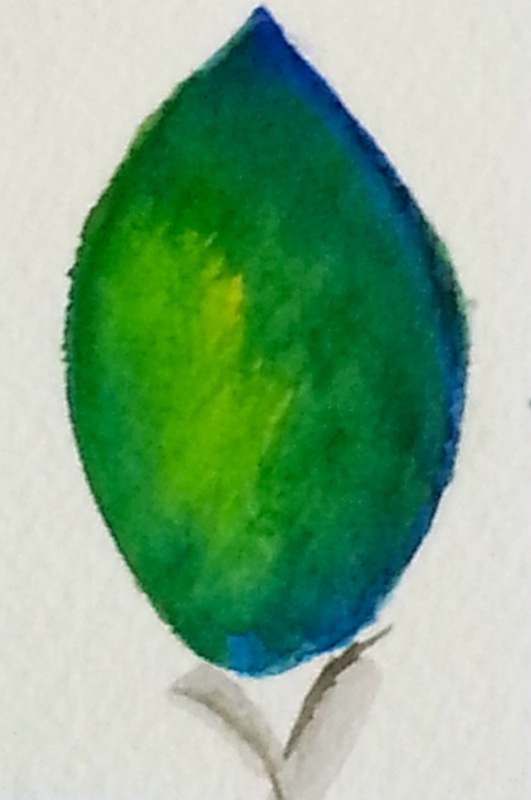 I love cooking and often as I am preparing a meal or snack for friends and family, I look at the fruit and vegetables I am about to use and decide to paint them instead. 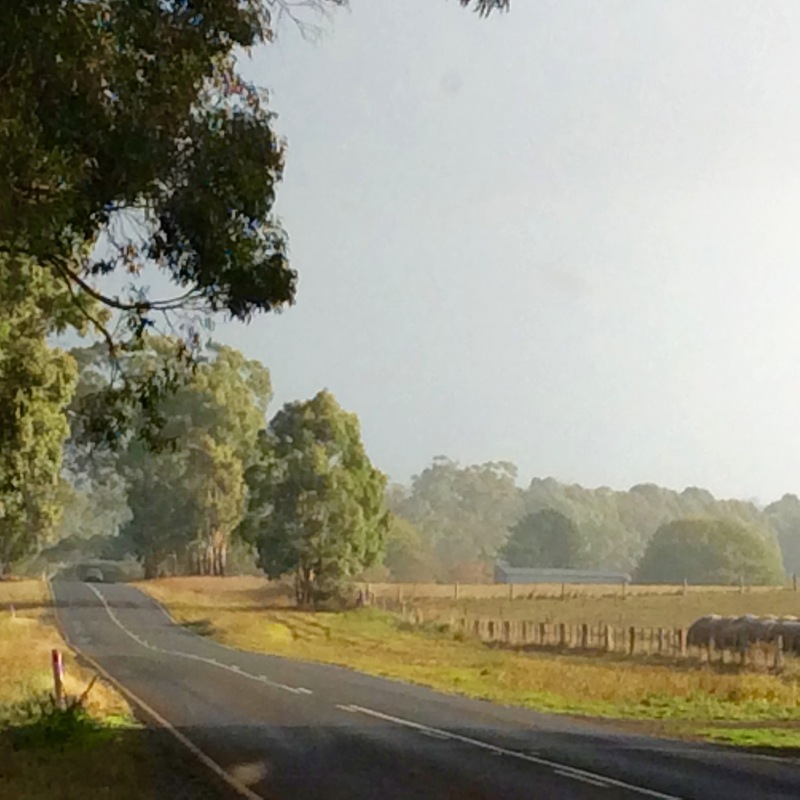 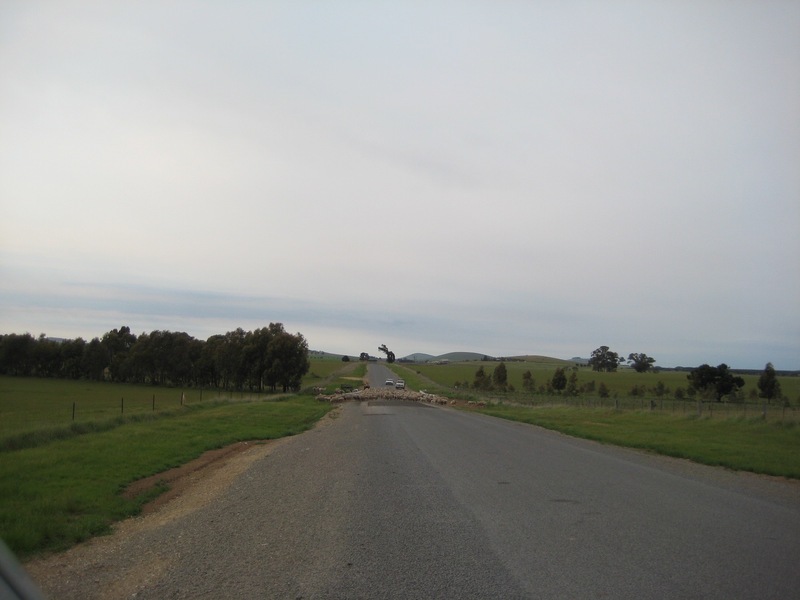 We spend each April camping in rural Victoria. 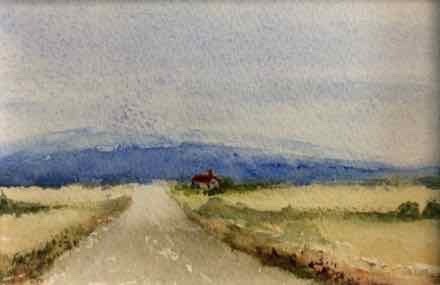 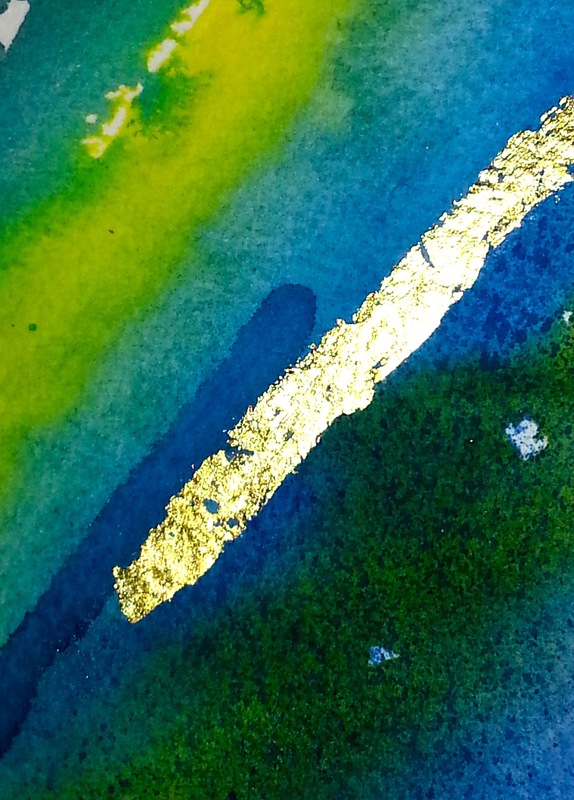 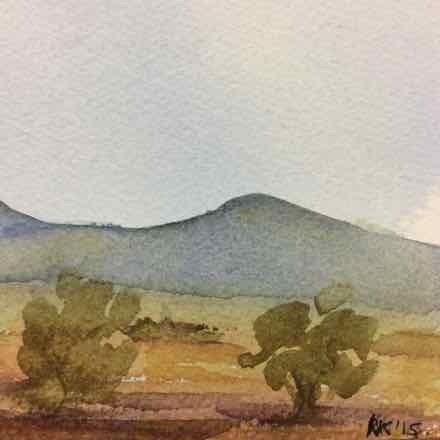 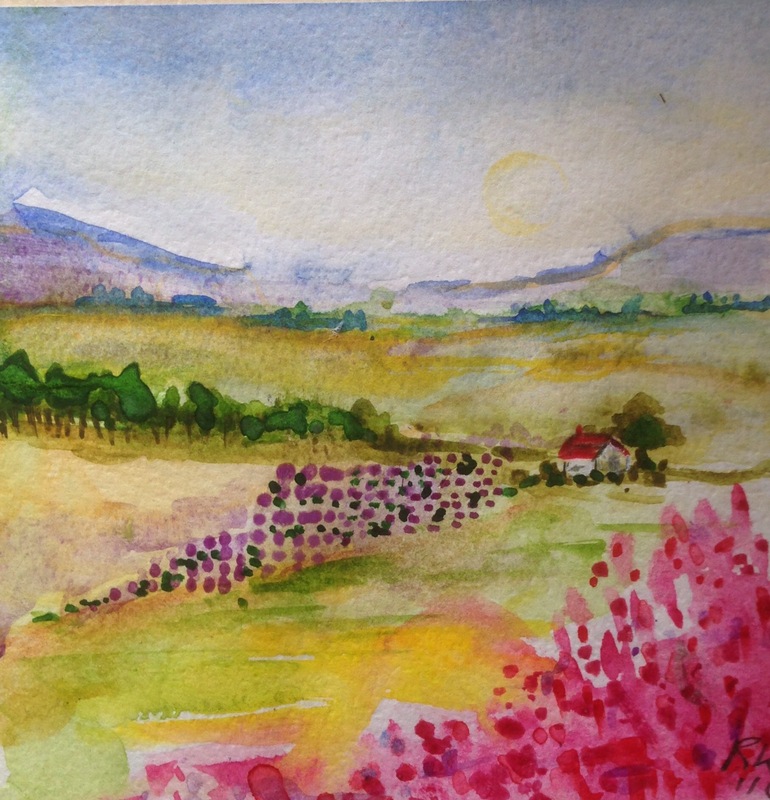 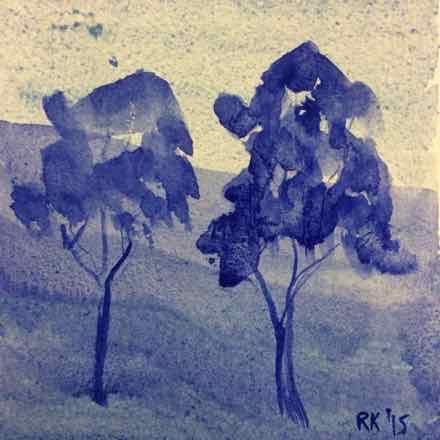 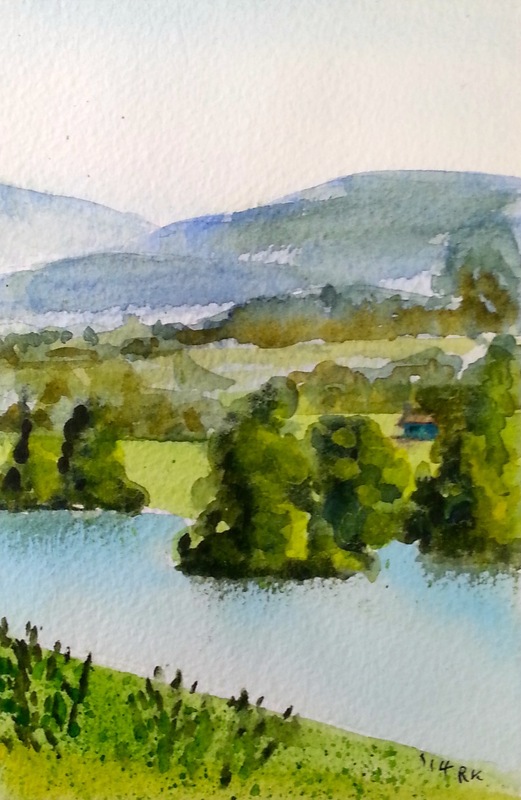 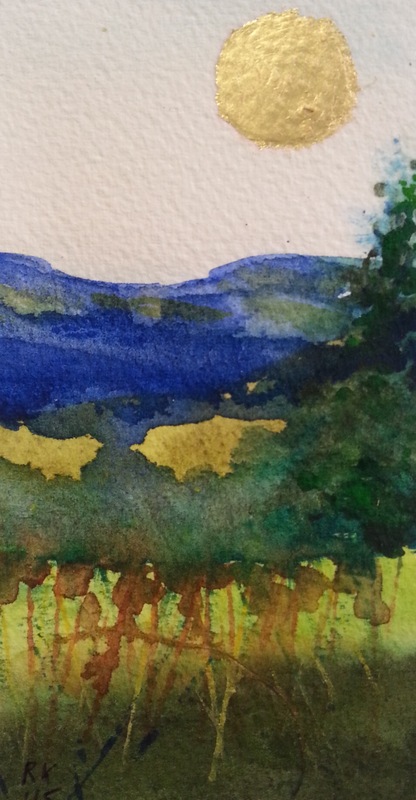 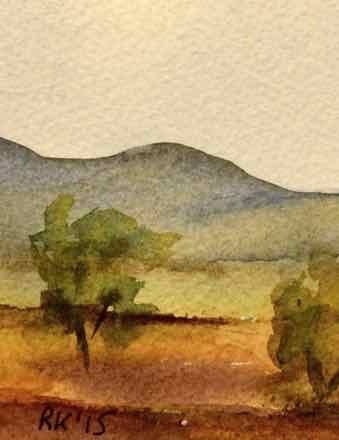 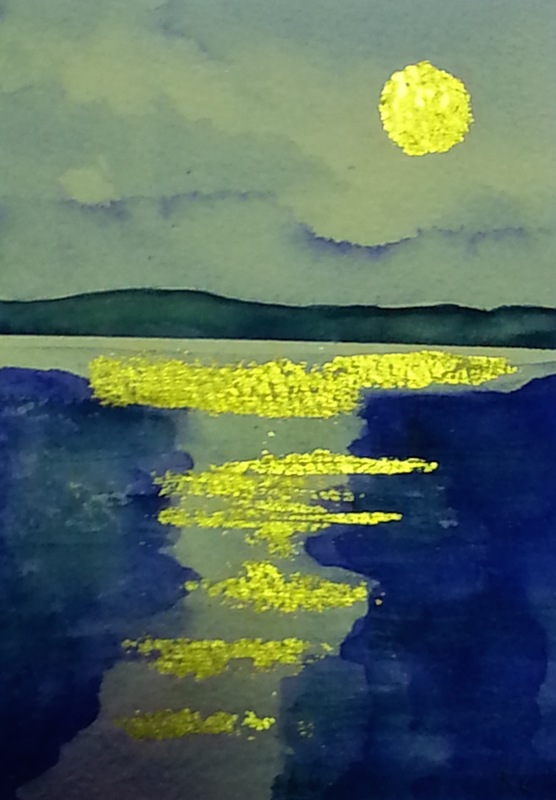 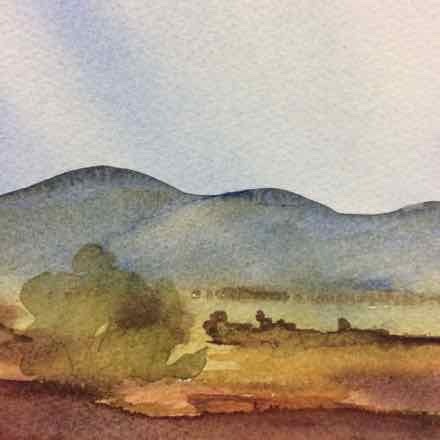 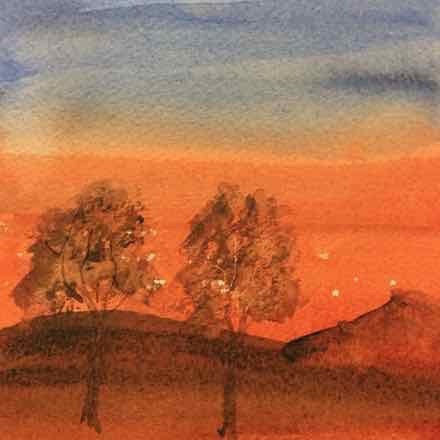 I have used photography to capture the beautiful scenery we pass through on out travels, then use the photos as inspiration for watercolour paintings. 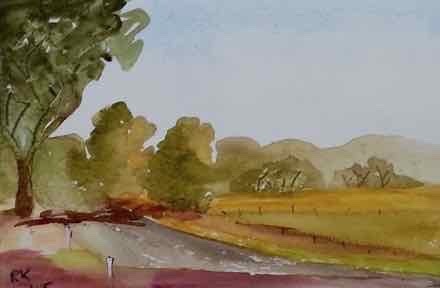 I love the contrasts you see in the countryside at different times of year and in different regions. 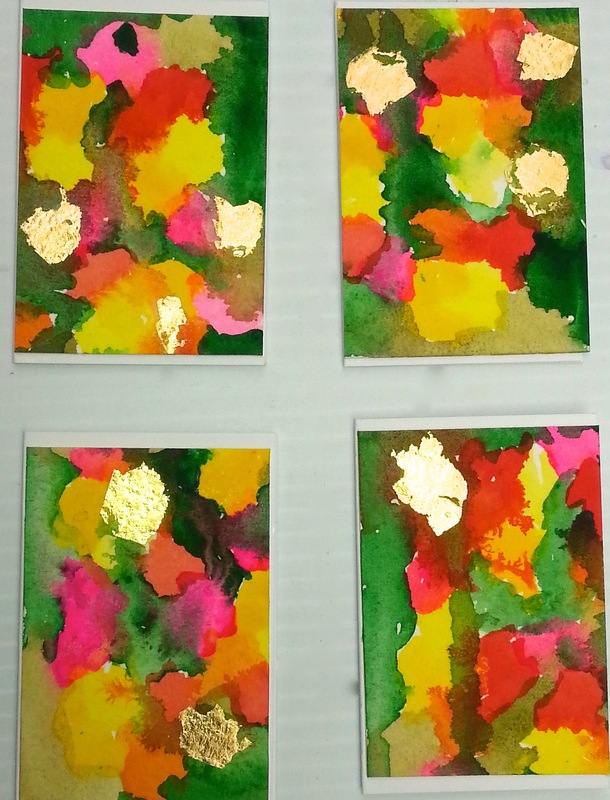 Here are four cards I designed for Valentine’s Day this year. 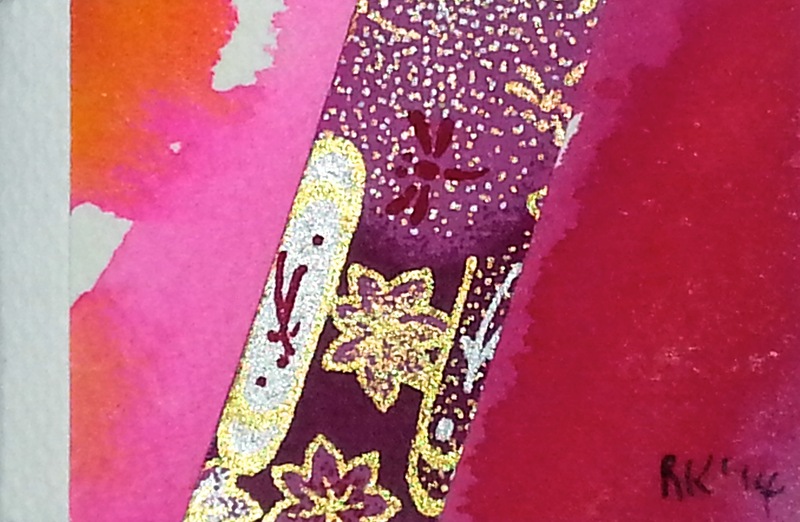 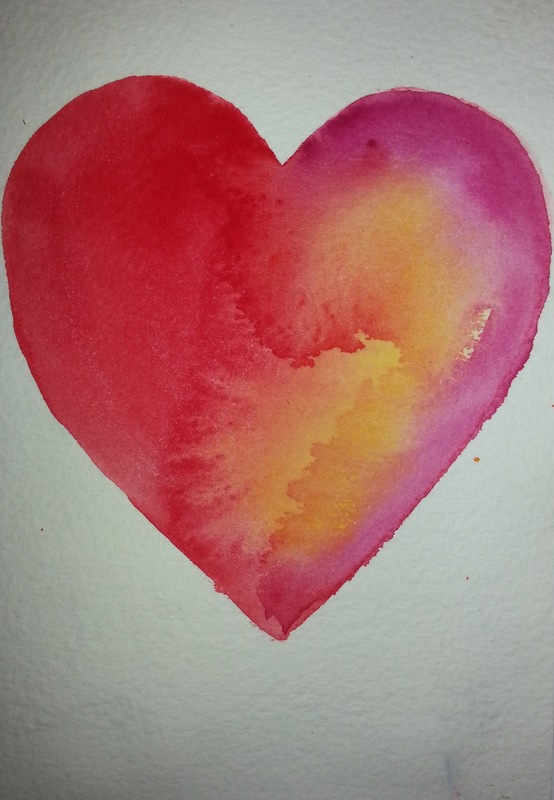 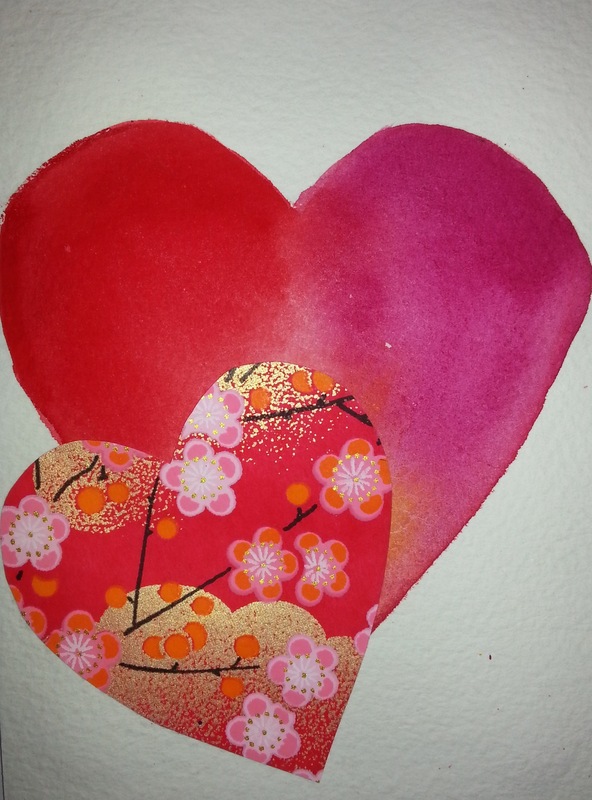 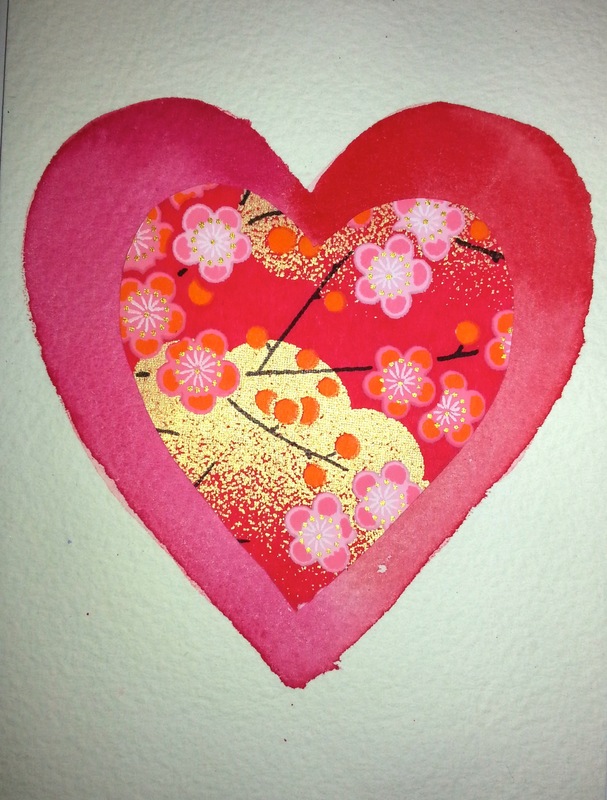 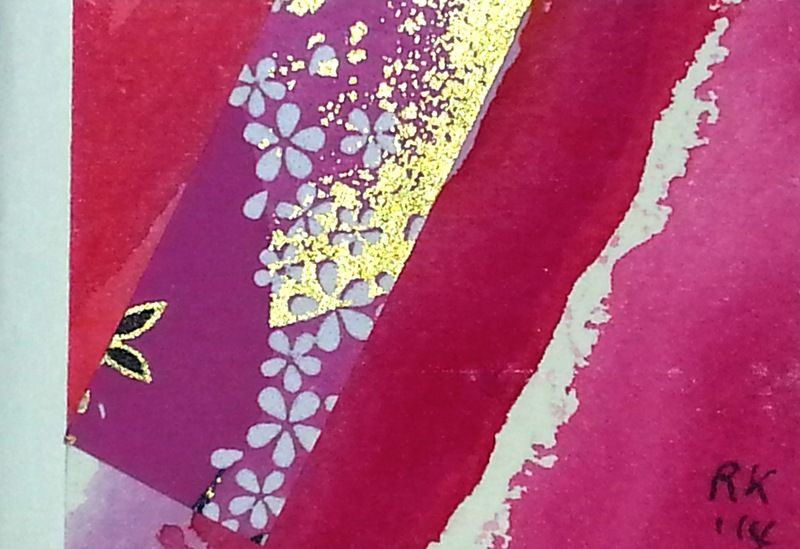 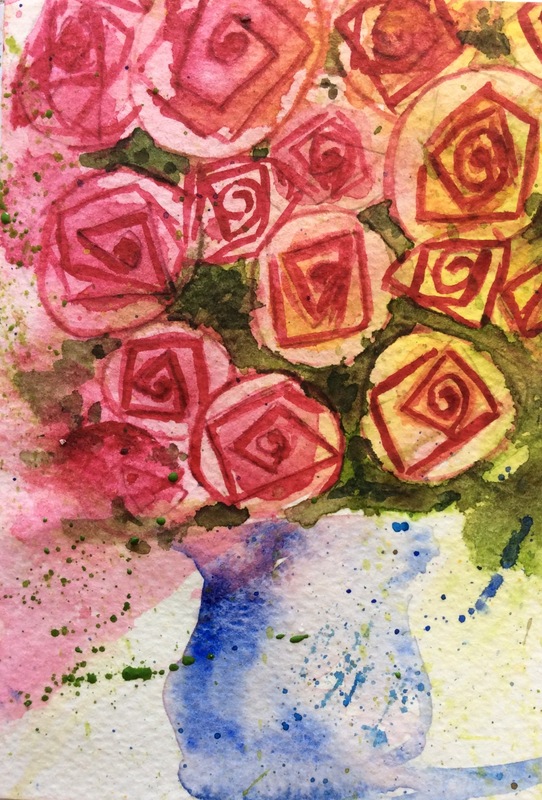 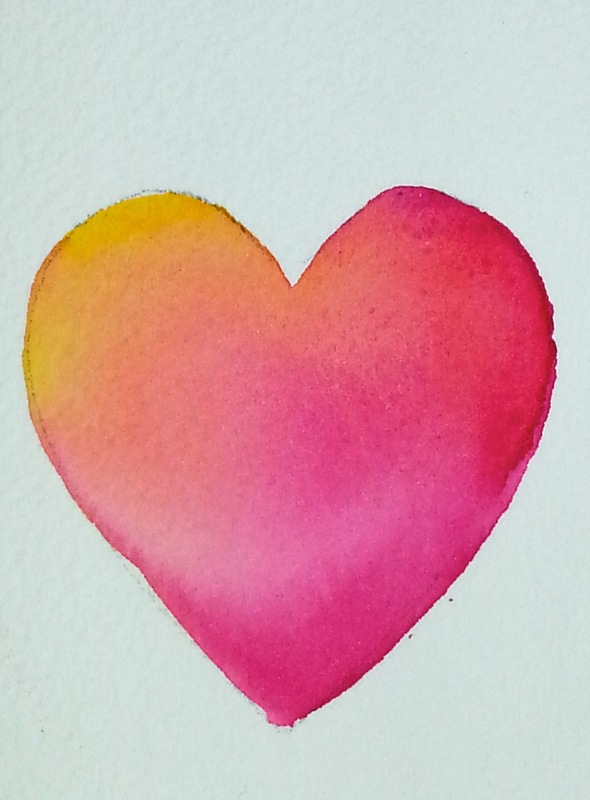 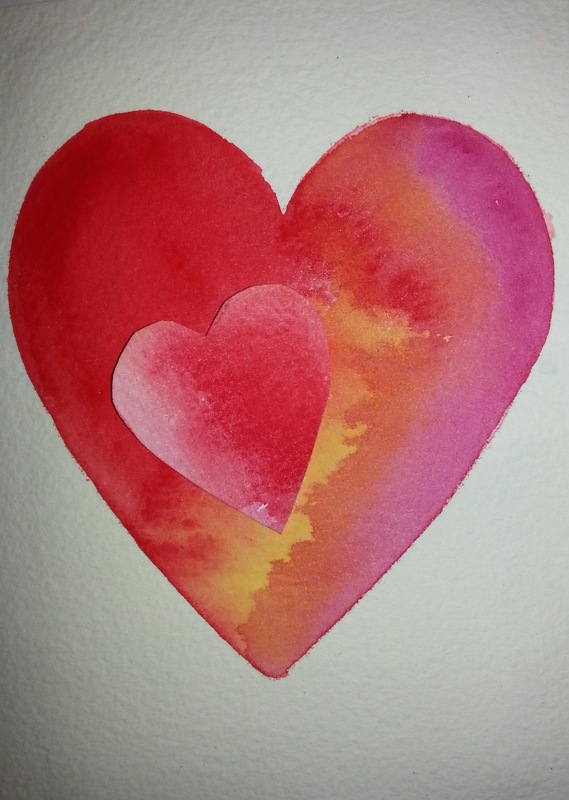 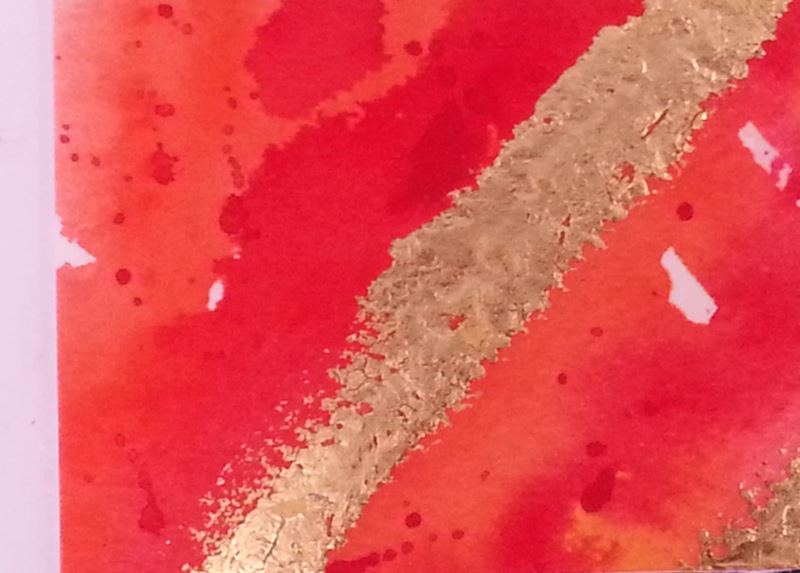 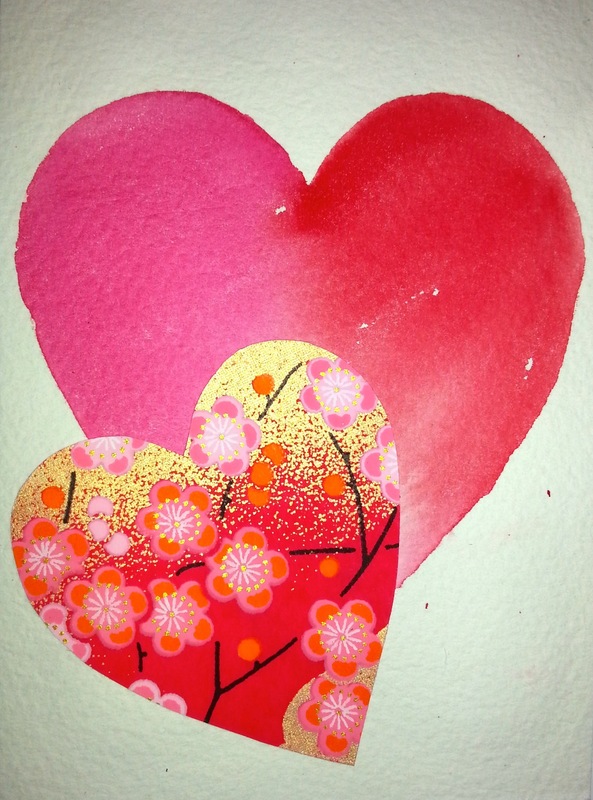 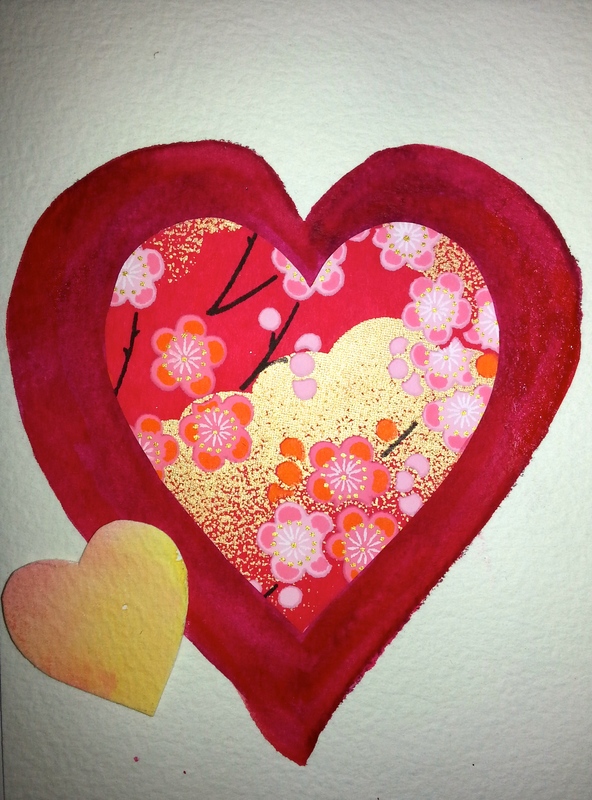 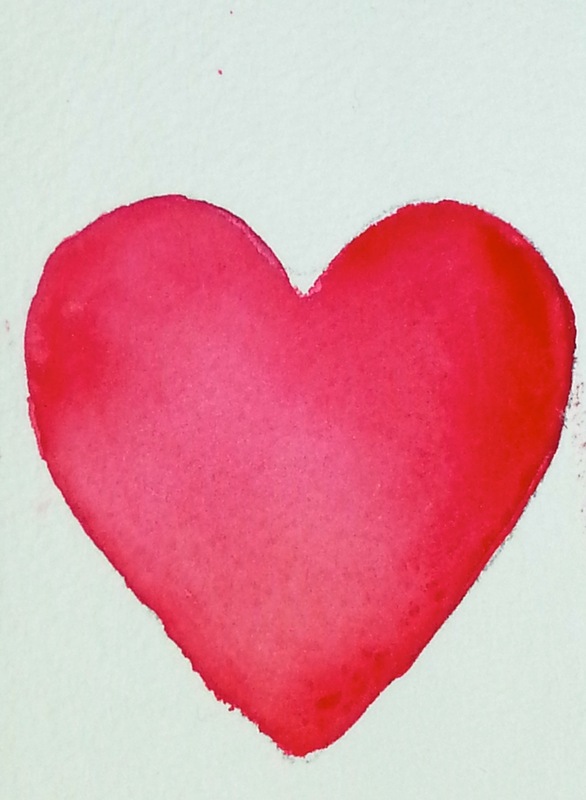 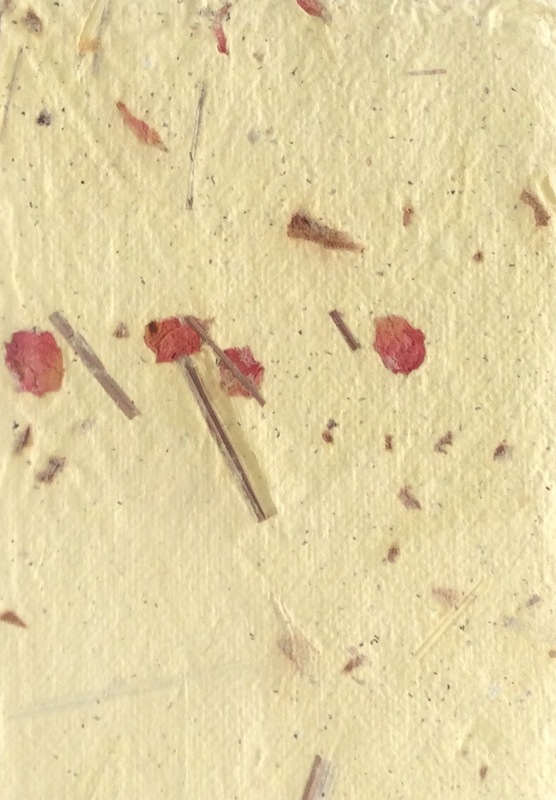 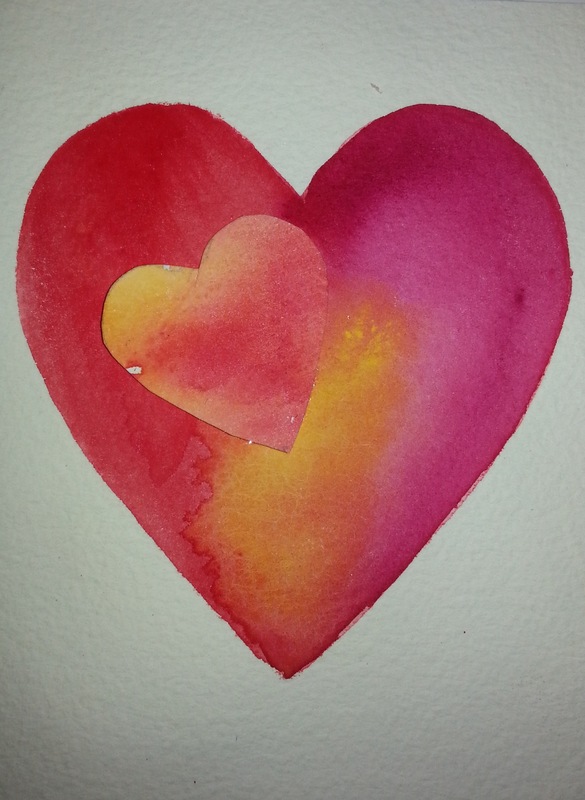 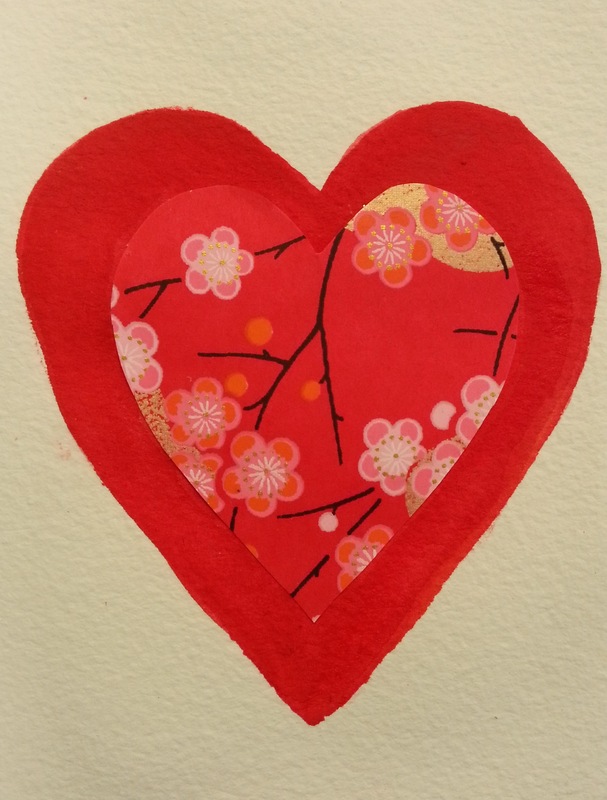 They feature hearts painted in crimson, scarlet and red watercolour and Japanese yuzen chiyogami paper. 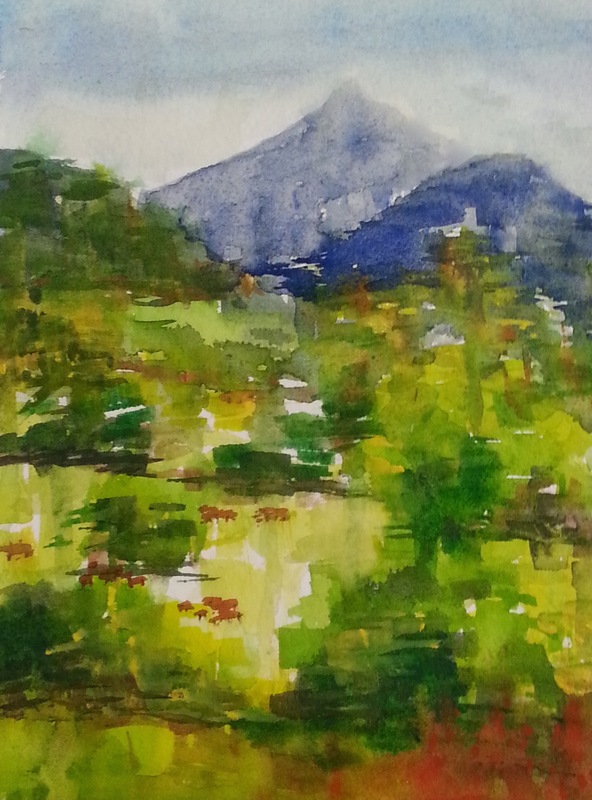 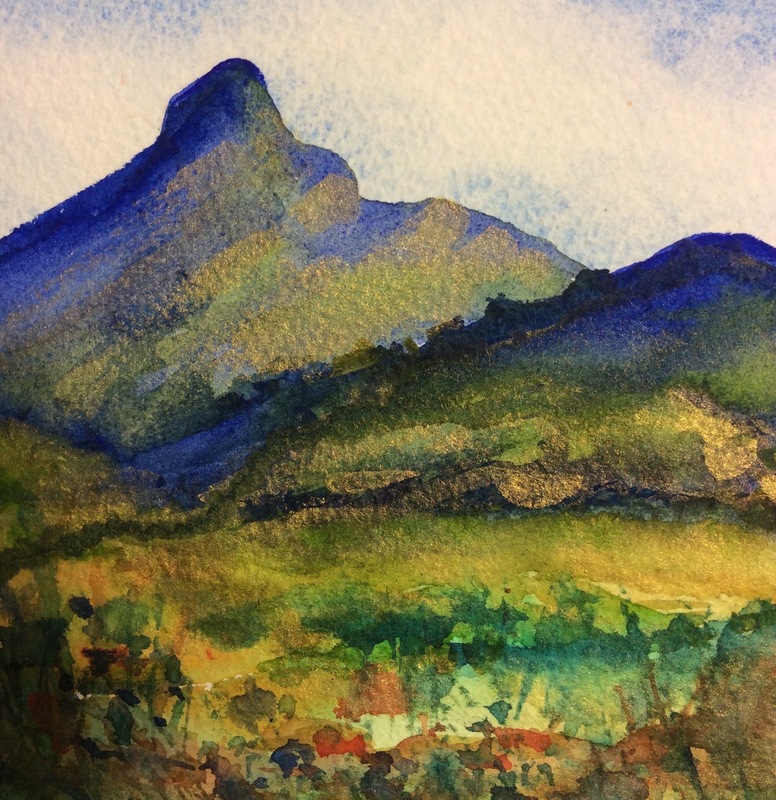 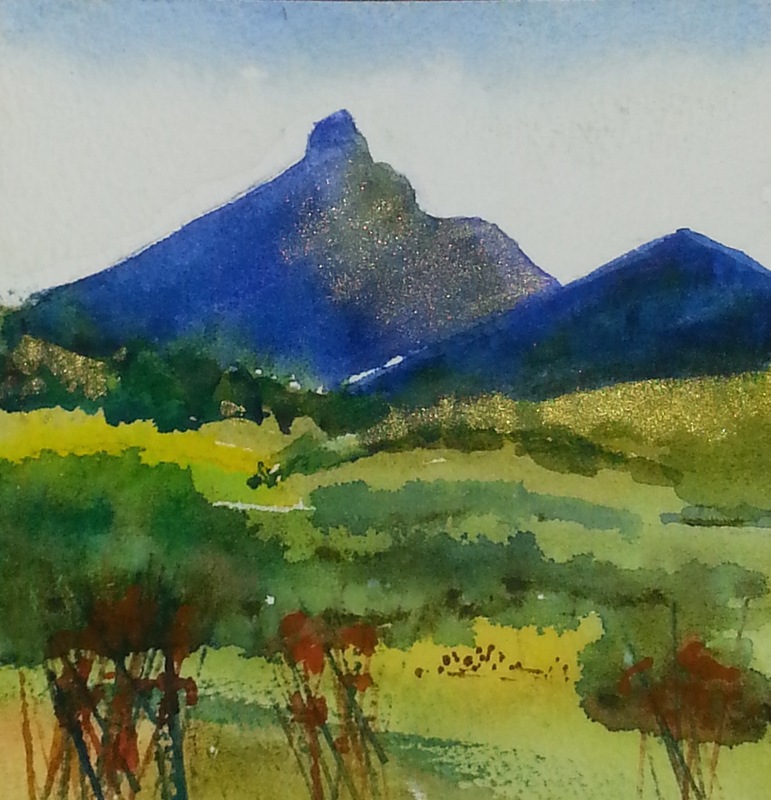 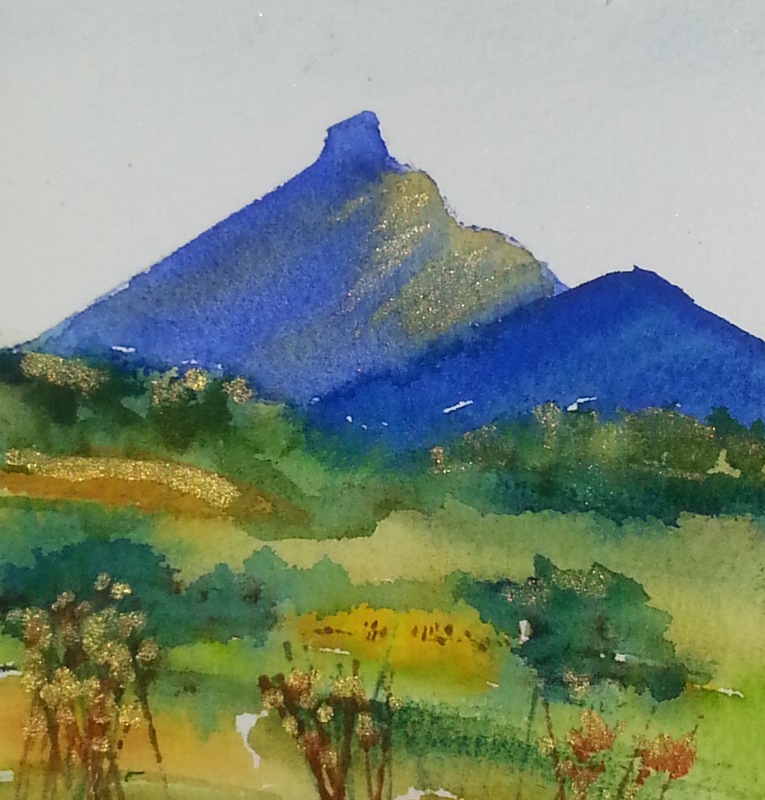 Mount Warning is a beautiful mountain near to where I live. 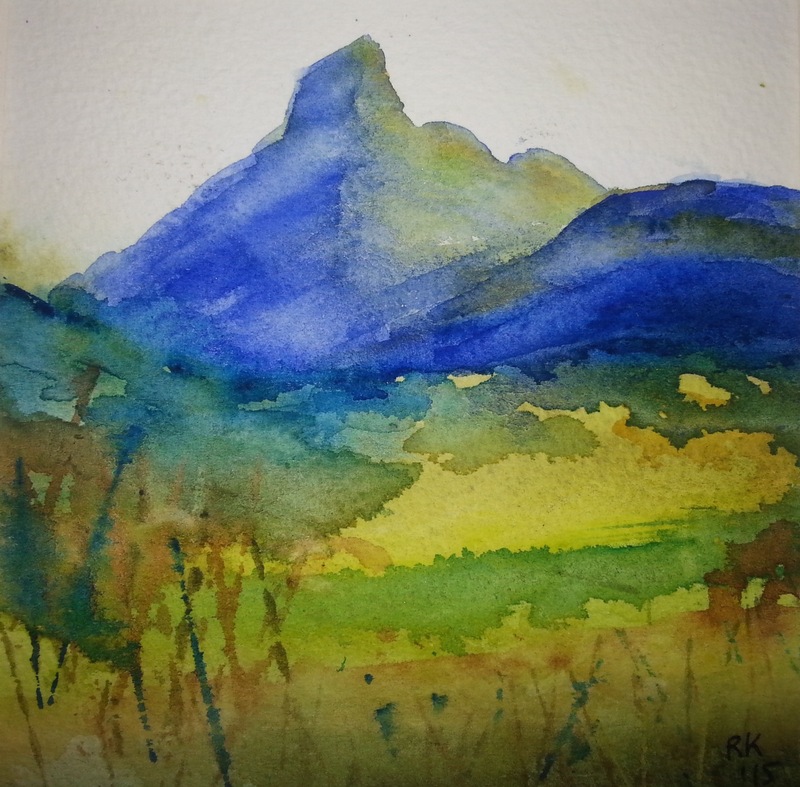 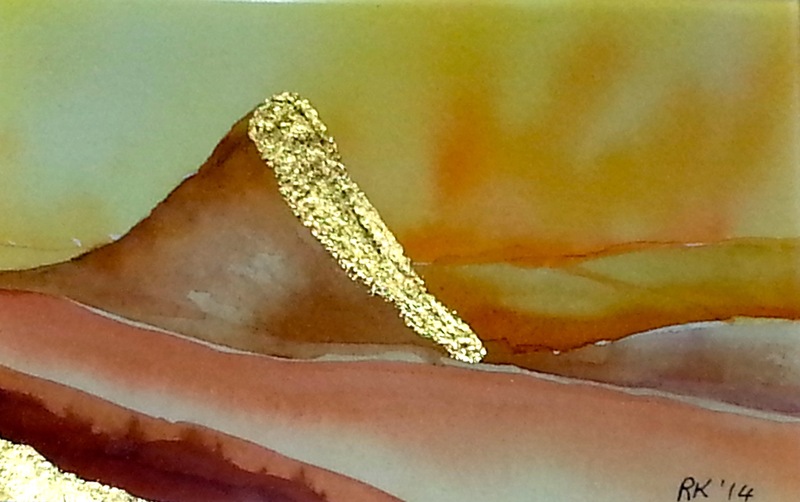 I love to photograph and paint it at different times of day and to use different techniques to show a variety of moods of the mountain. 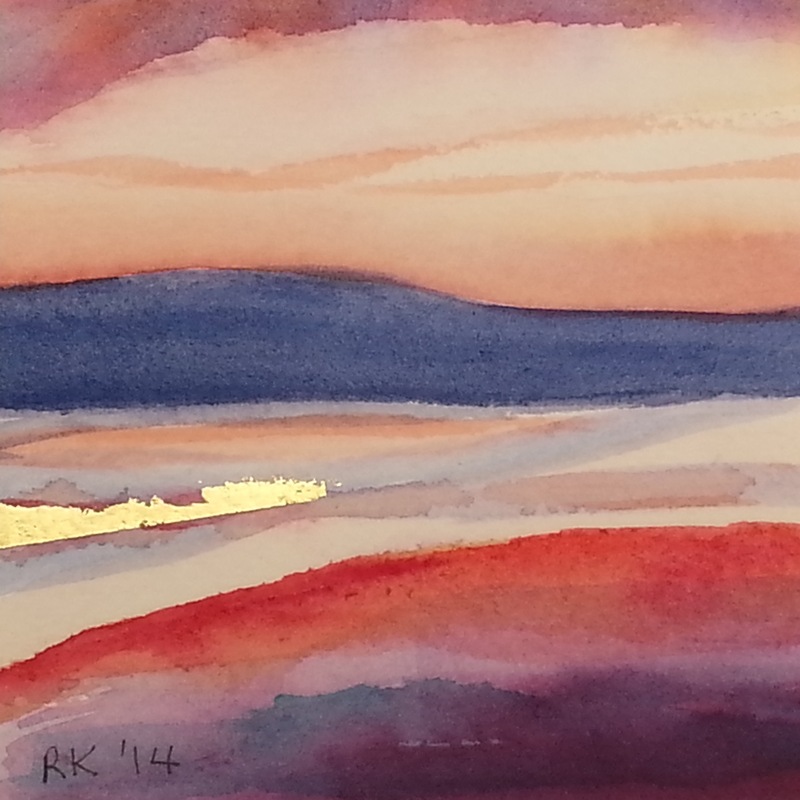 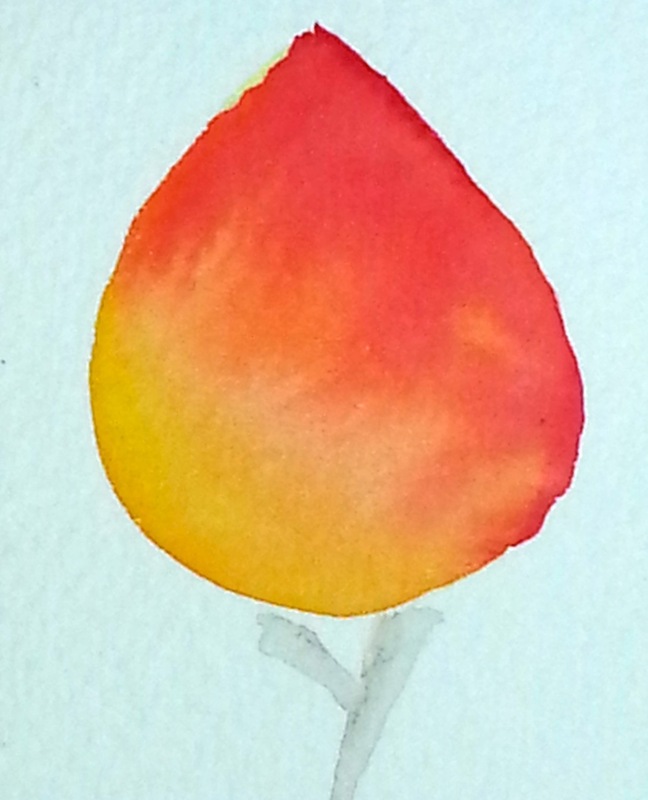 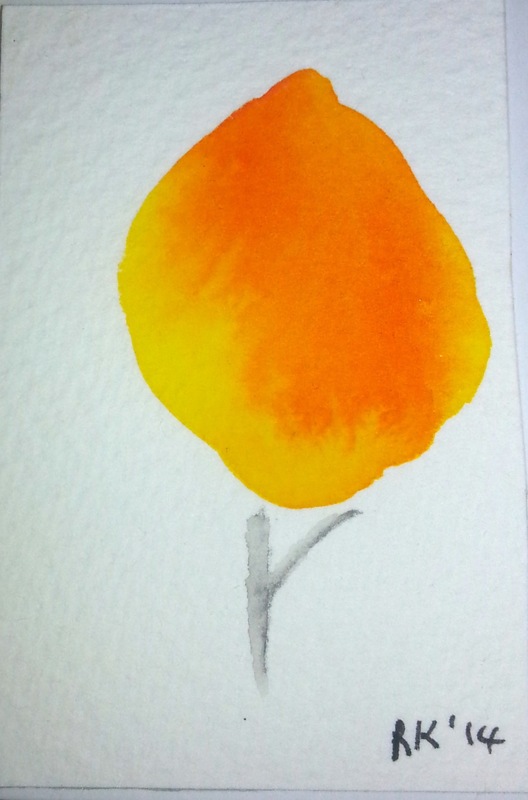 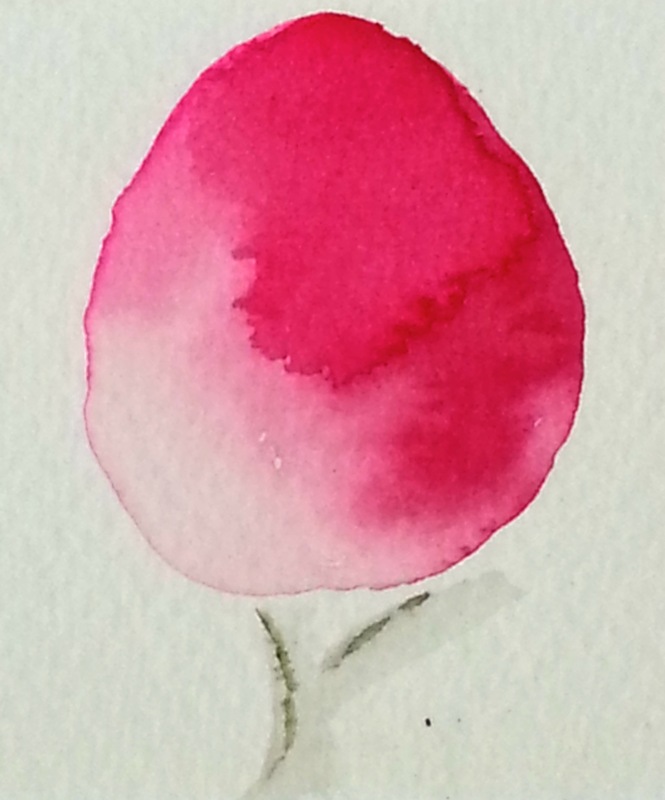 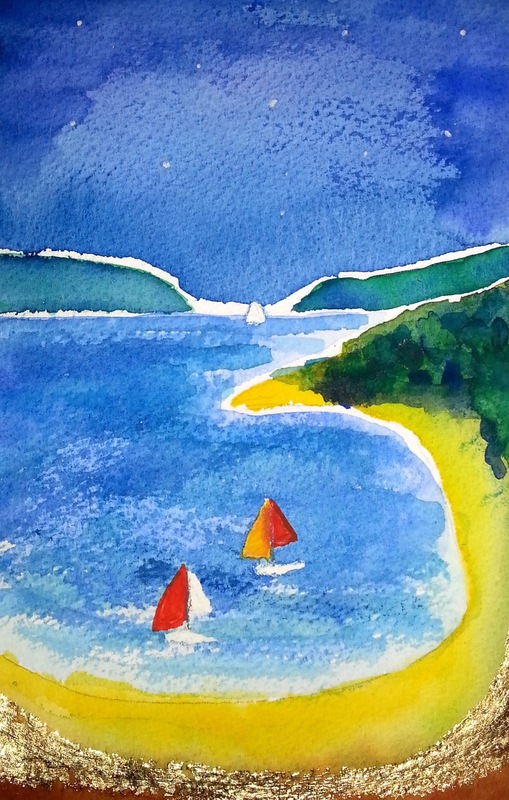 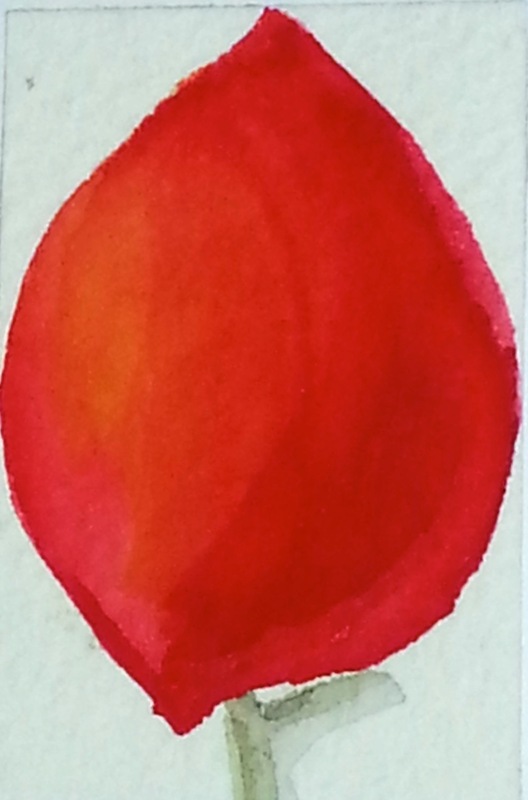 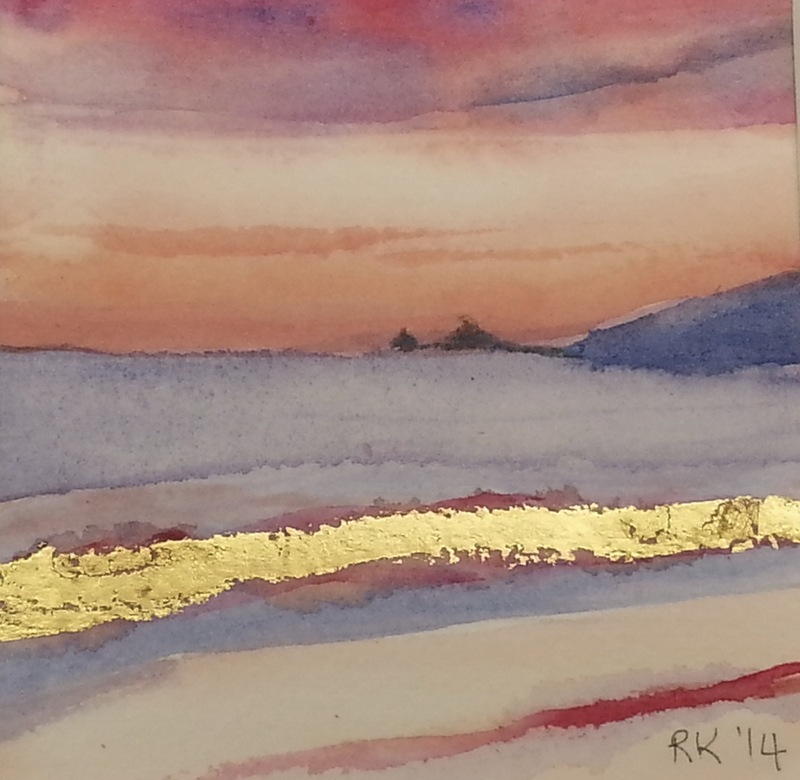 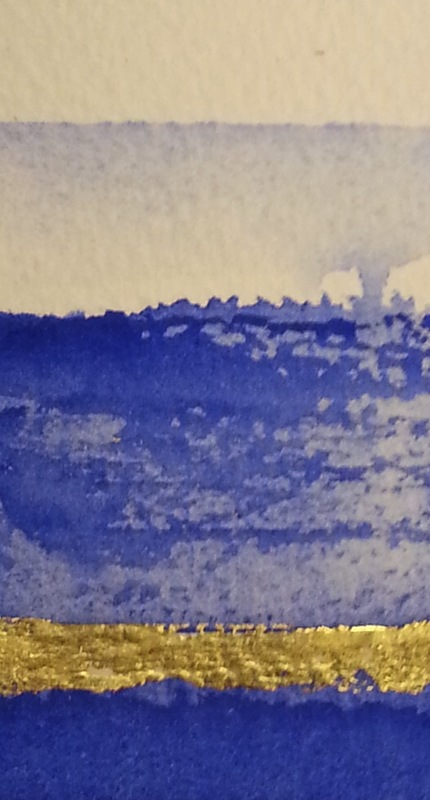 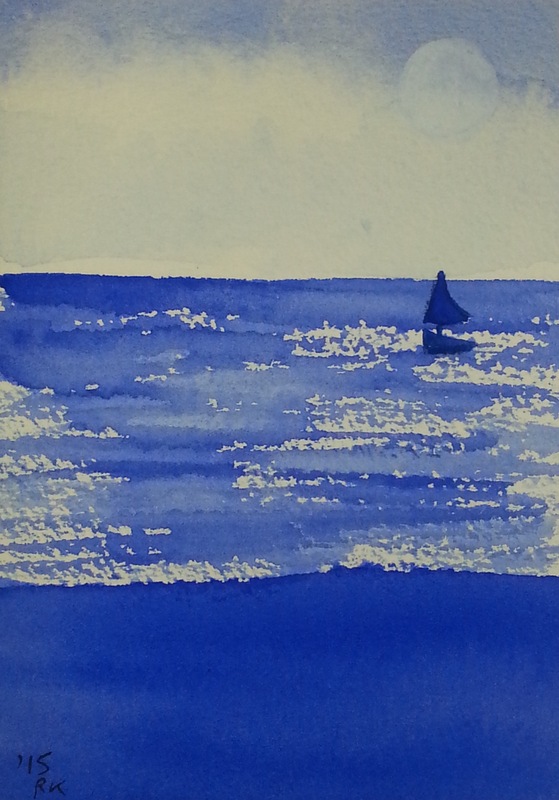 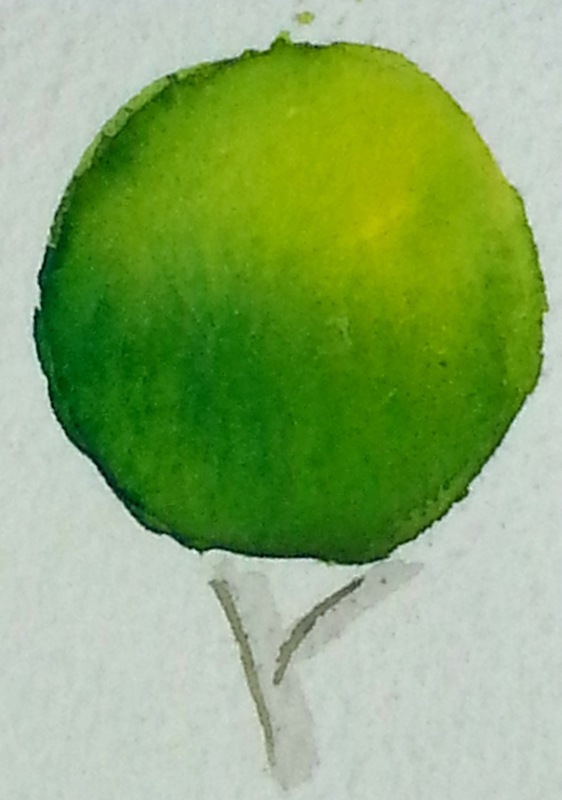 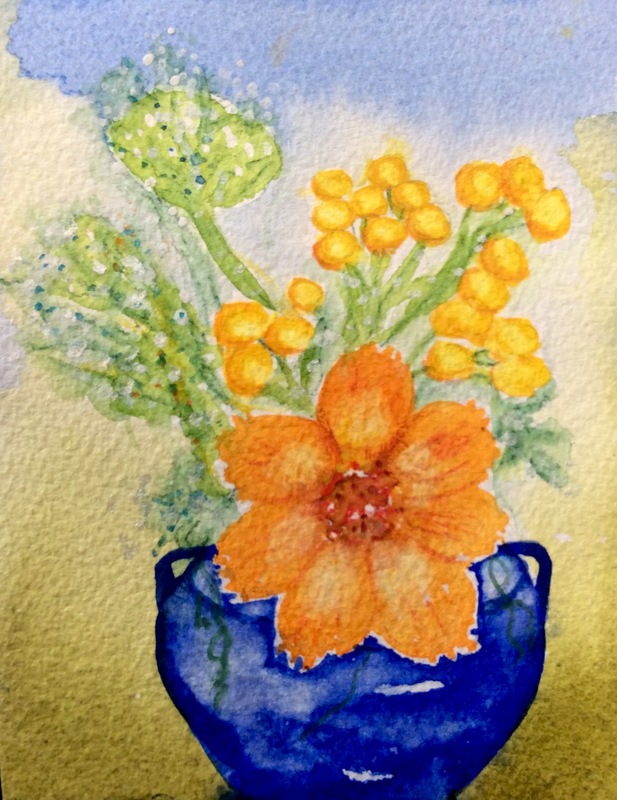 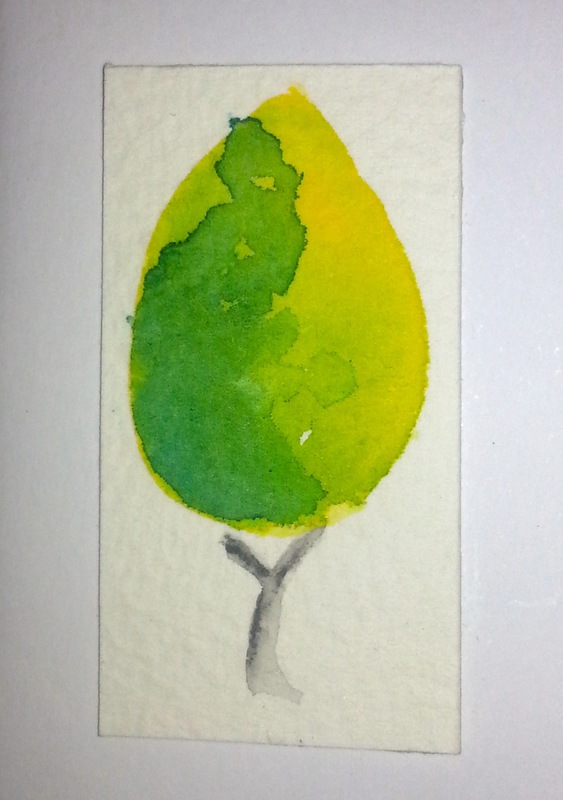 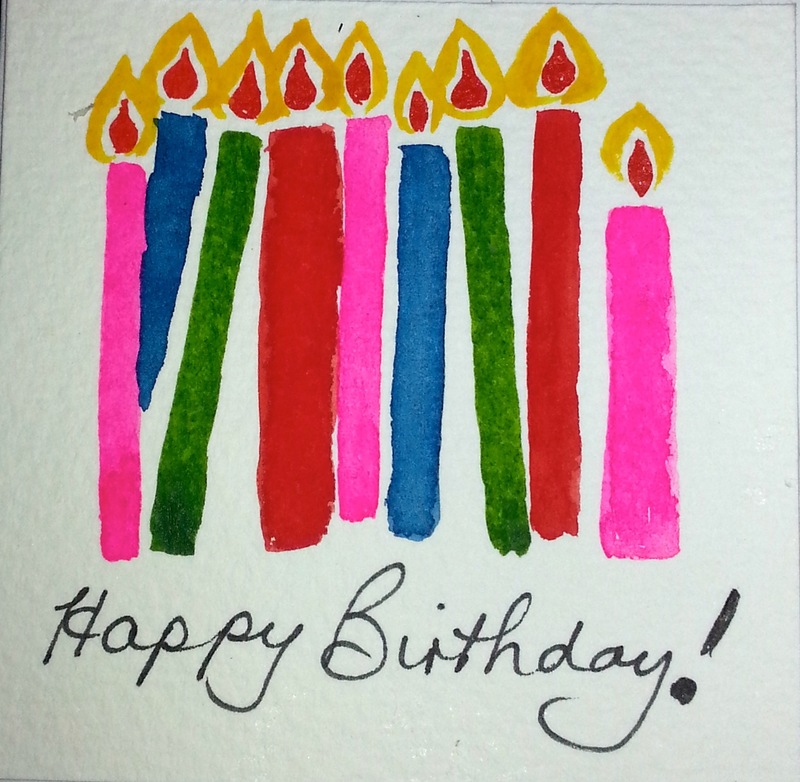 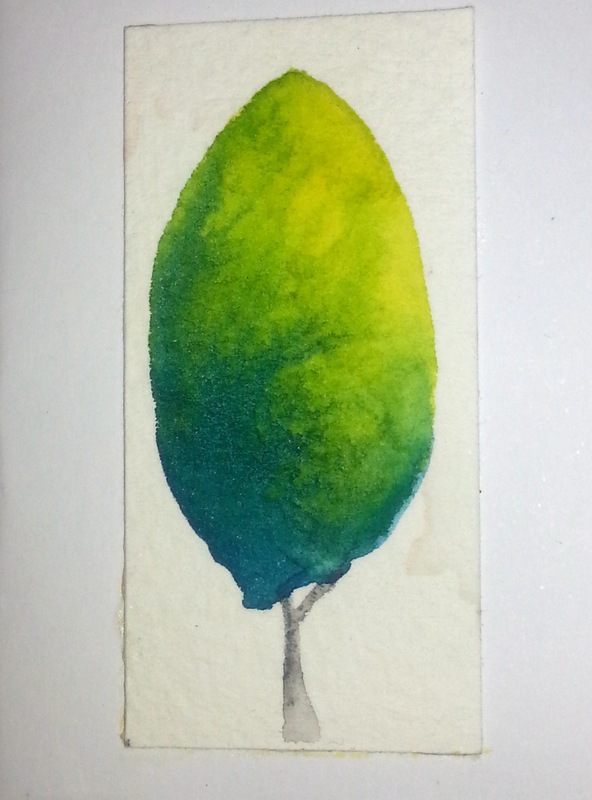 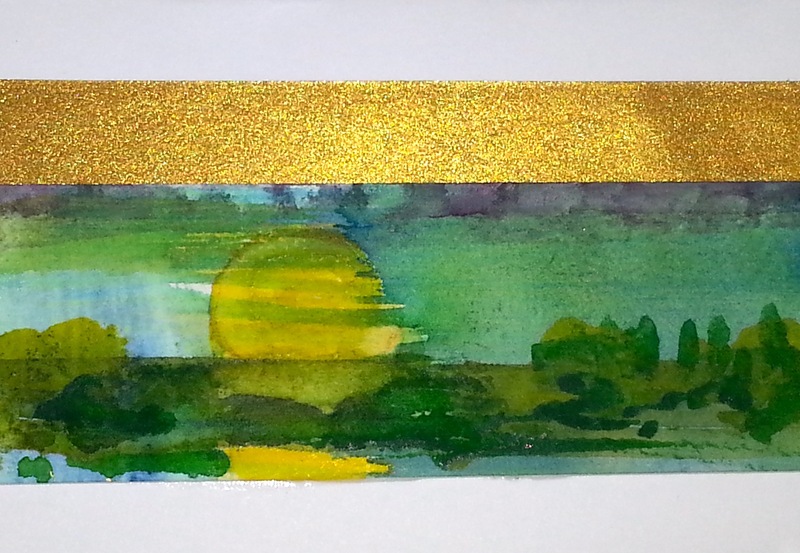 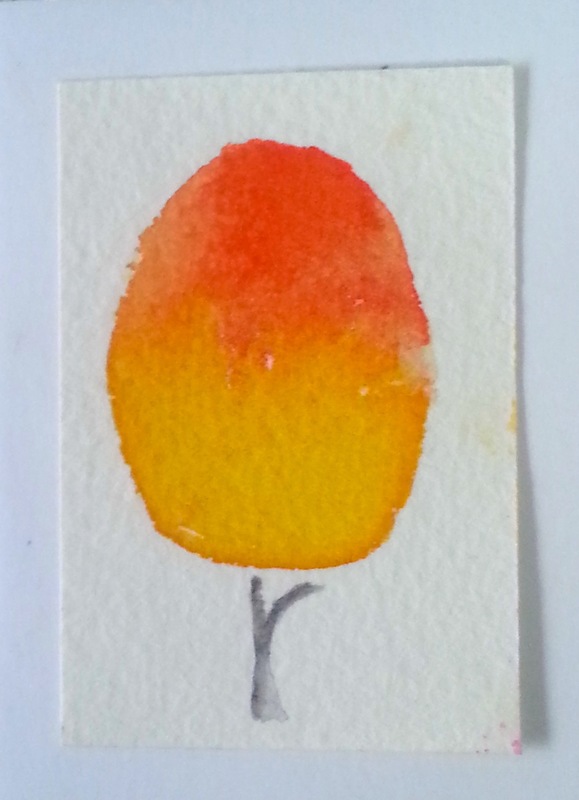 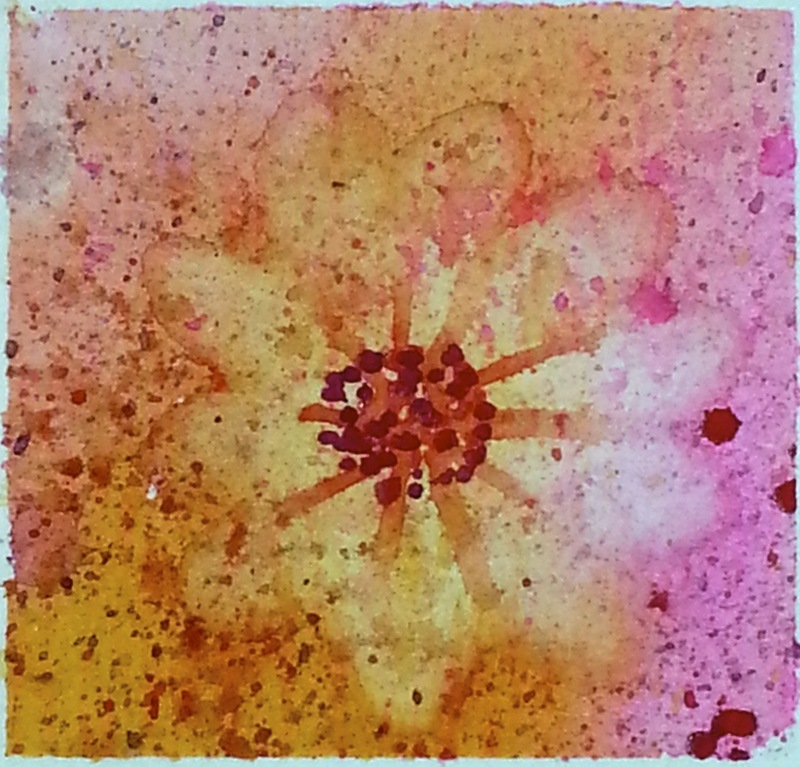 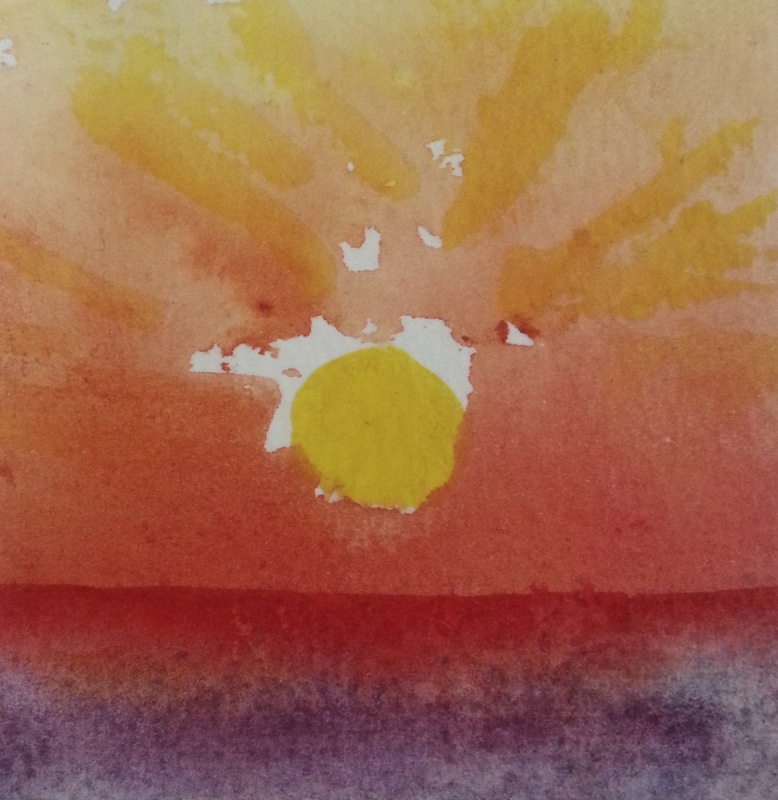 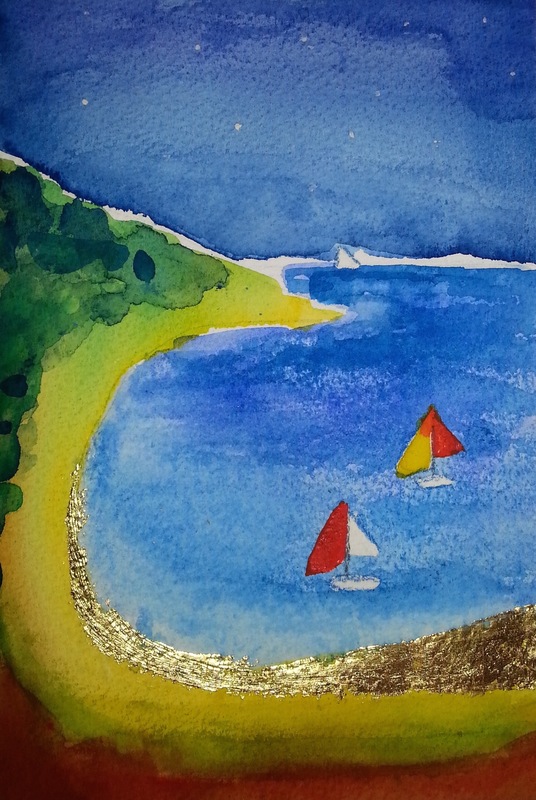 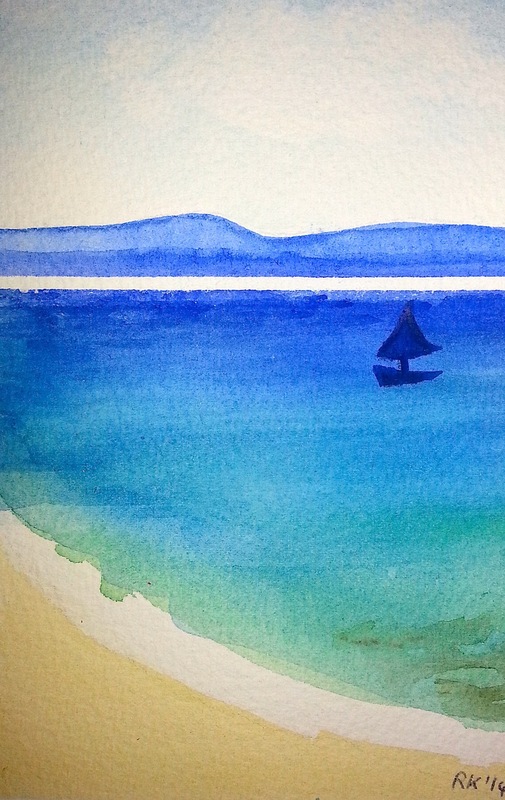 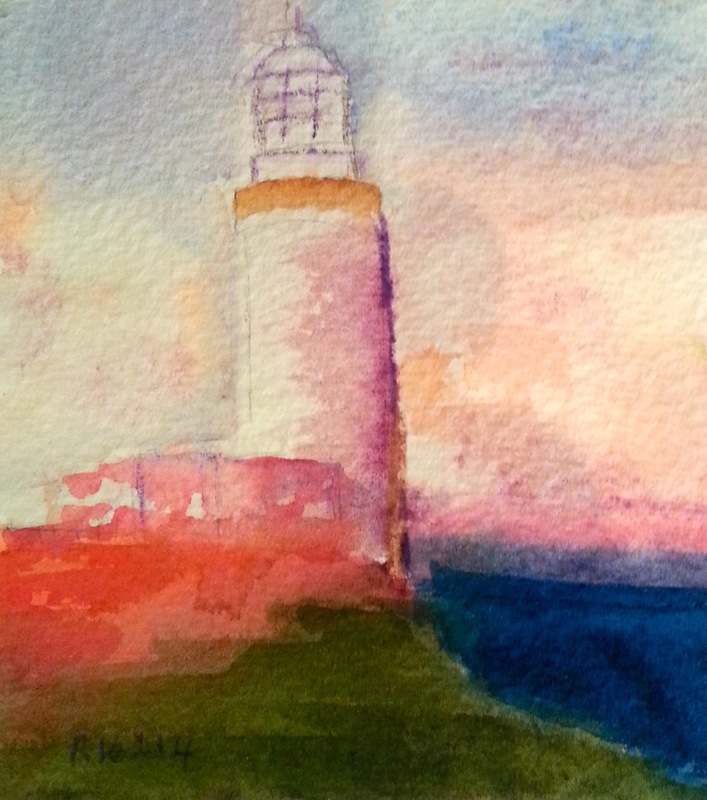 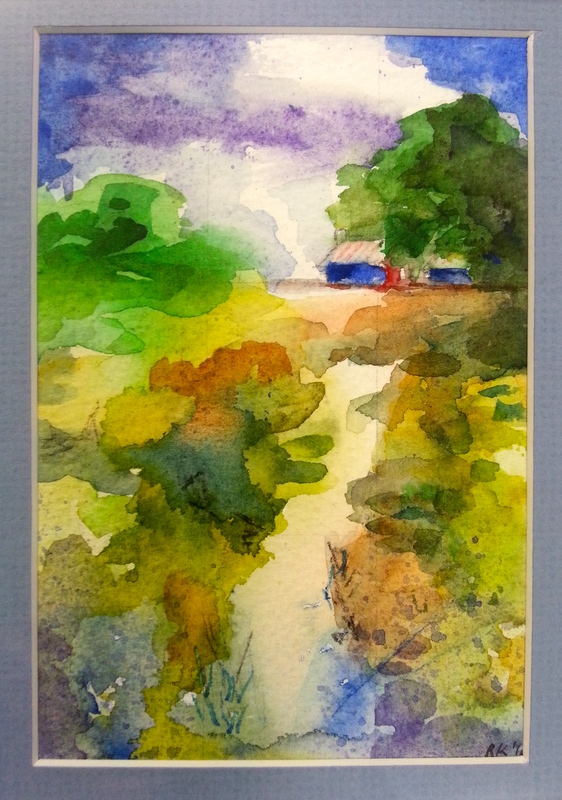 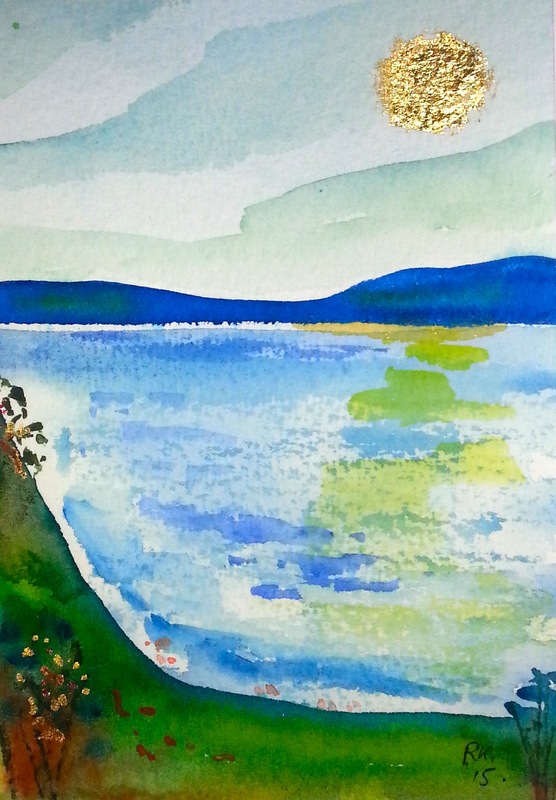 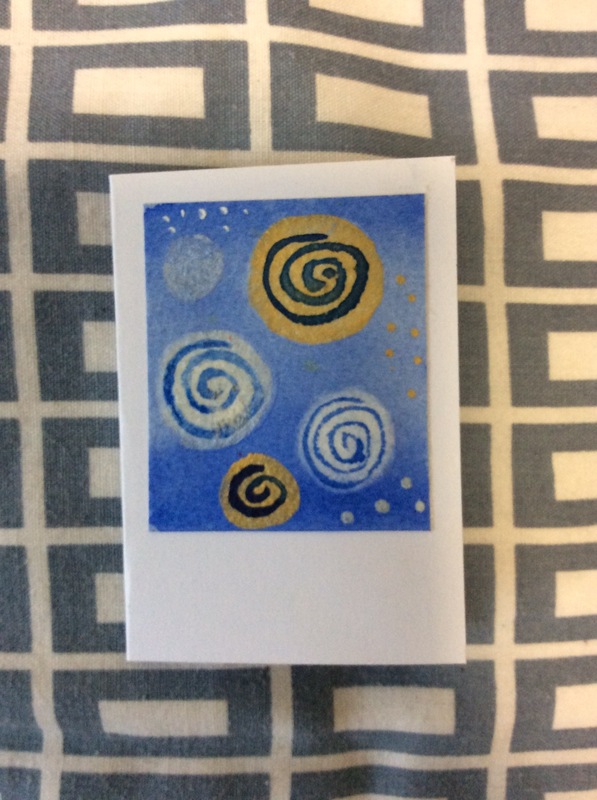 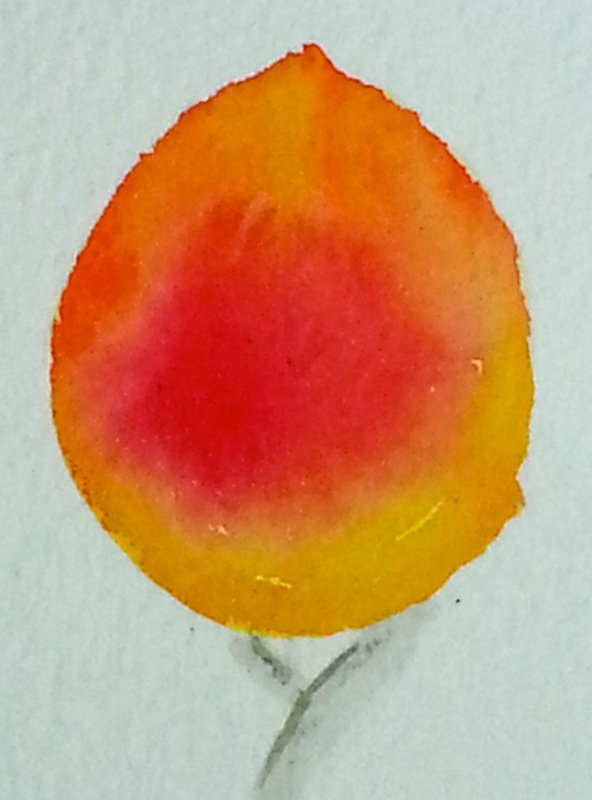 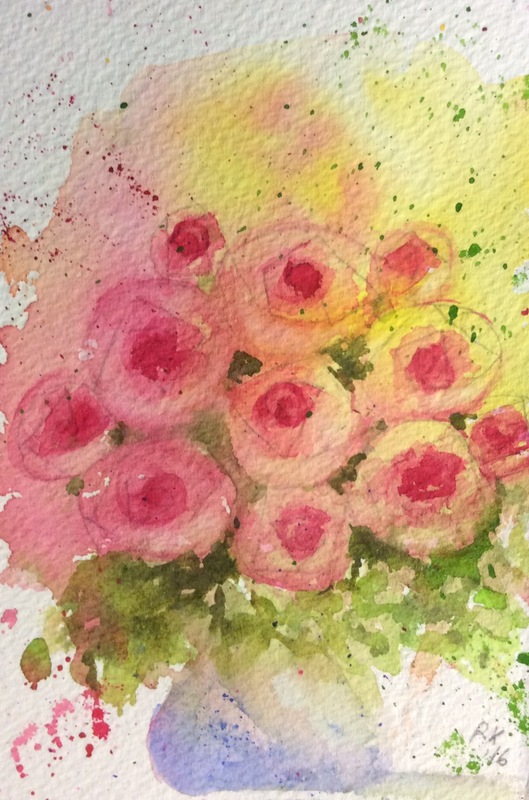 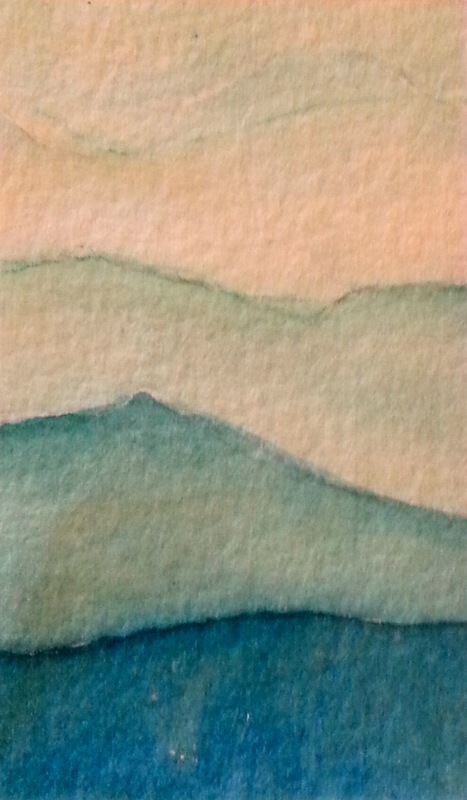 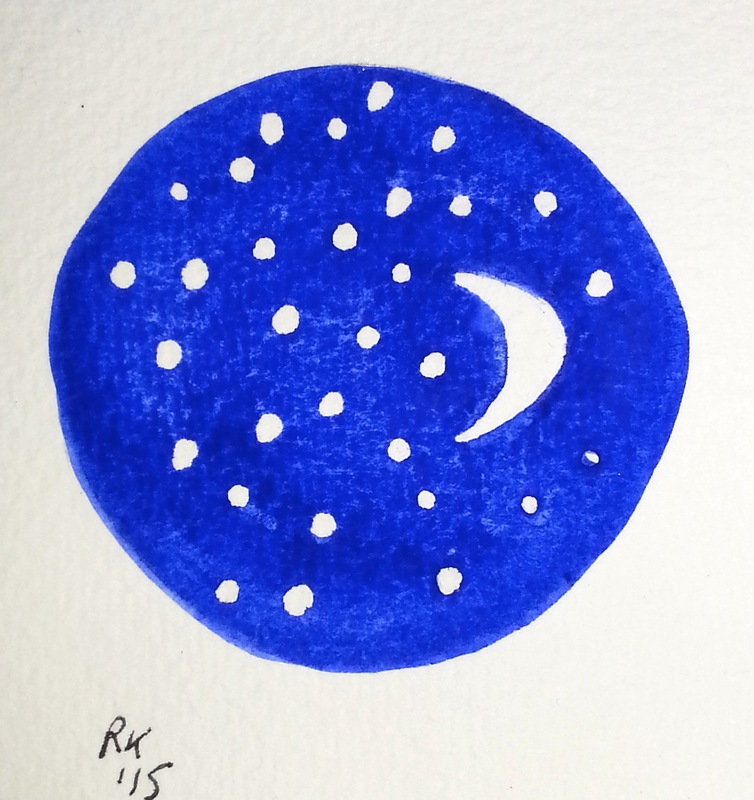 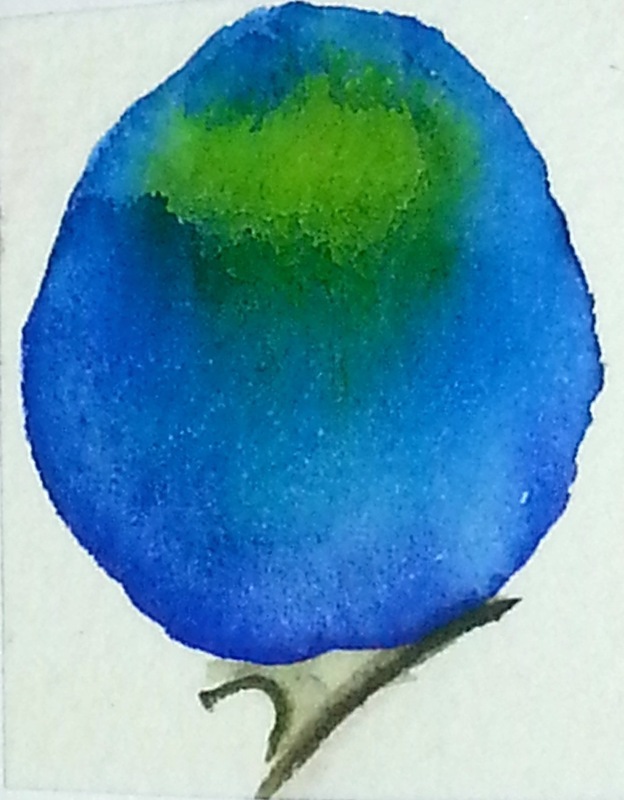 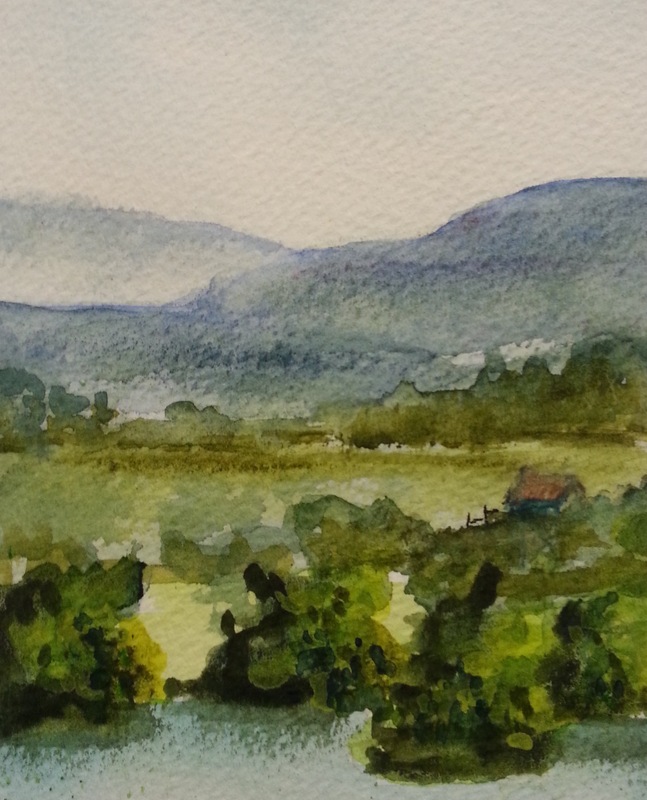 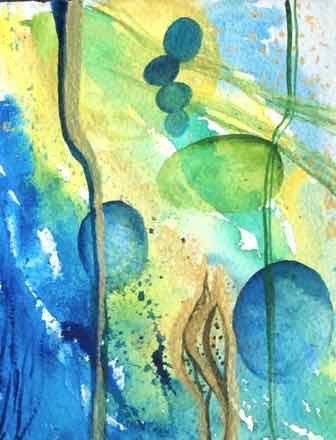 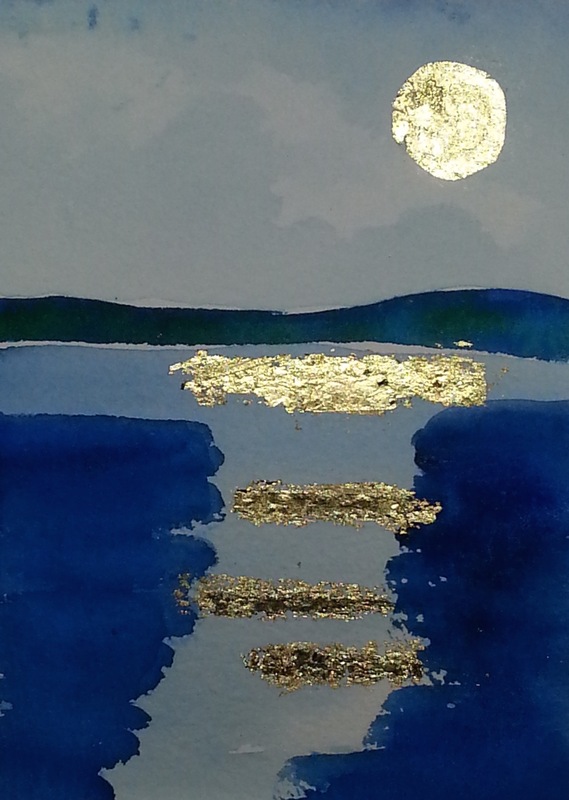 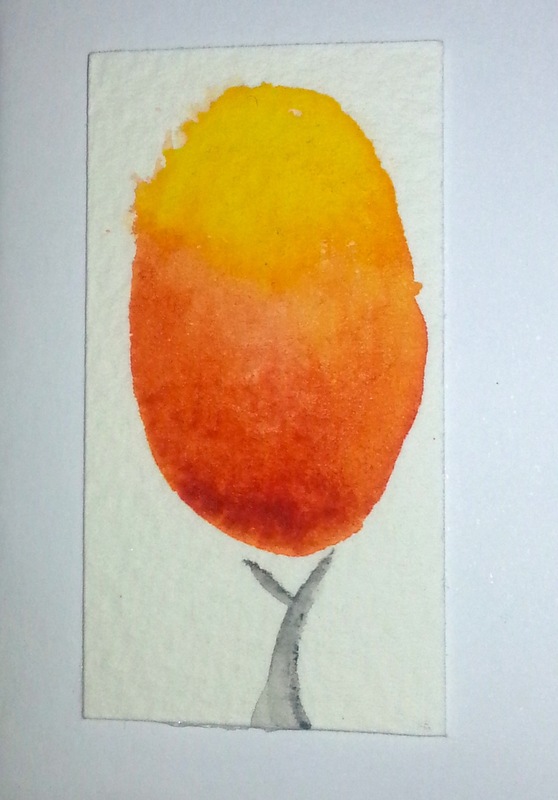 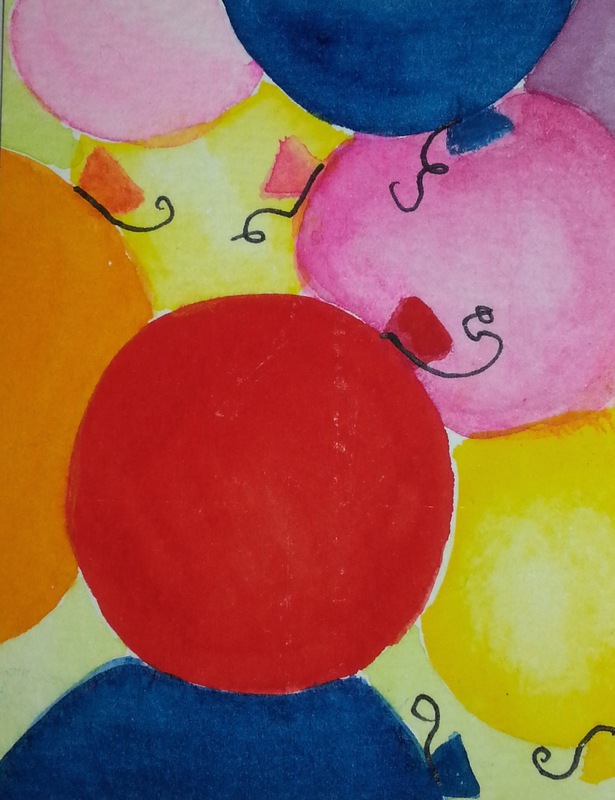 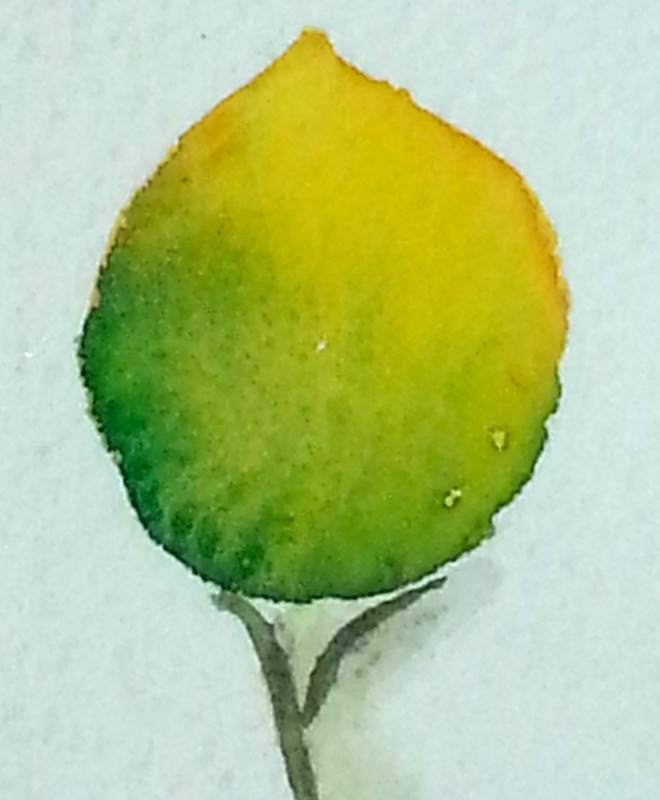 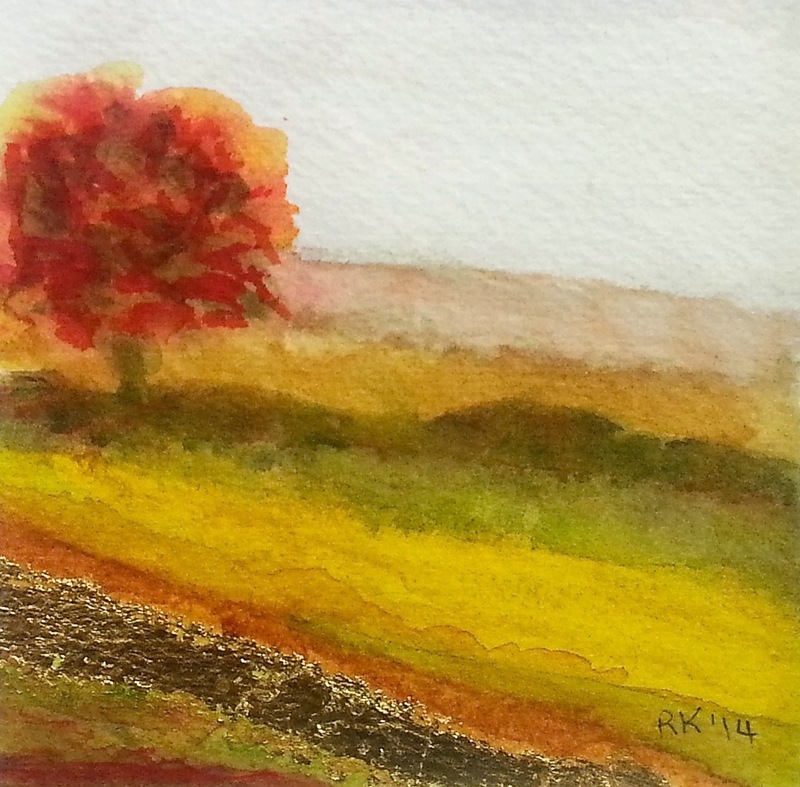 I painted this little watercolour and made it into a gift card. 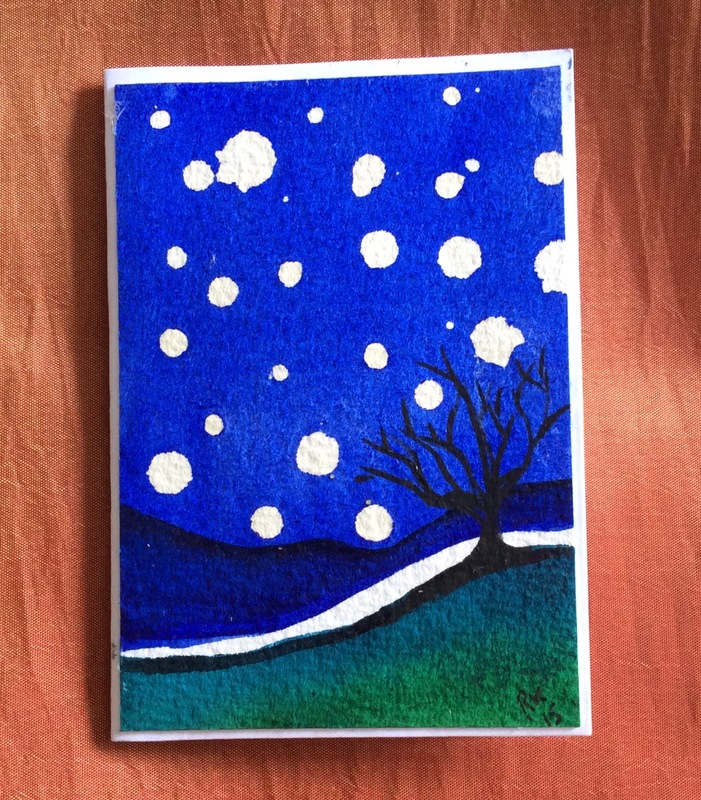 I have enjoyed some snowy winter evenings when I lived in Hobart Tasmania and Armidale NSW. 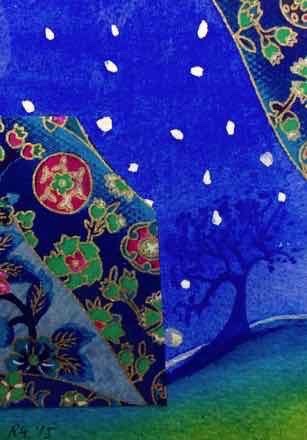 I also spent one memorable winter travelling in Switzerland, Germany and Austria, Snow always makes the landscape so quiet and magical. 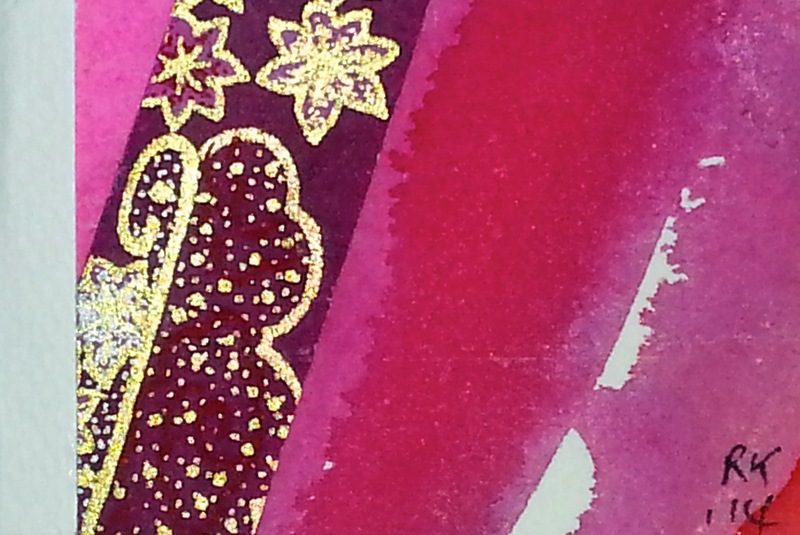 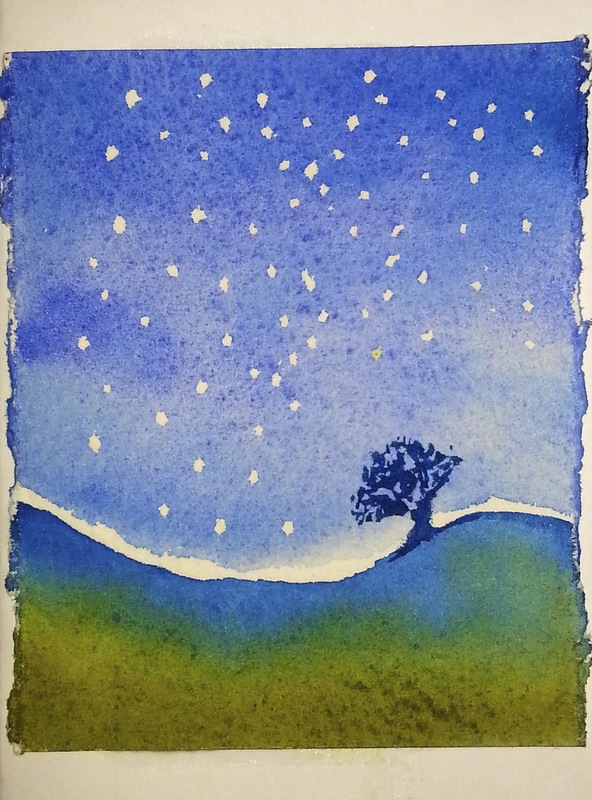 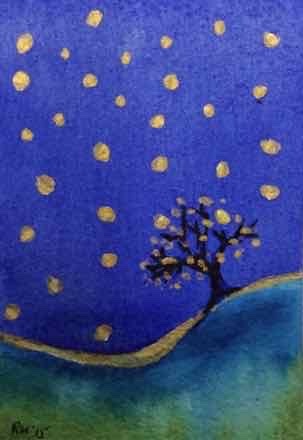 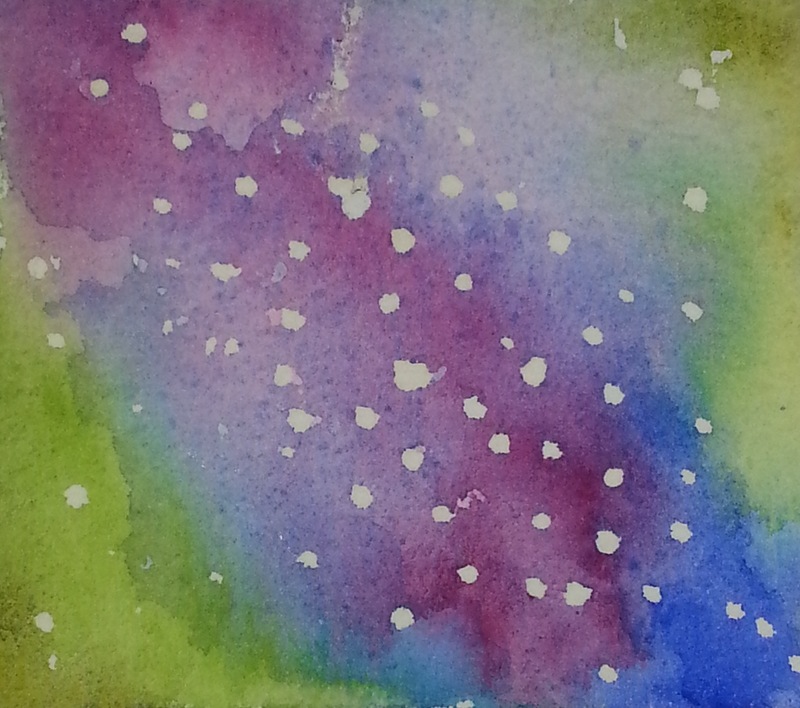 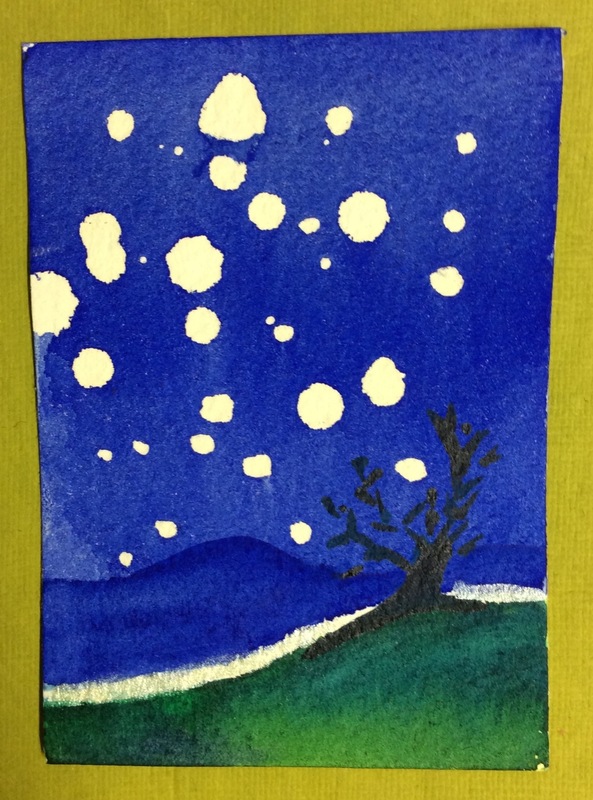 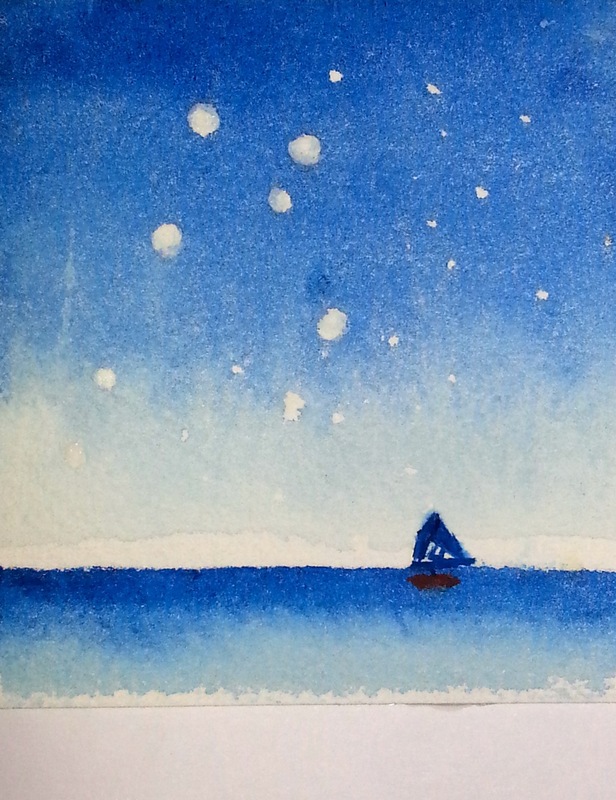 I used masking fluid on arches paper to create the snow flakes and then painted the sky over the top. 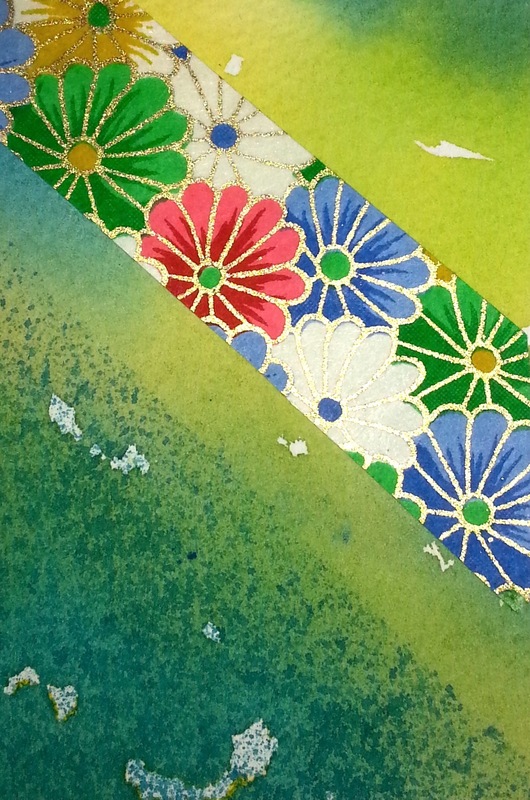 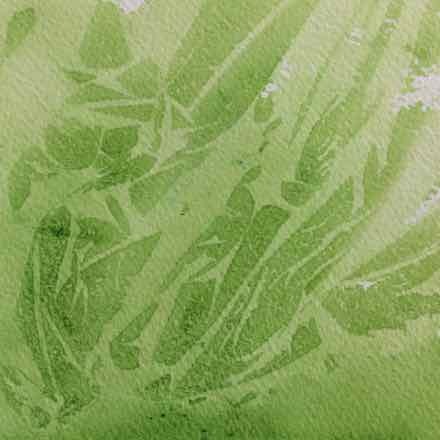 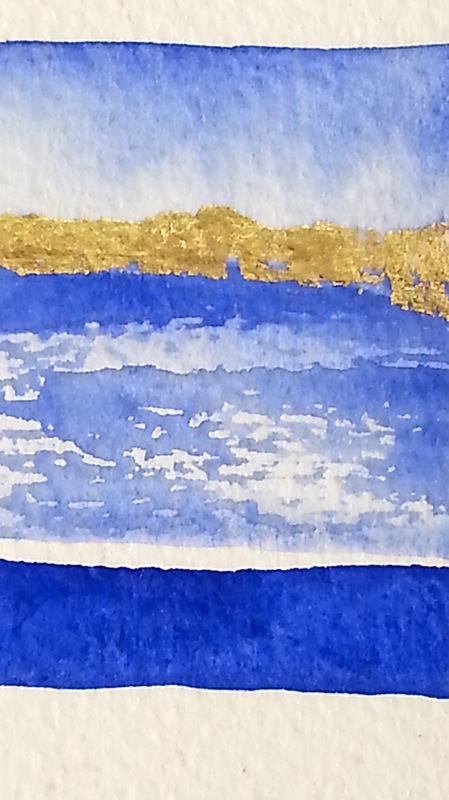 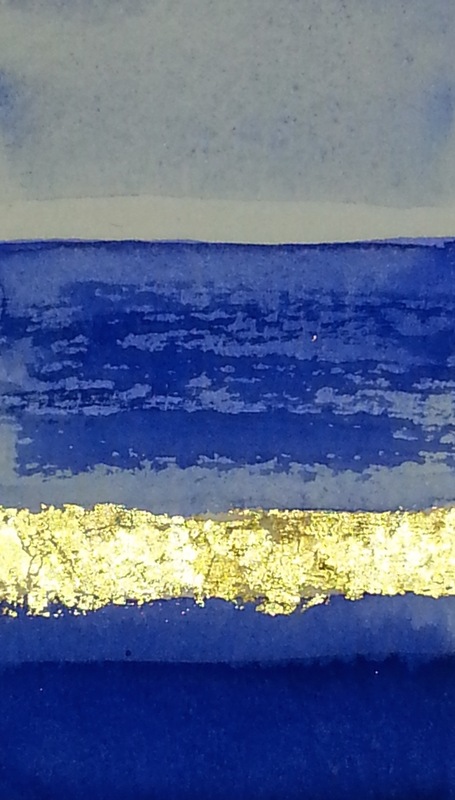 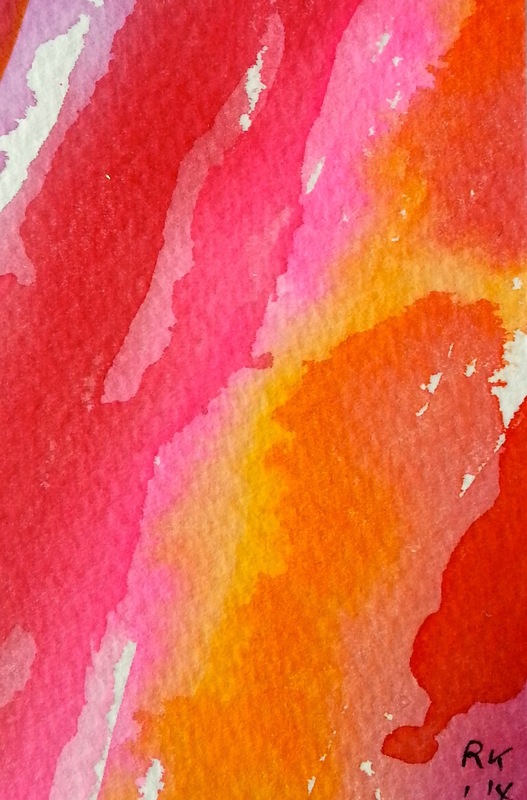 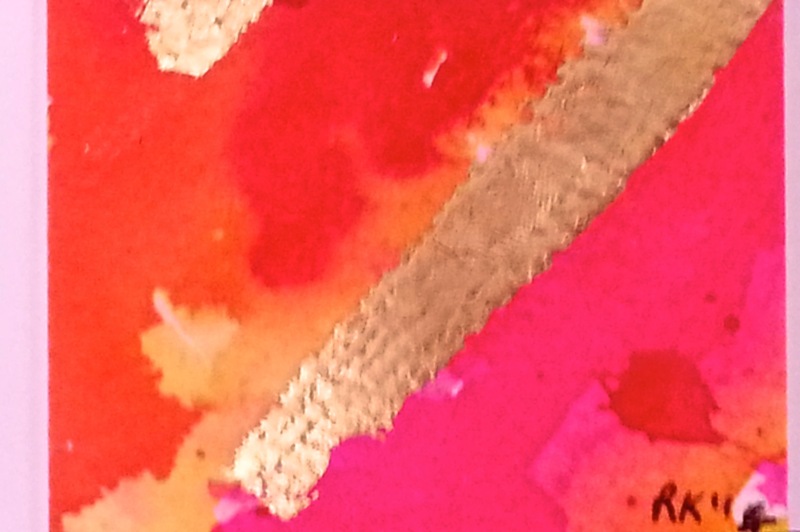 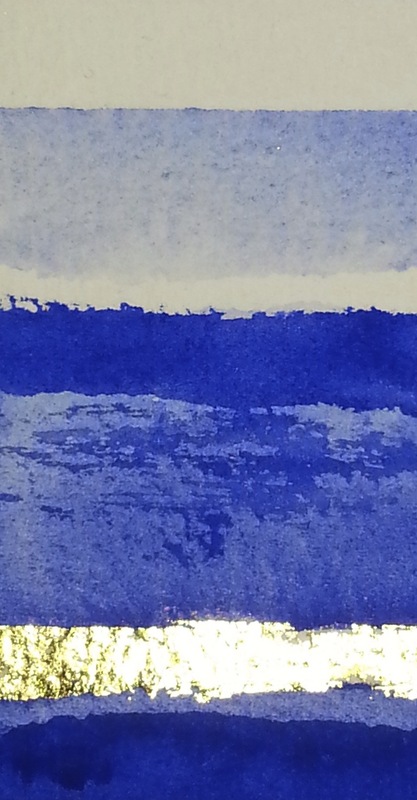 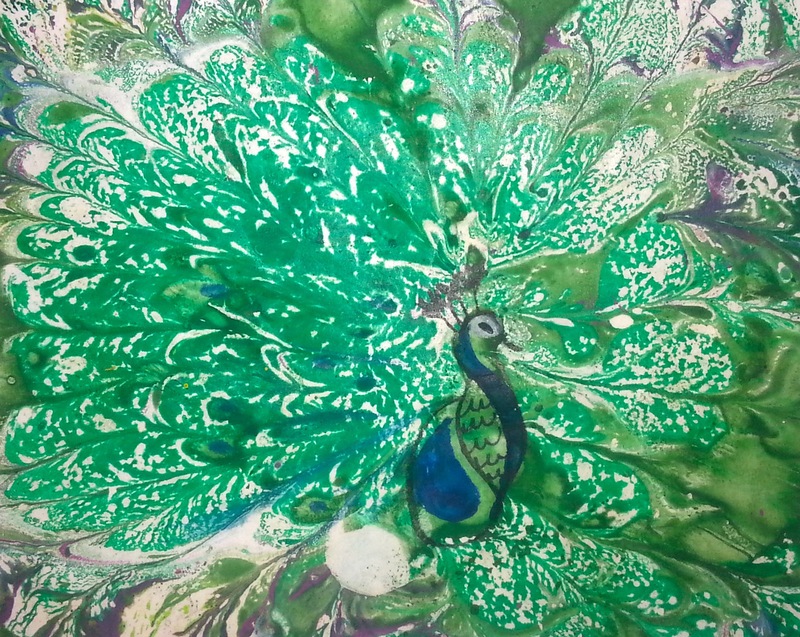 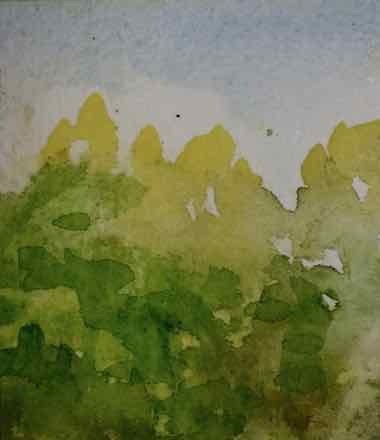 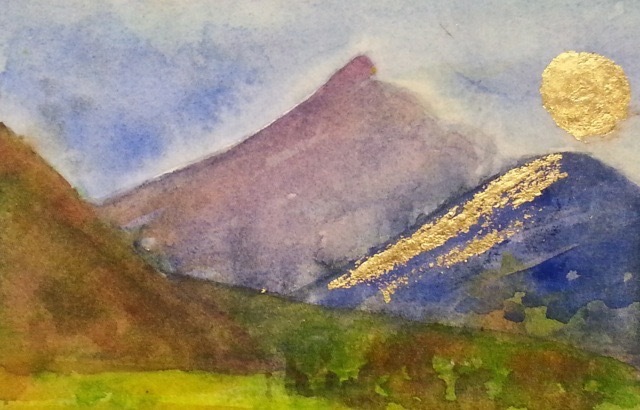 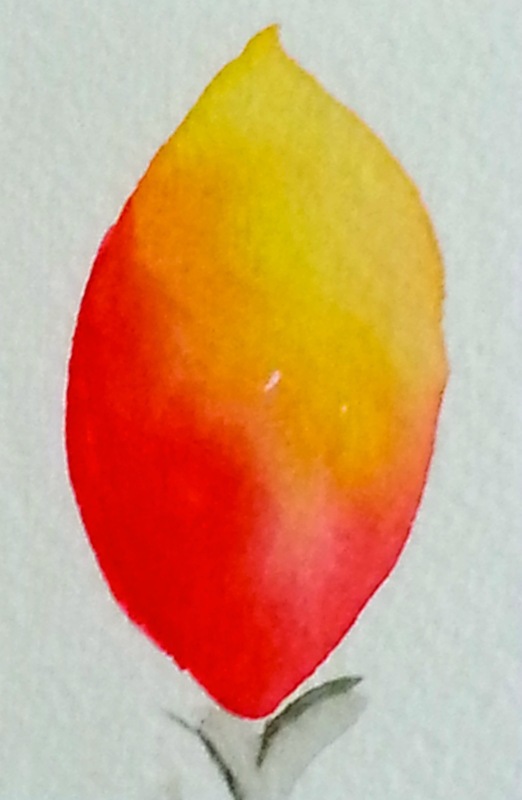 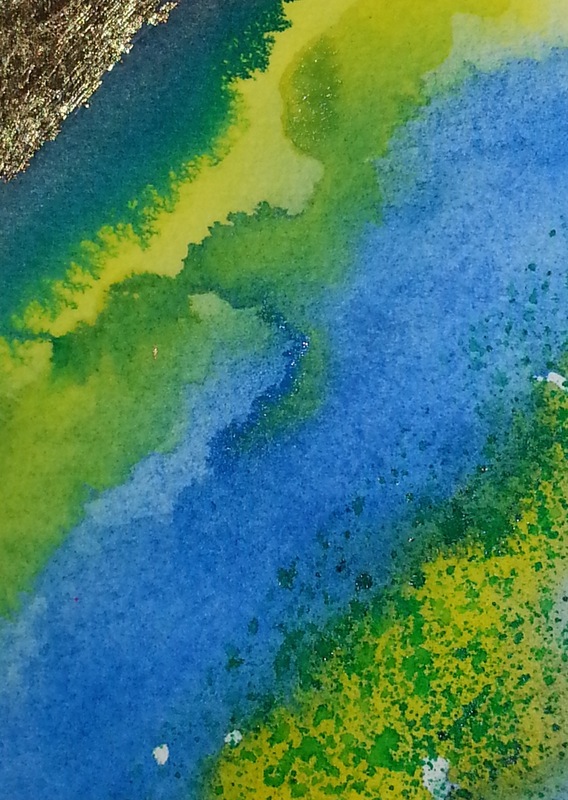 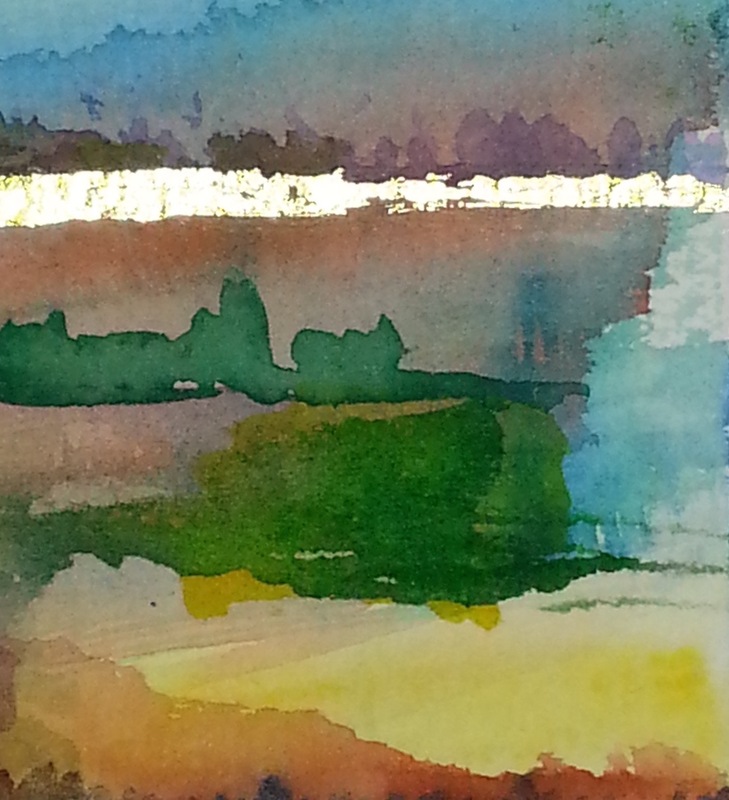 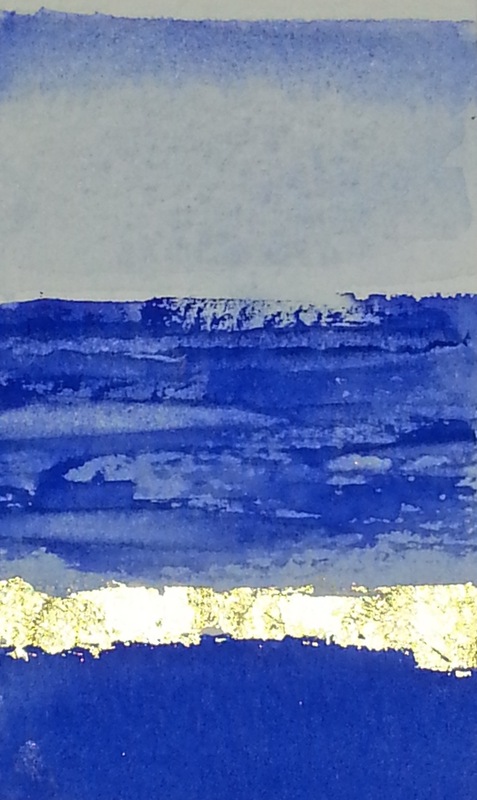 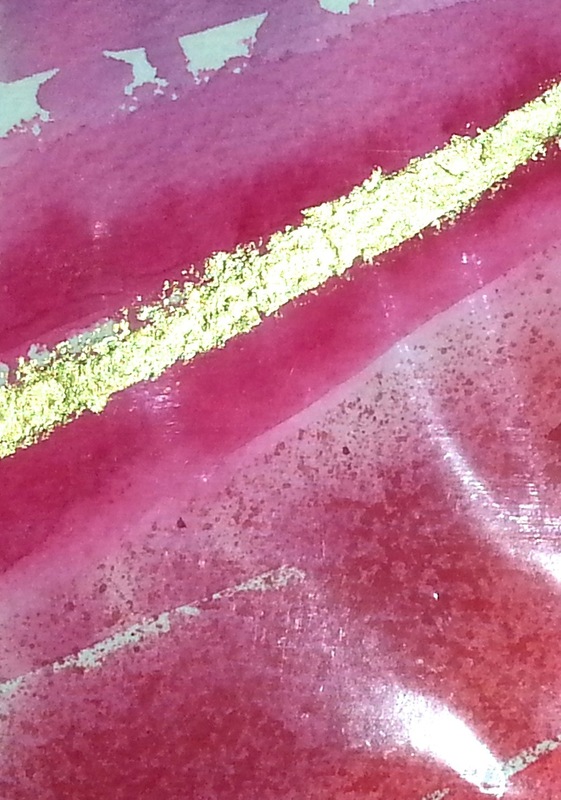 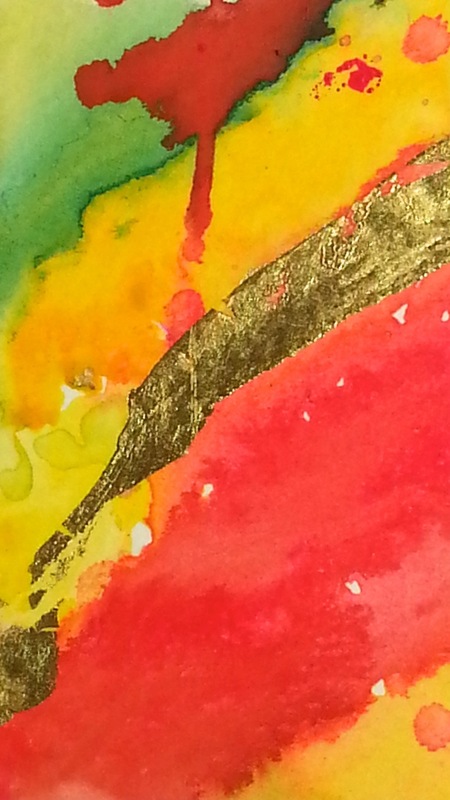 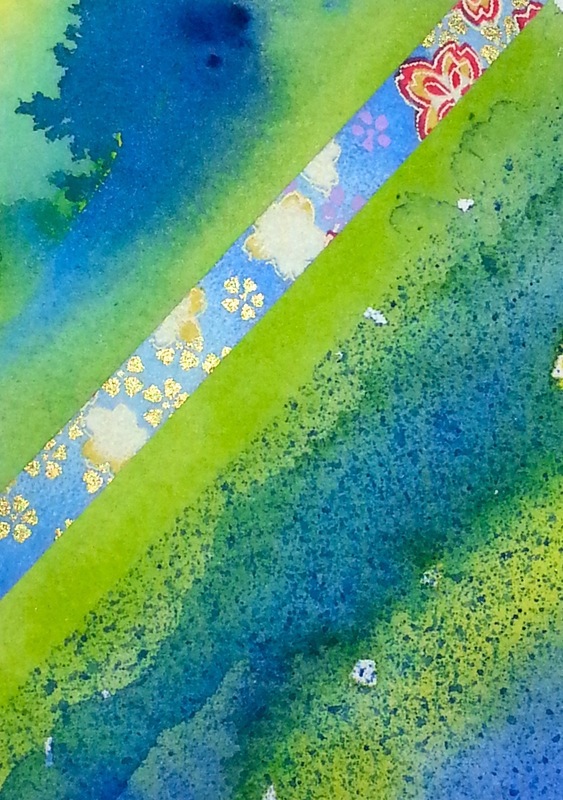 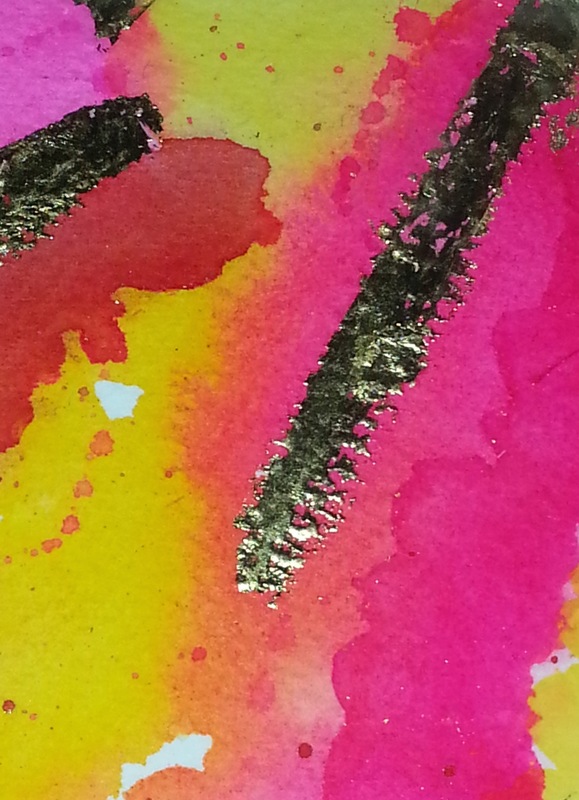 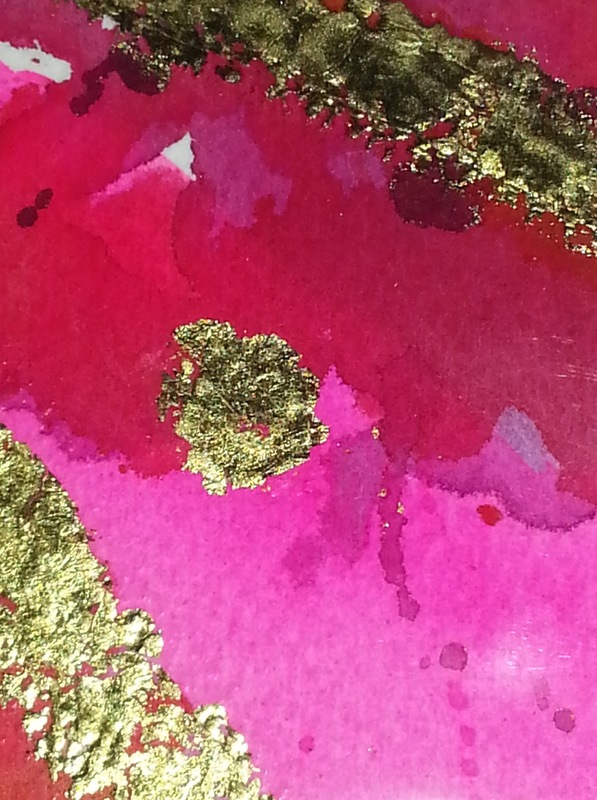 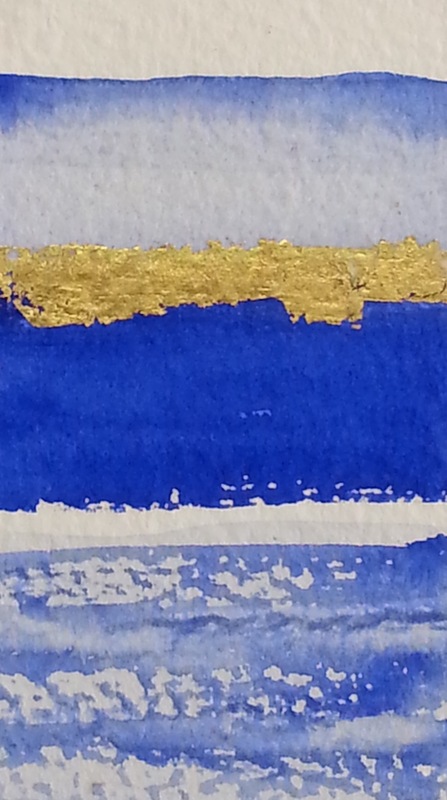 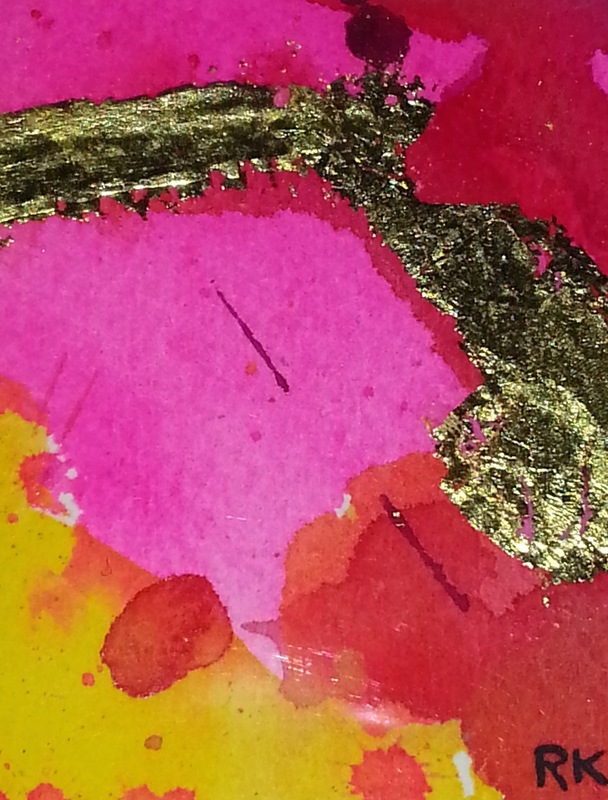 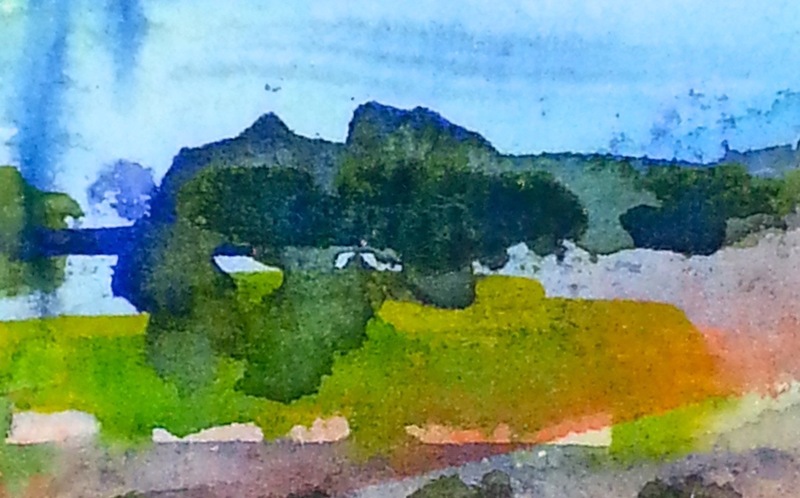 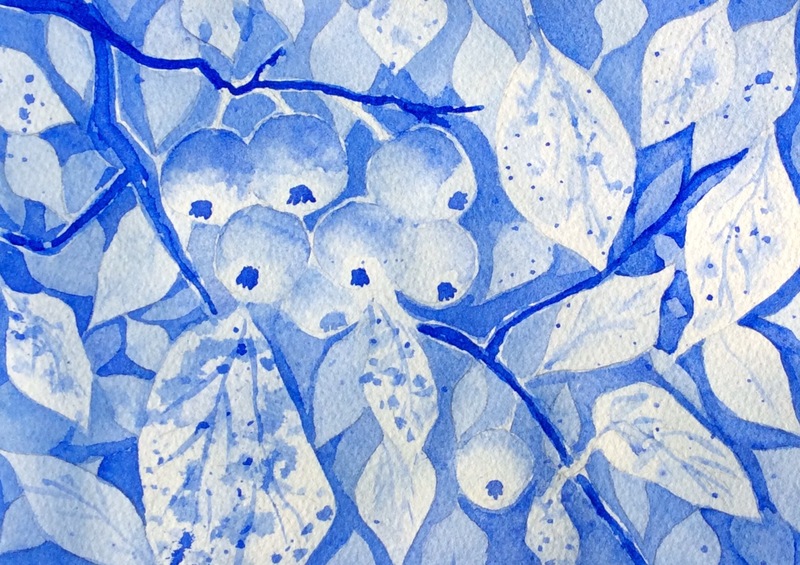 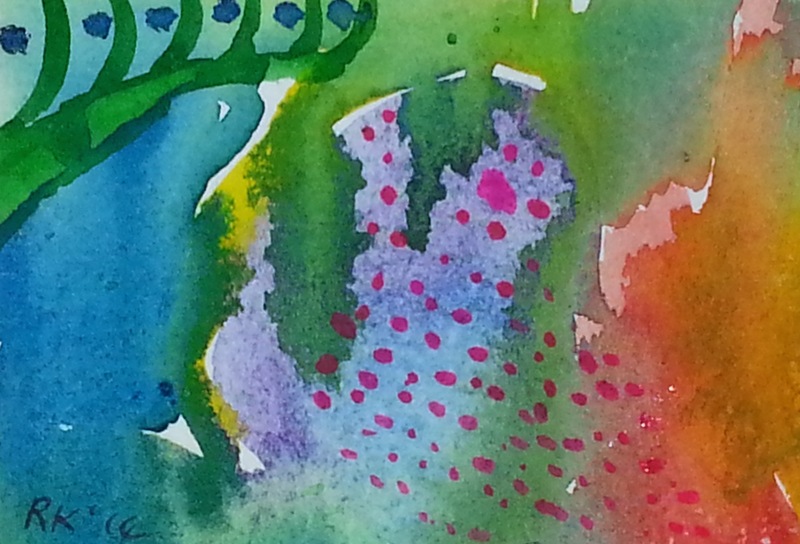 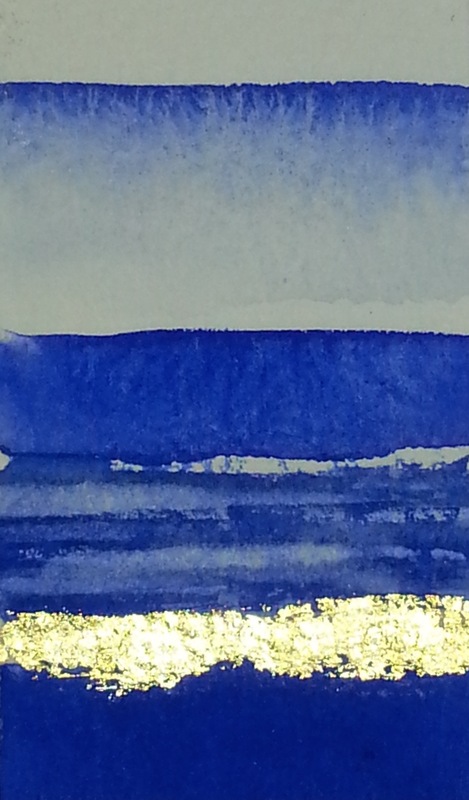 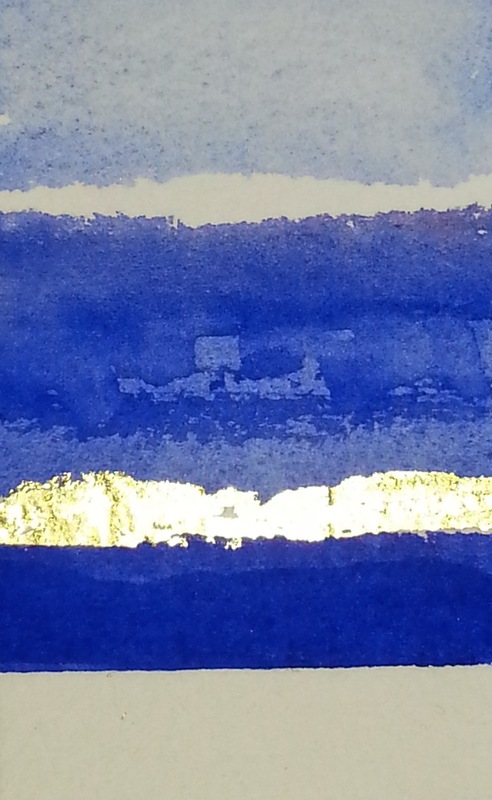 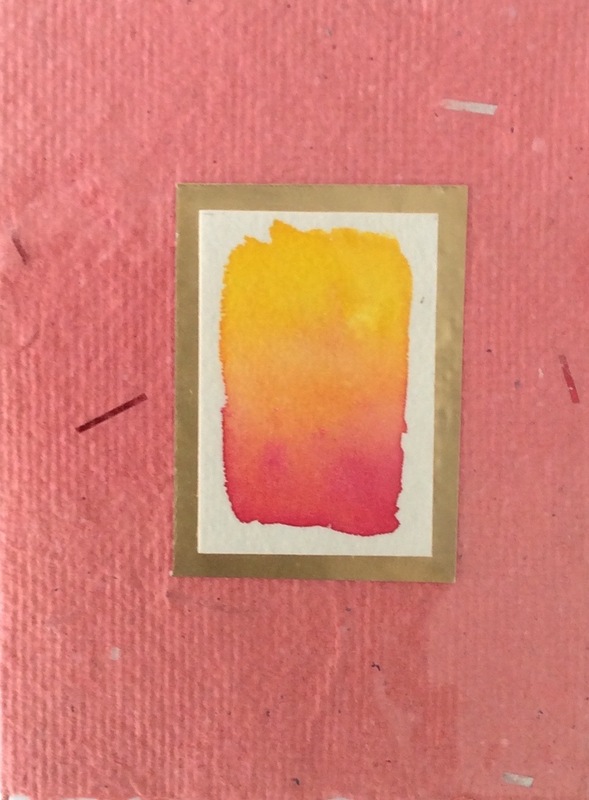 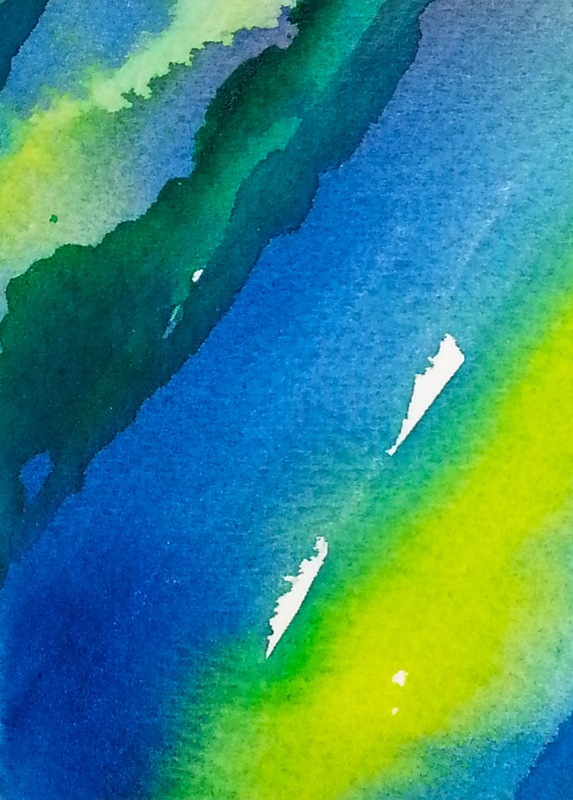 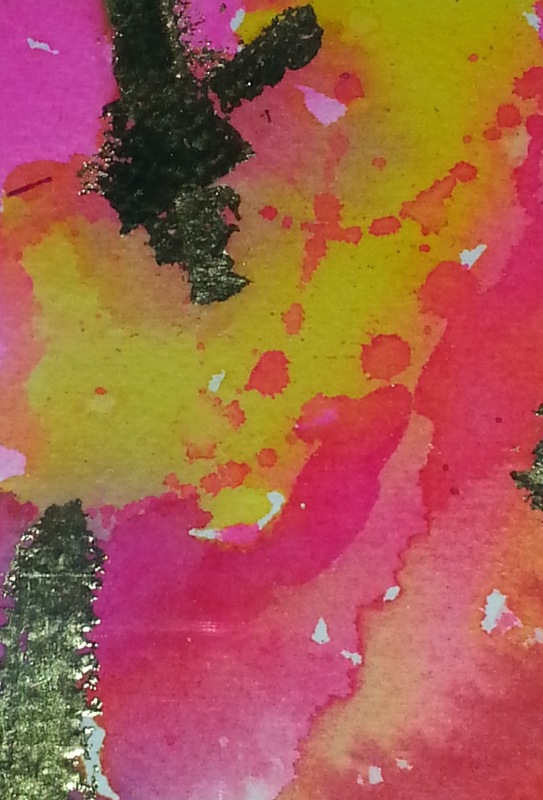 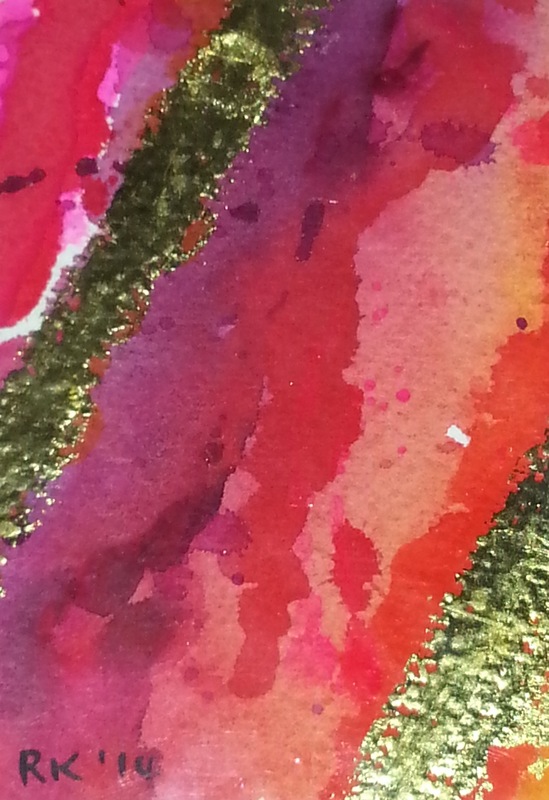 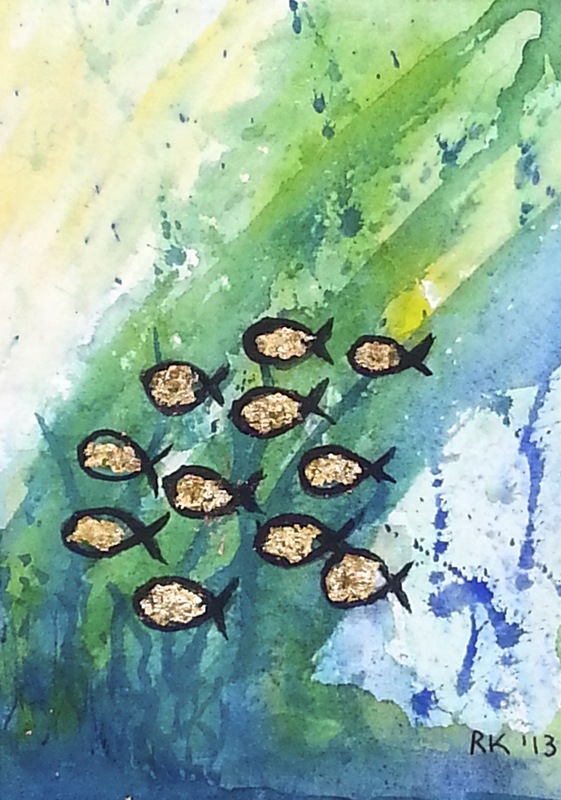 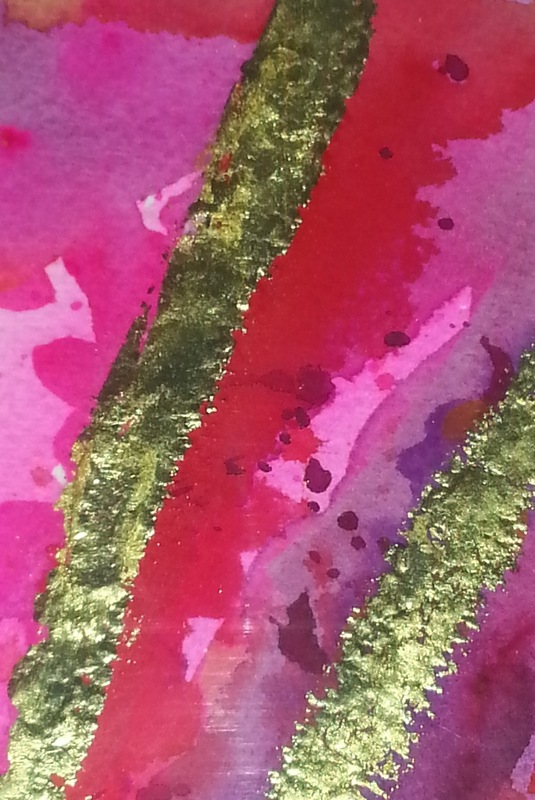 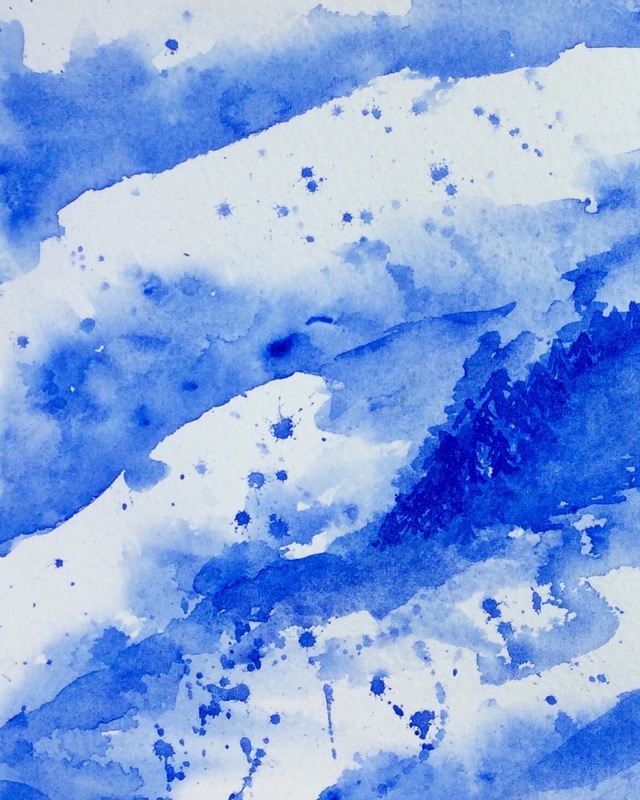 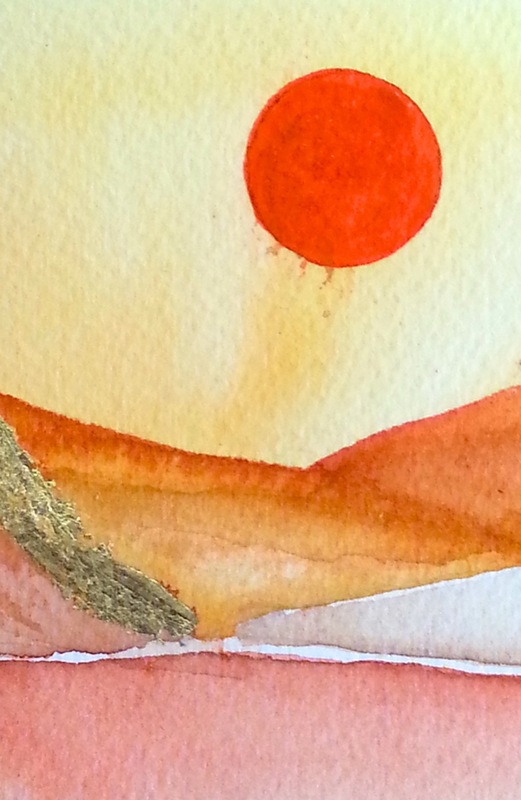 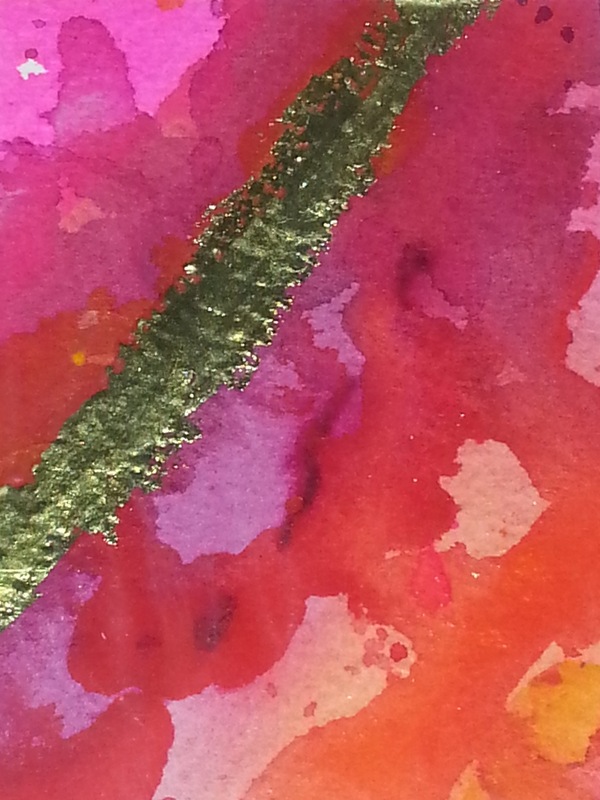 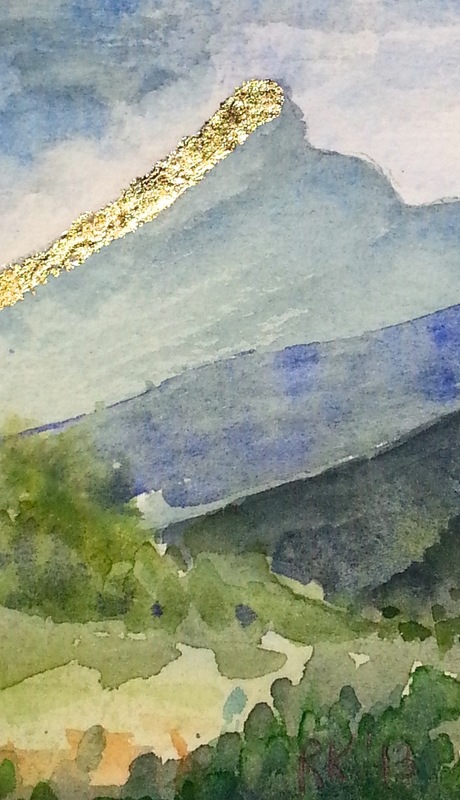 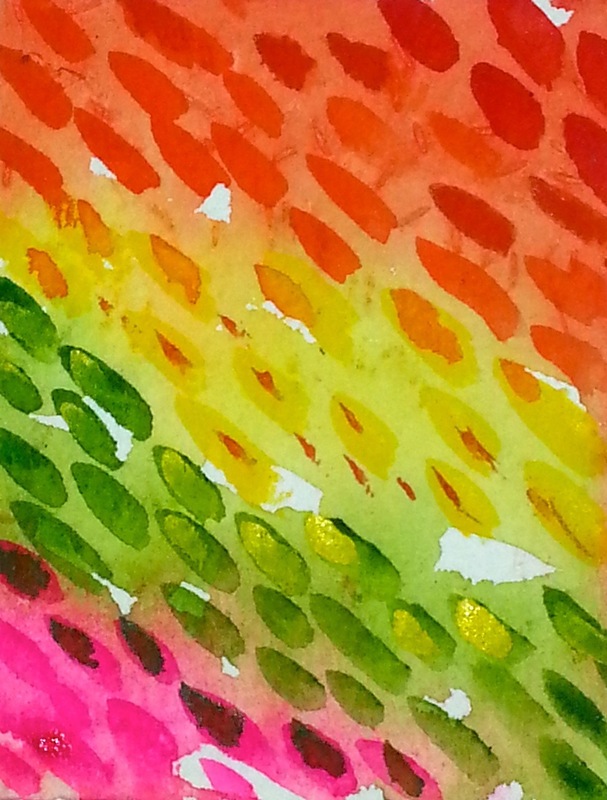 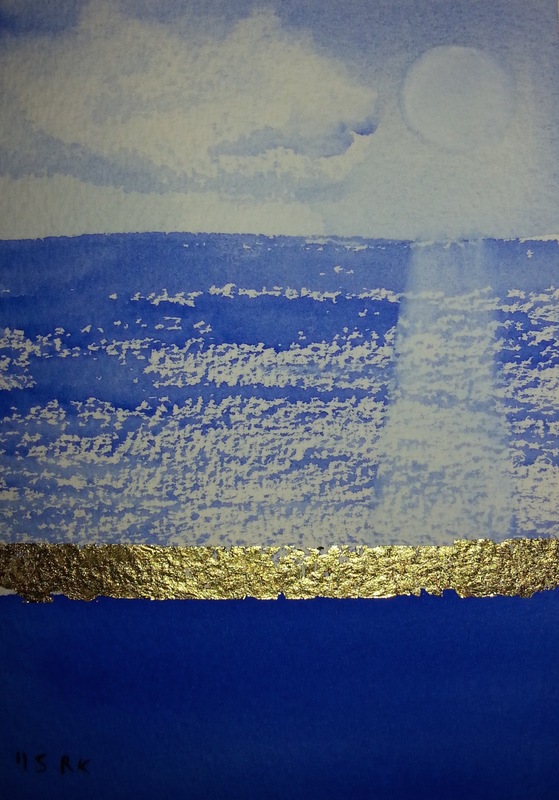 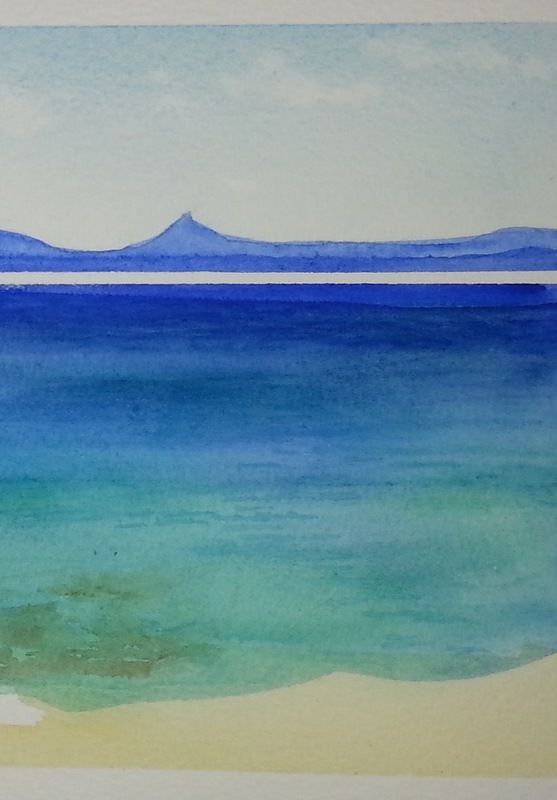 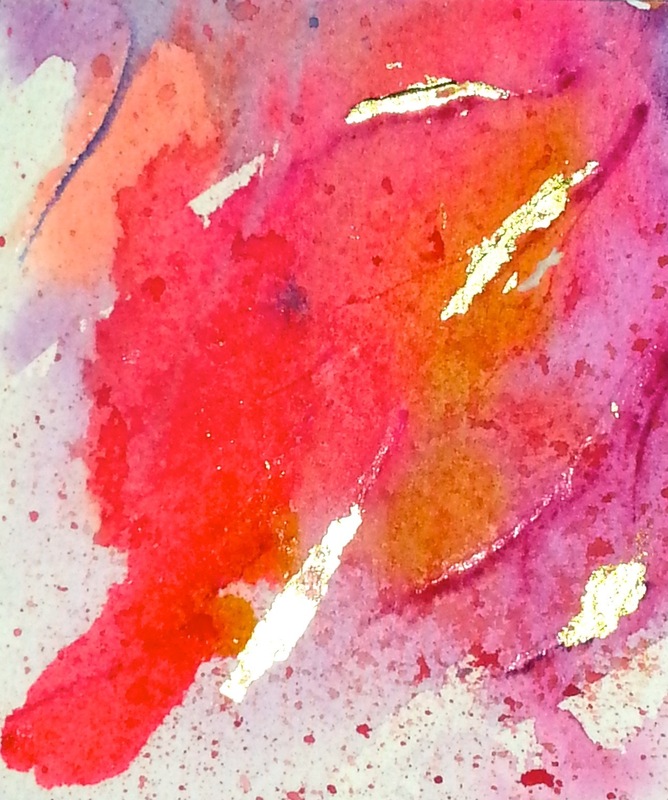 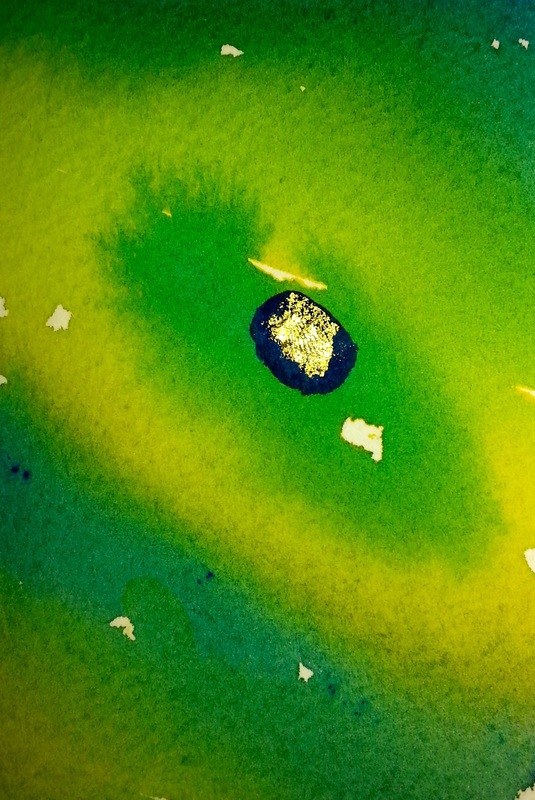 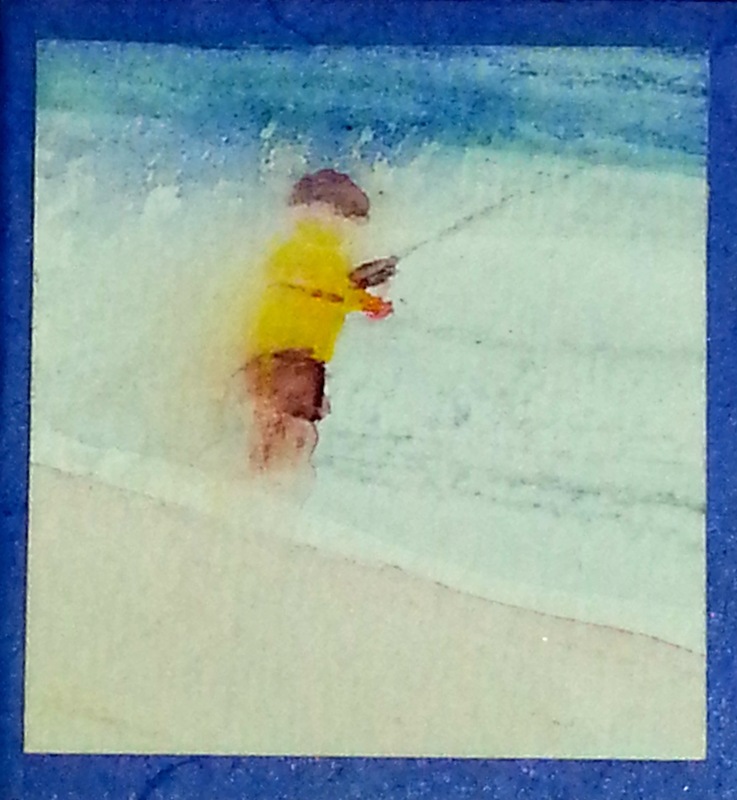 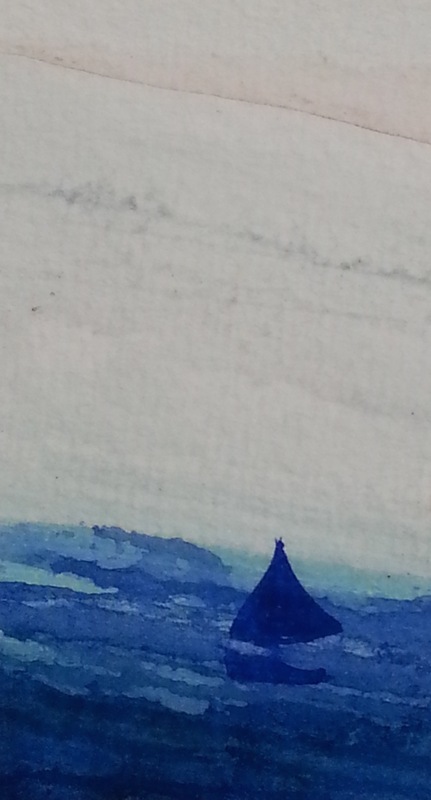 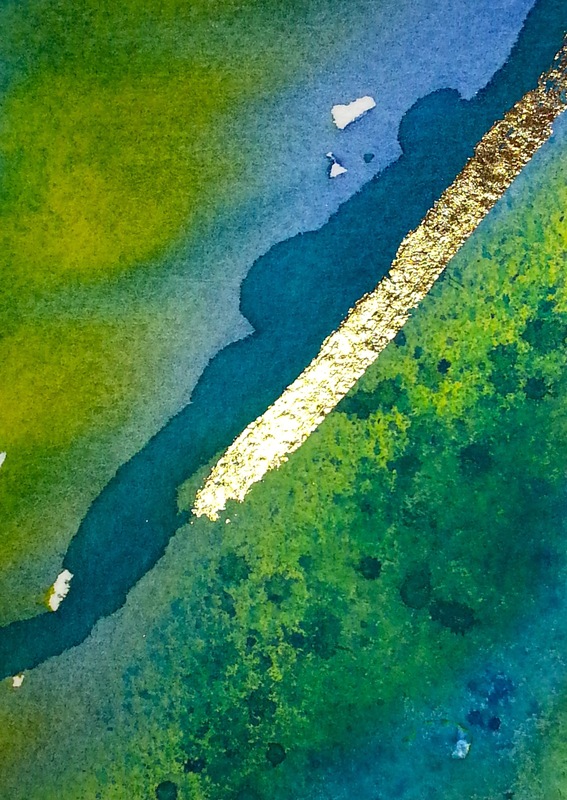 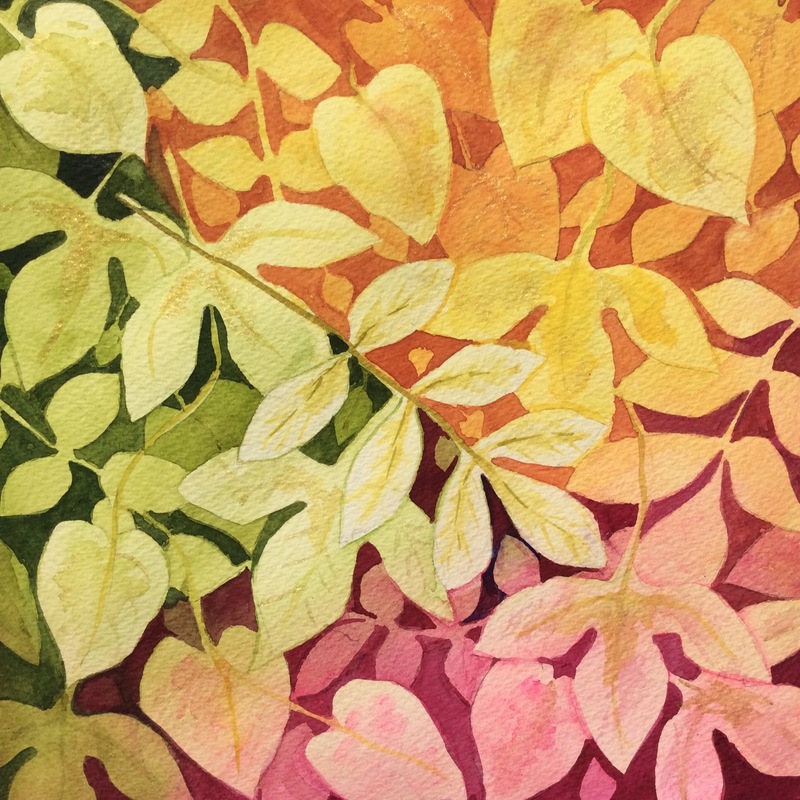 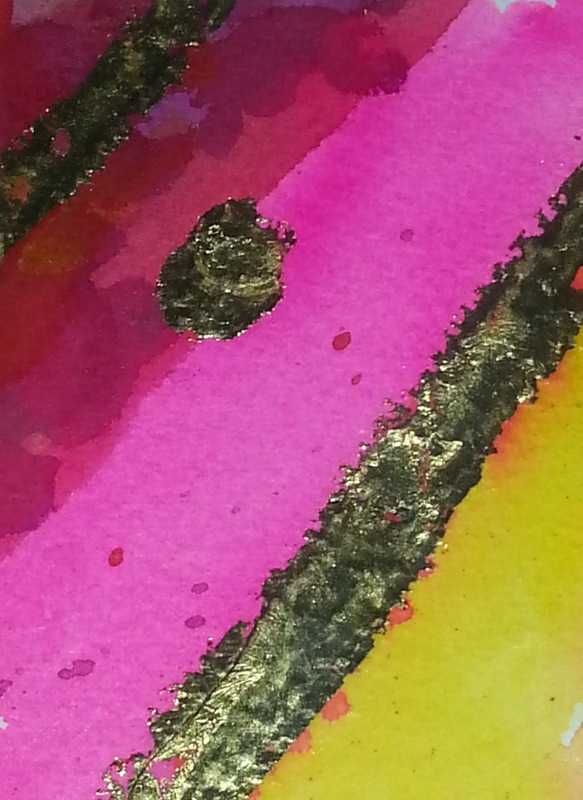 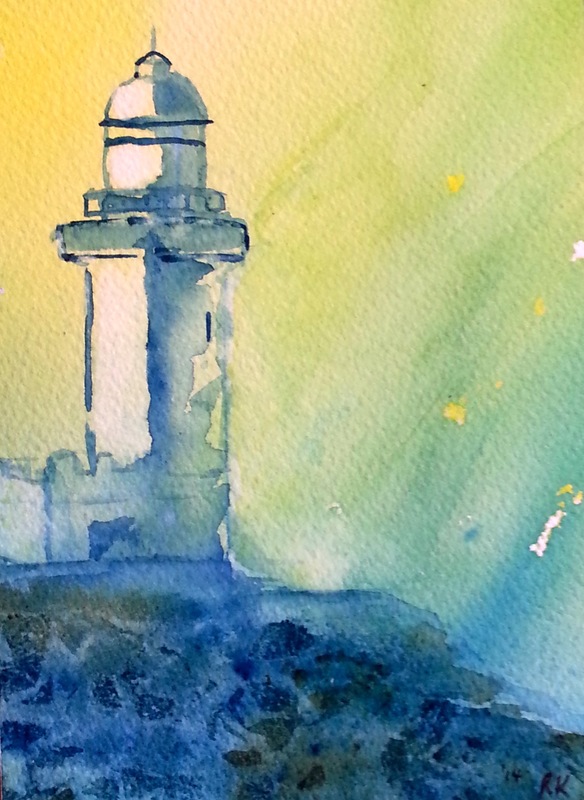 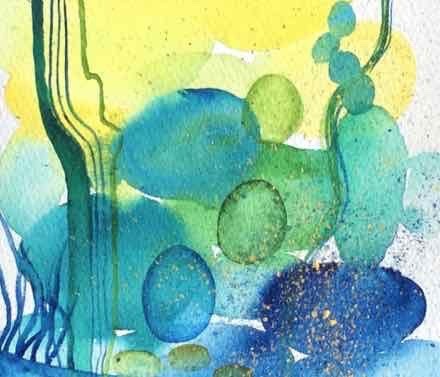 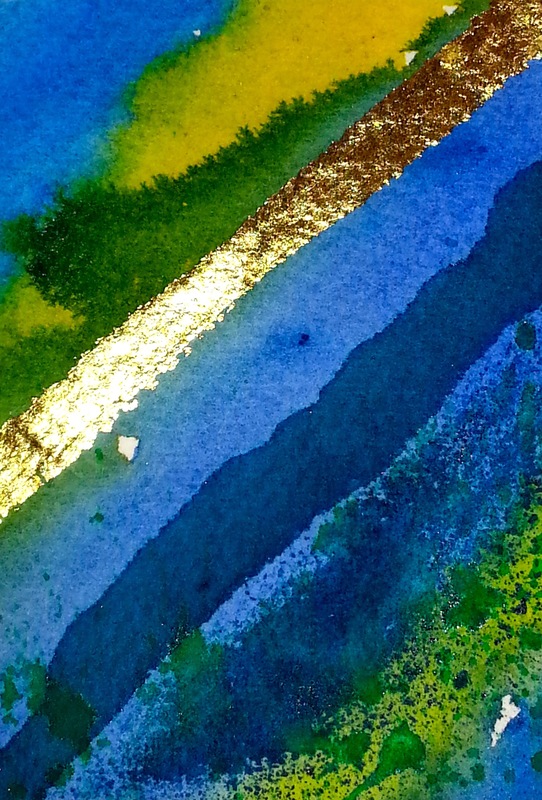 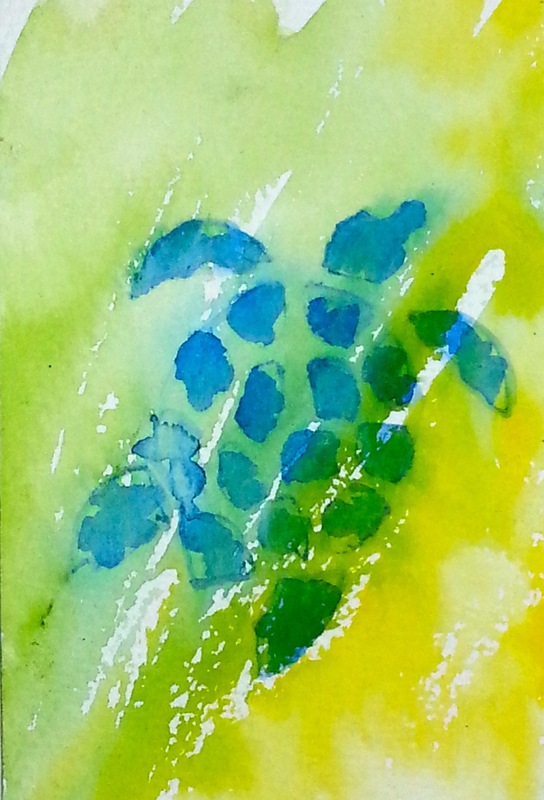 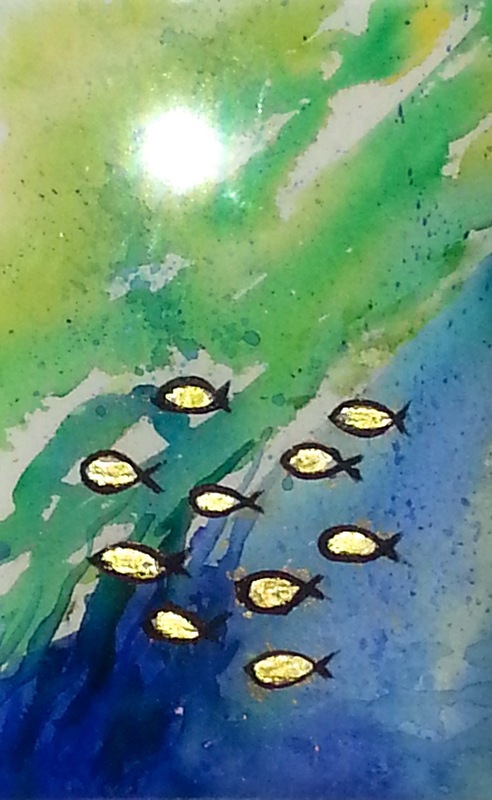 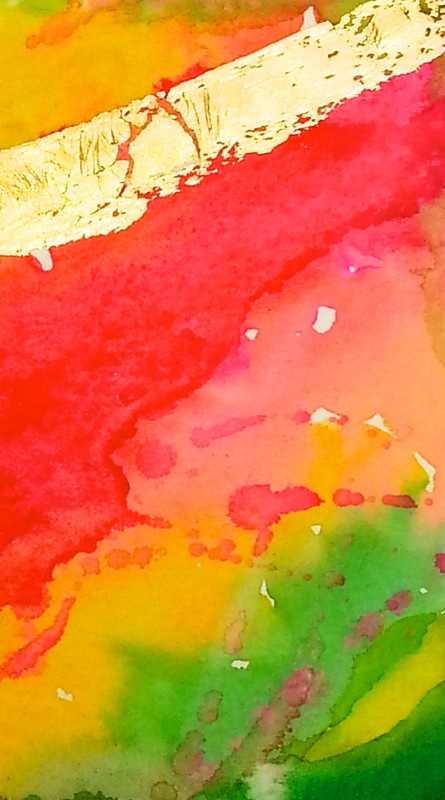 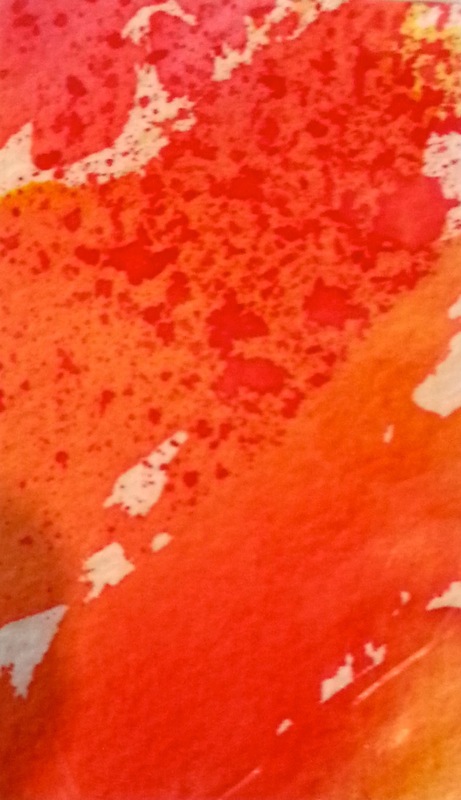 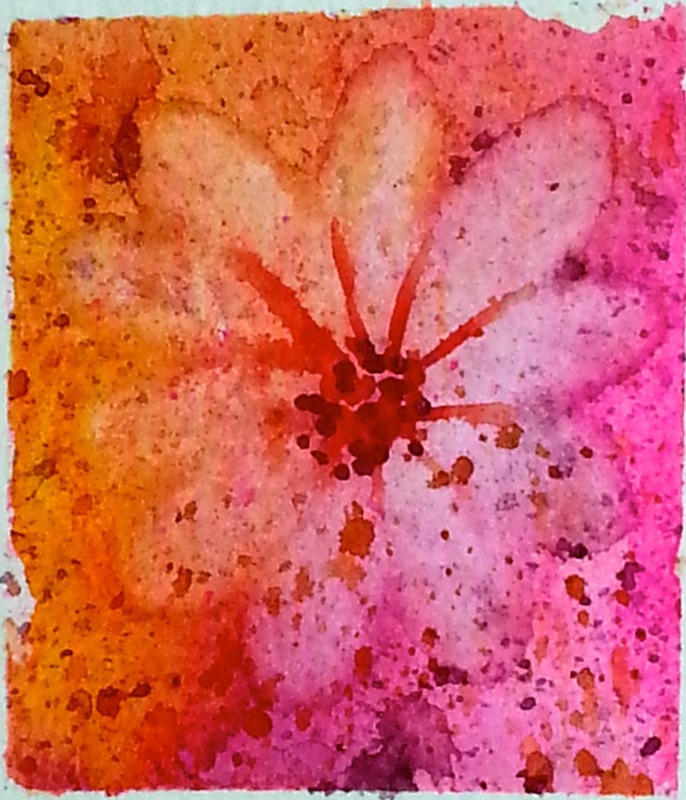 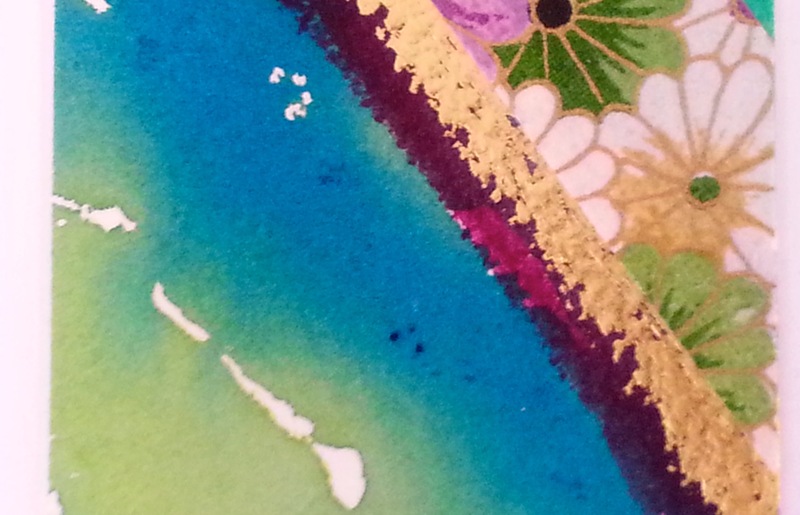 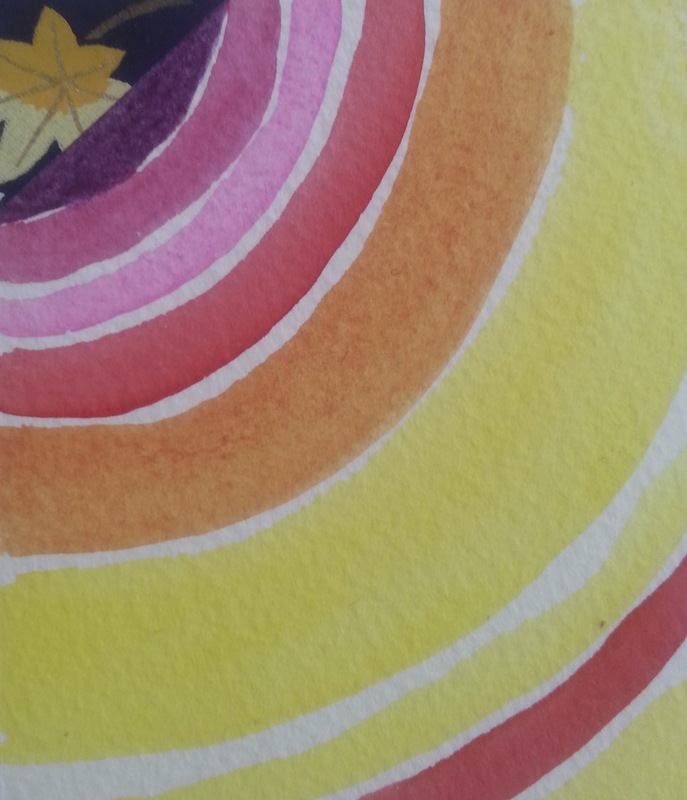 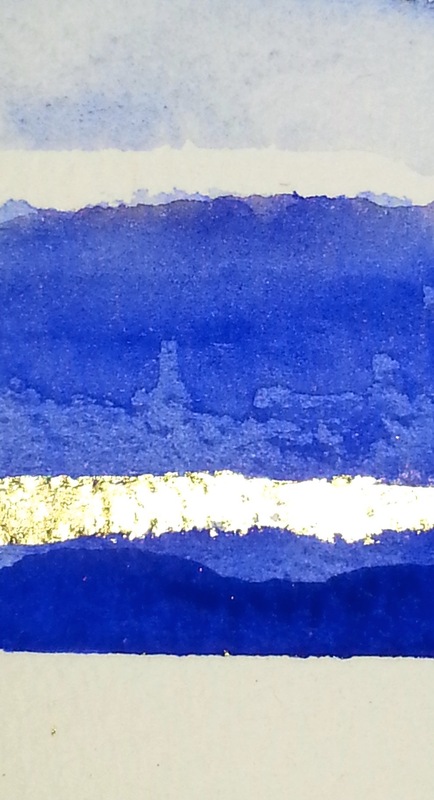 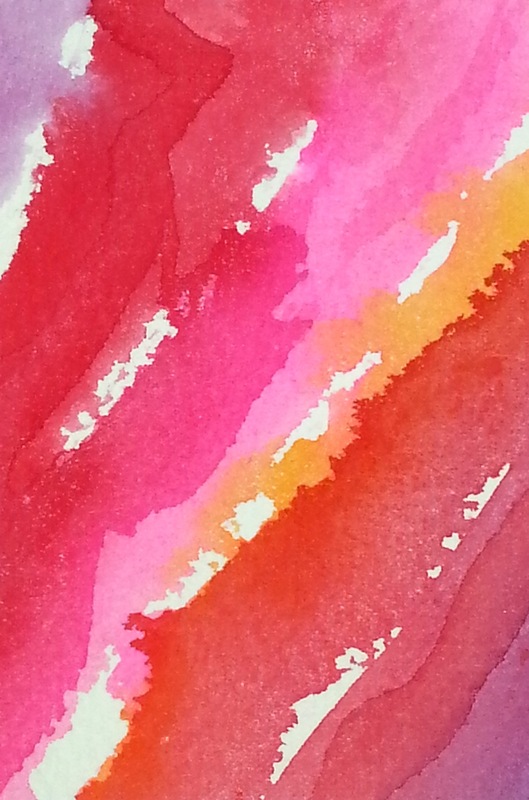 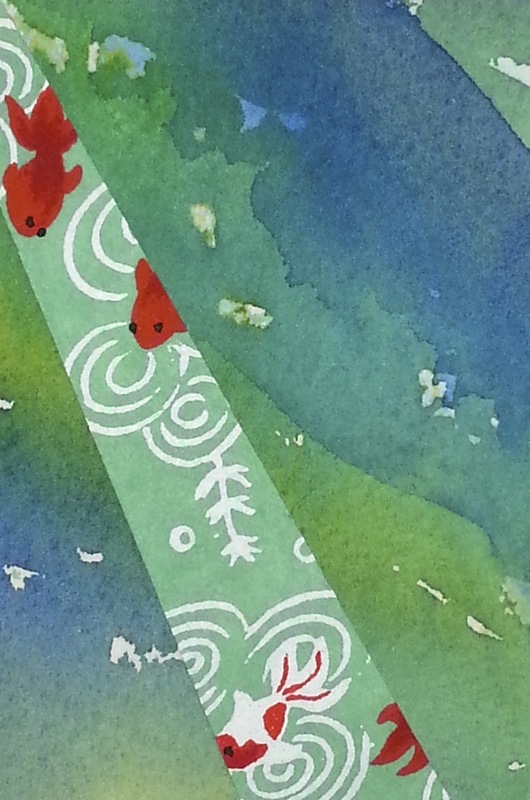 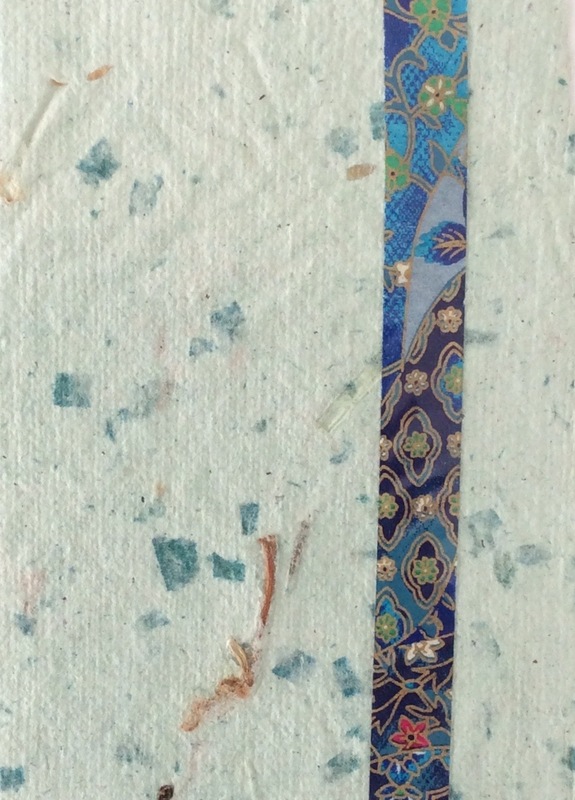 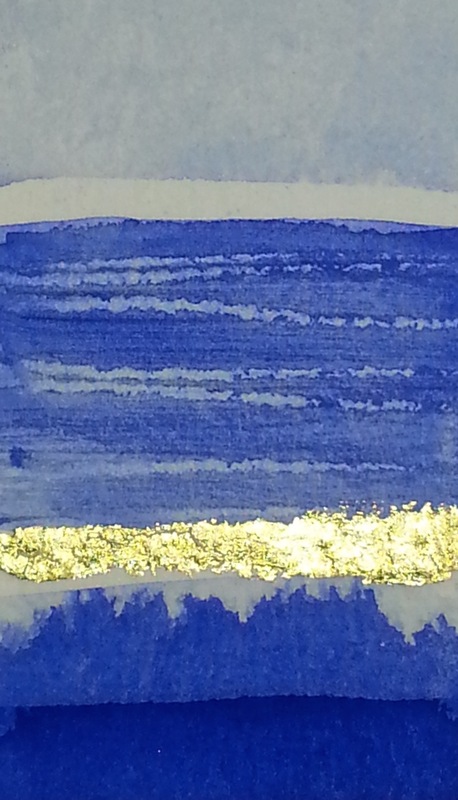 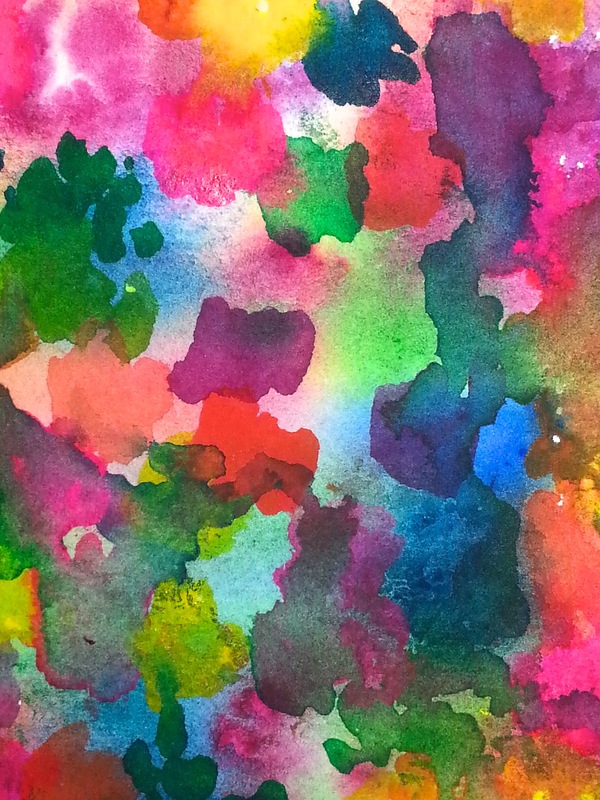 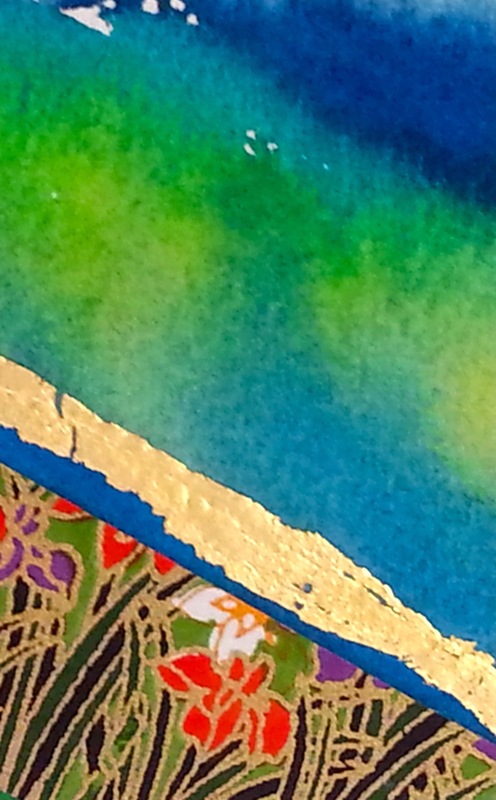 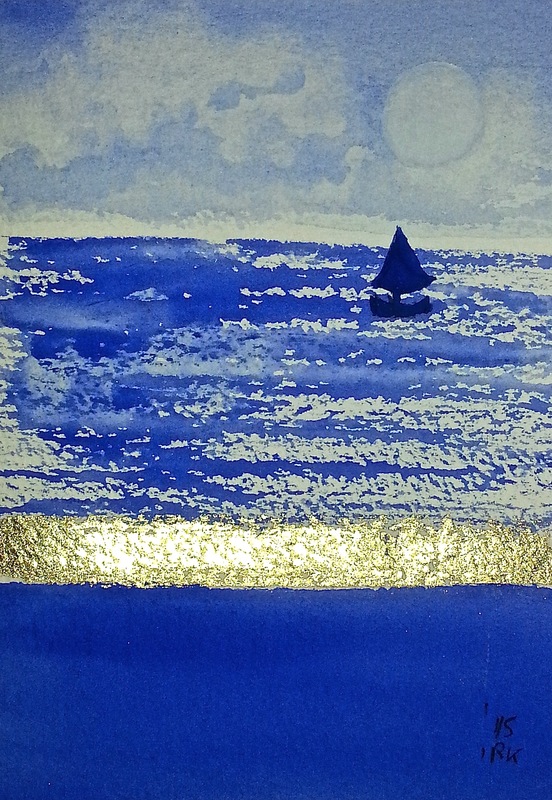 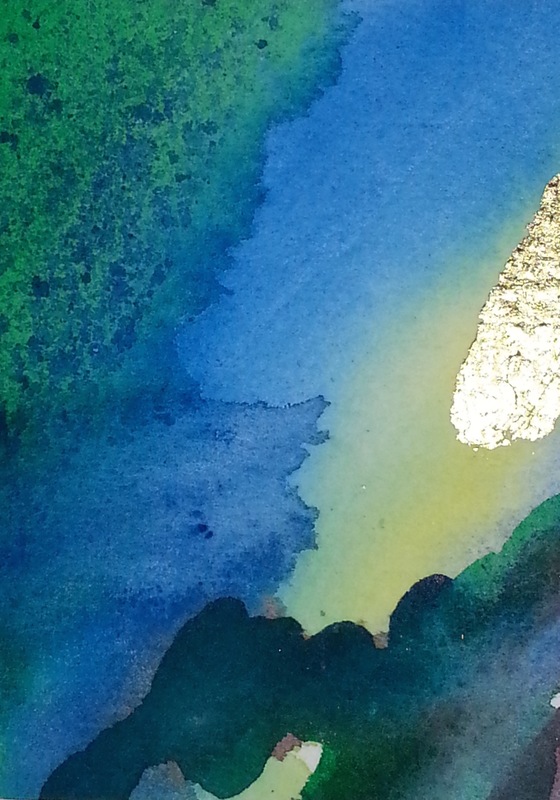 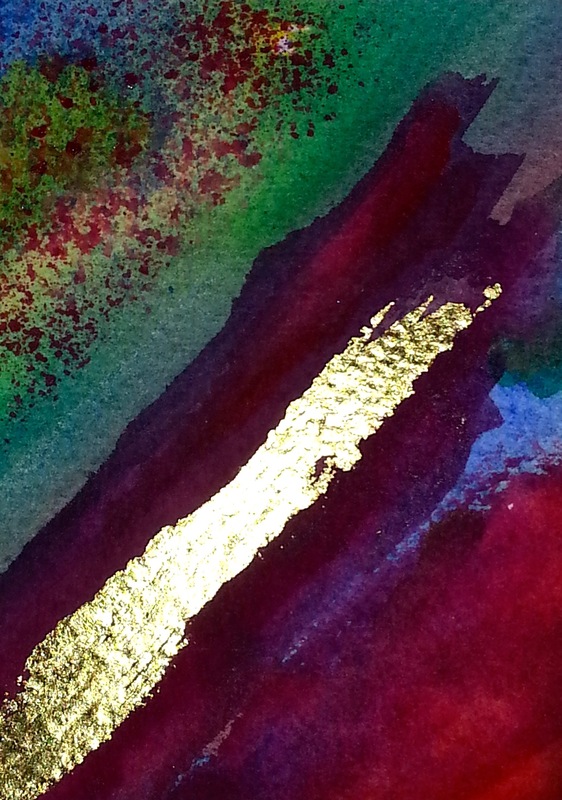 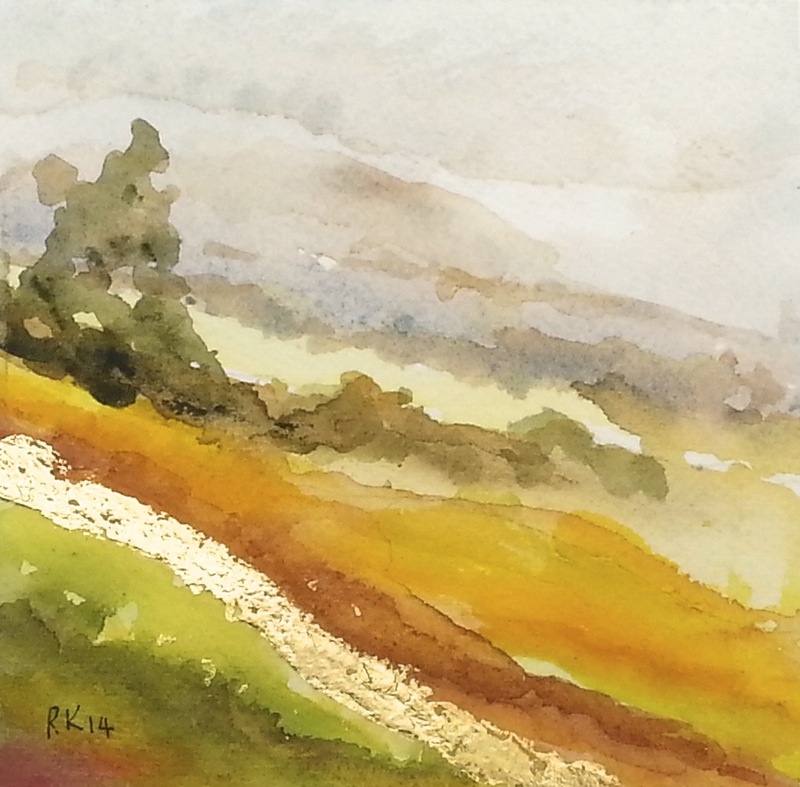 It is always dramatic to peel back the dried masking fluid and see the effect of this technique.